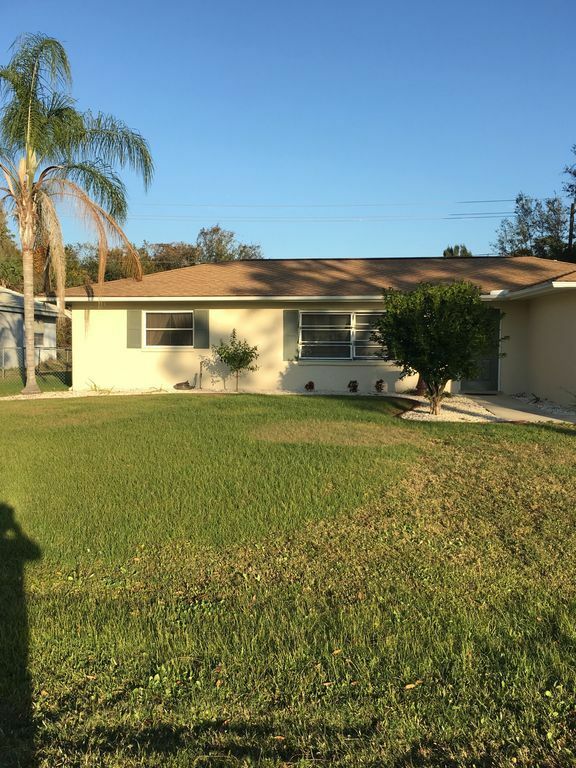 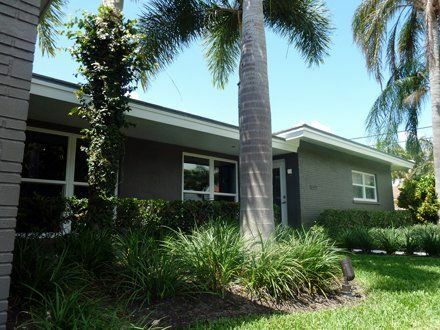 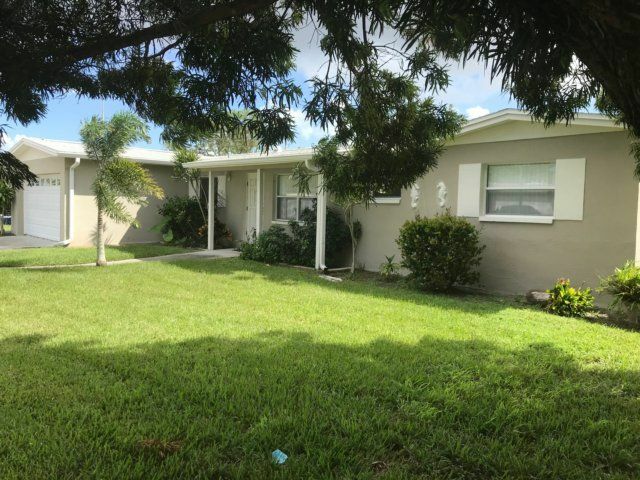 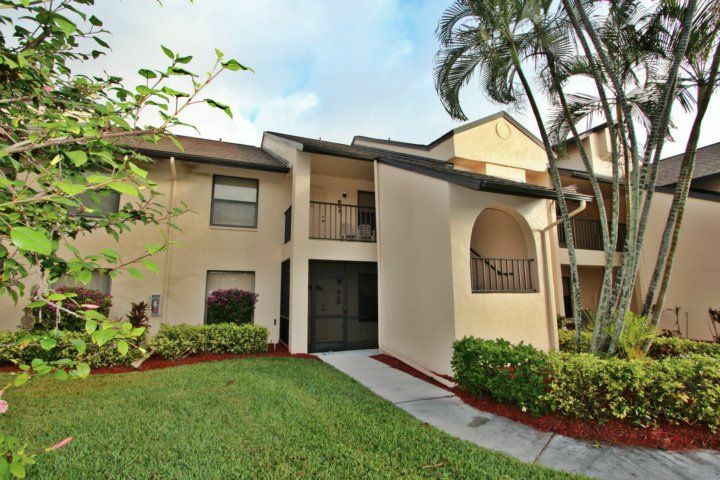 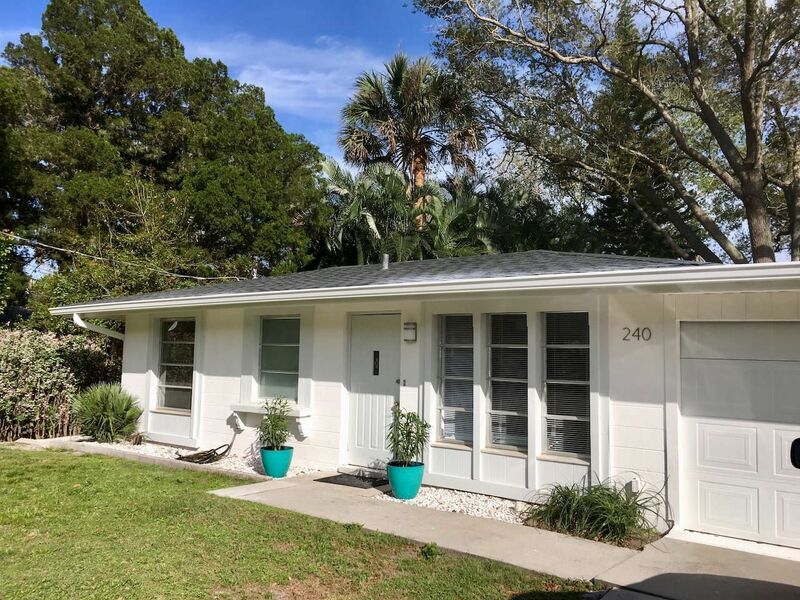 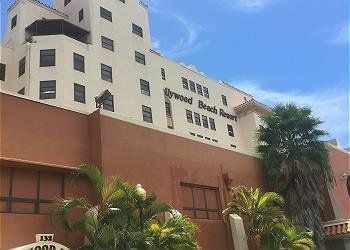 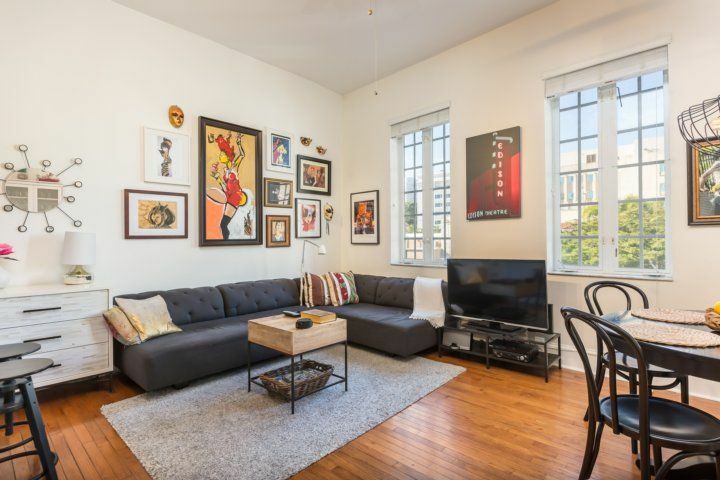 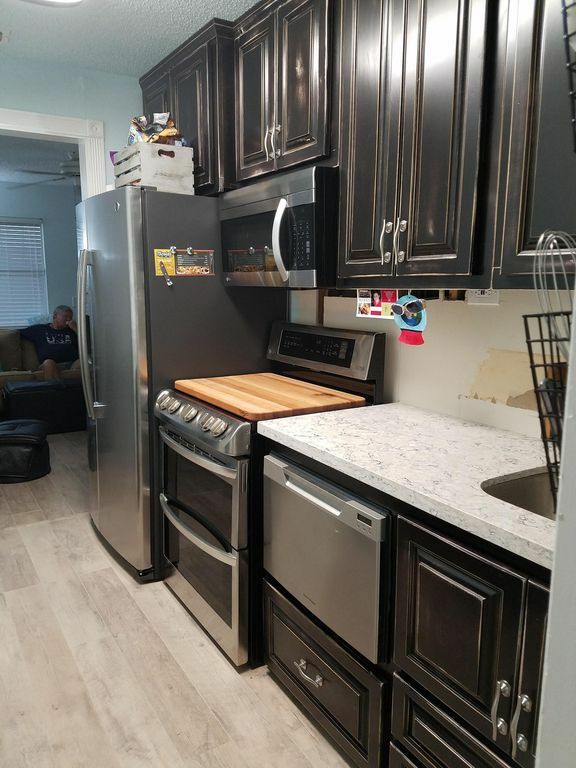 This unit has been newly renovated in the fall of 2017. 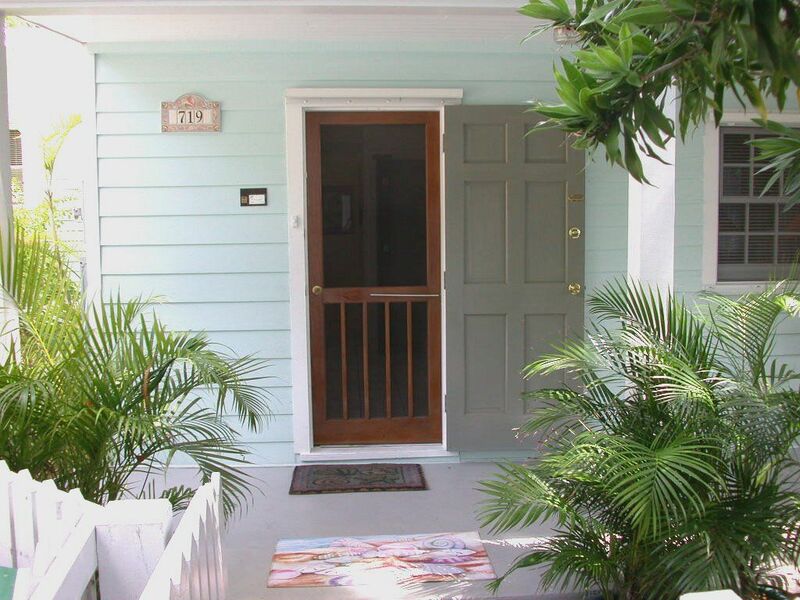 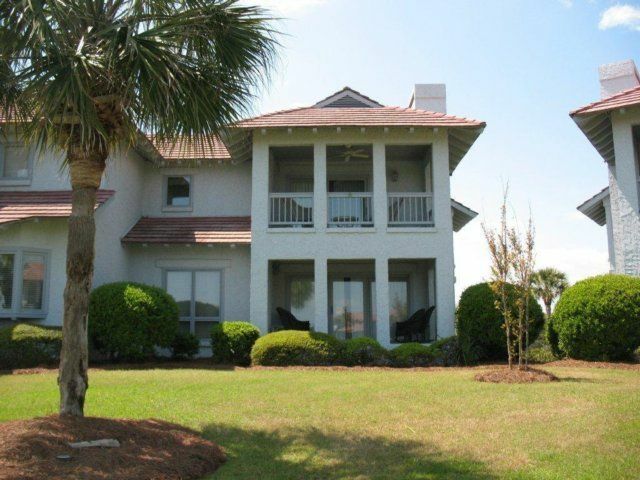 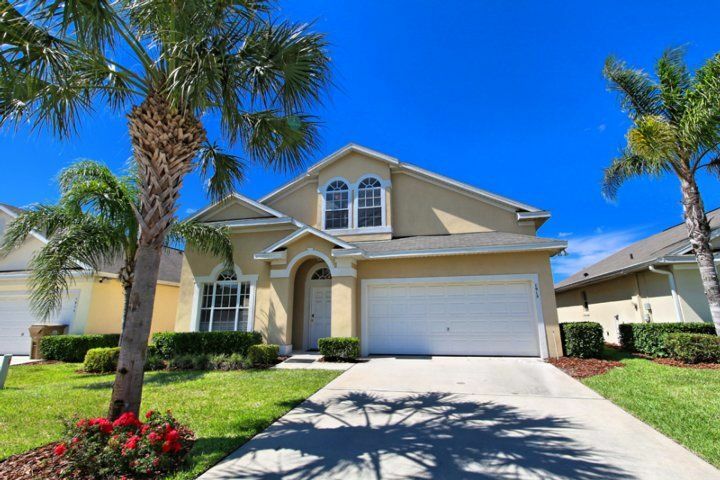 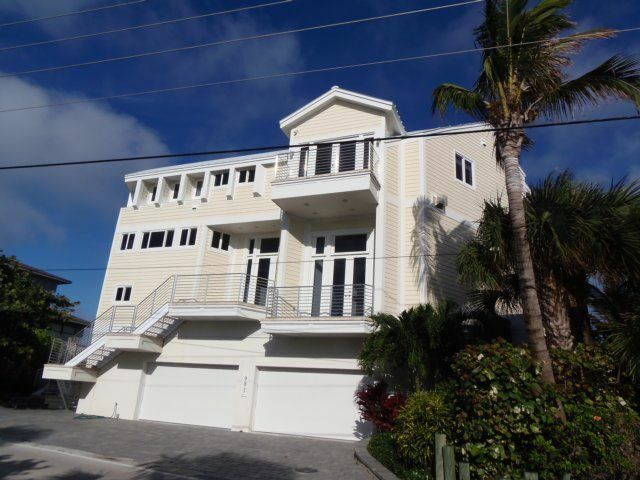 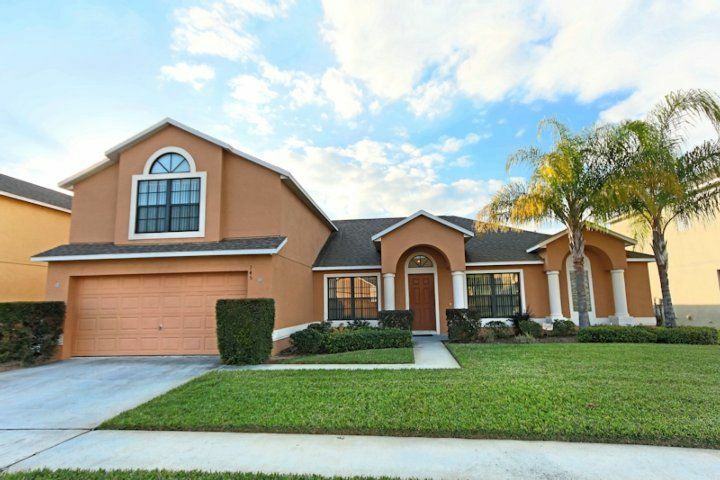 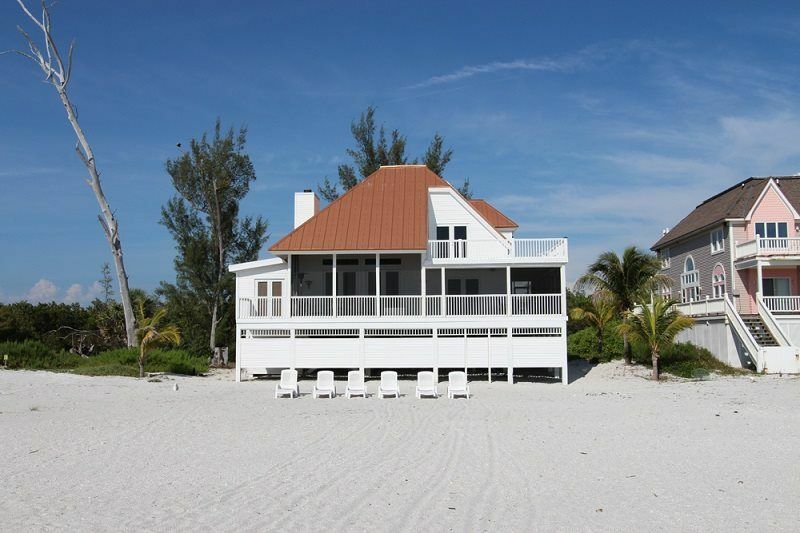 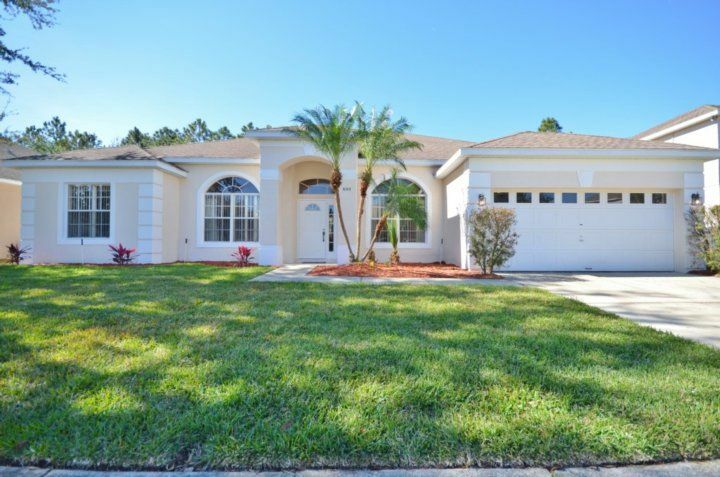 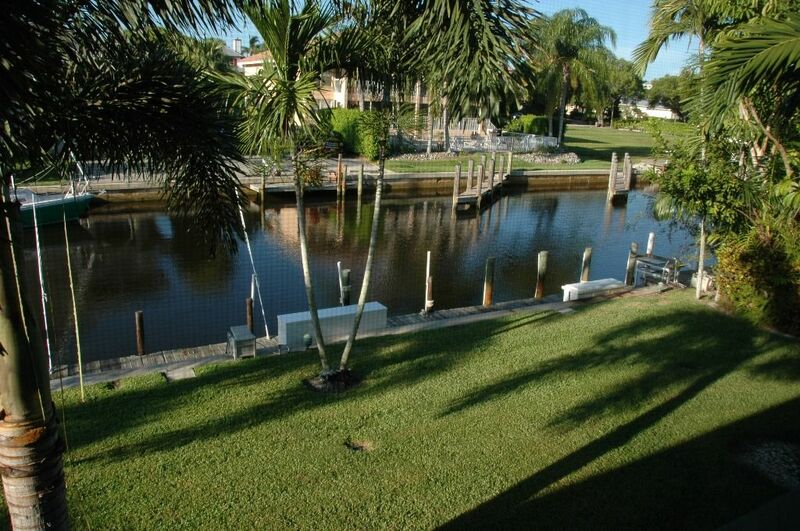 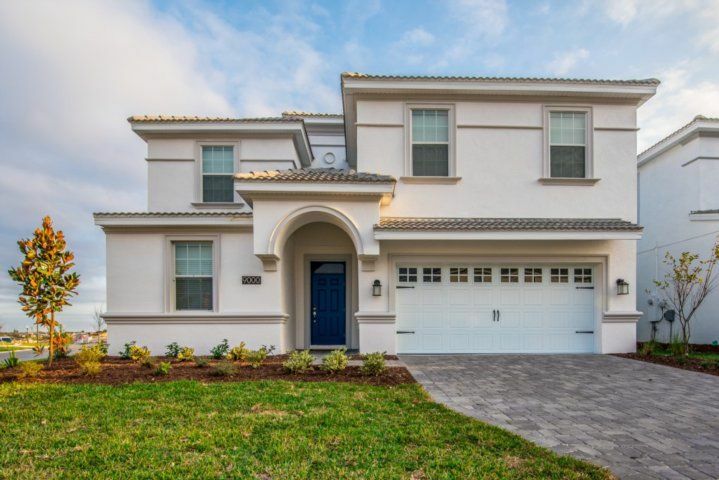 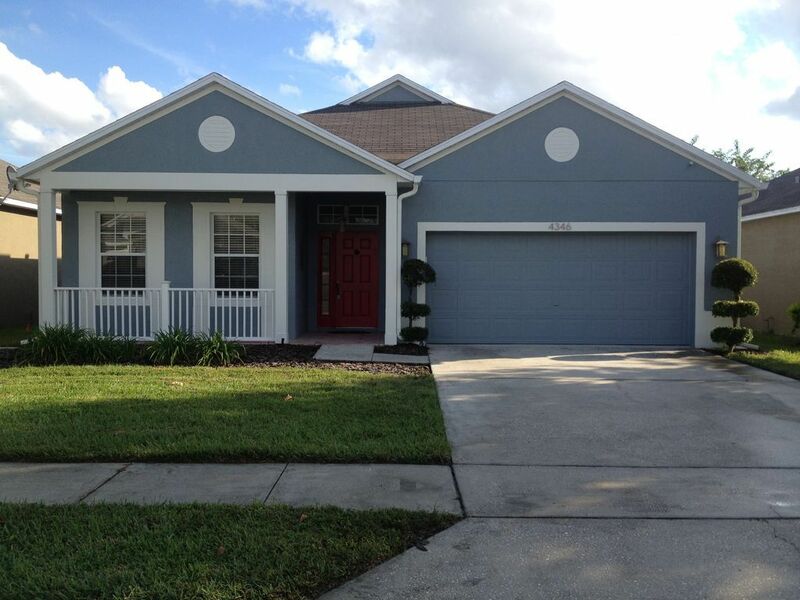 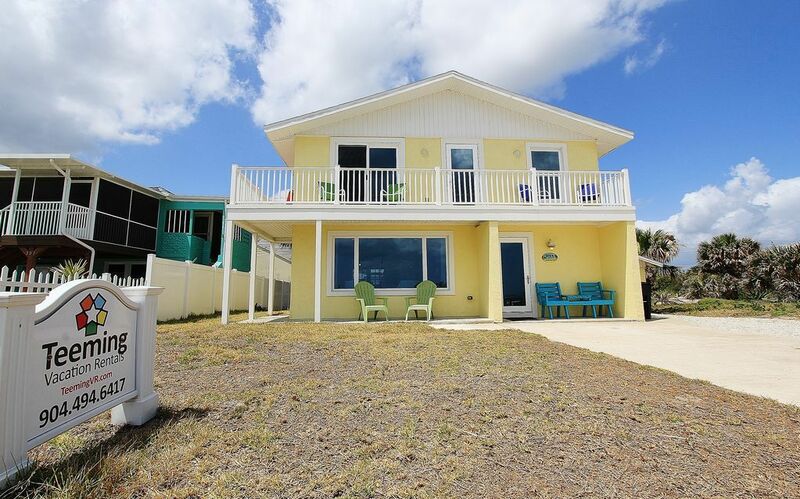 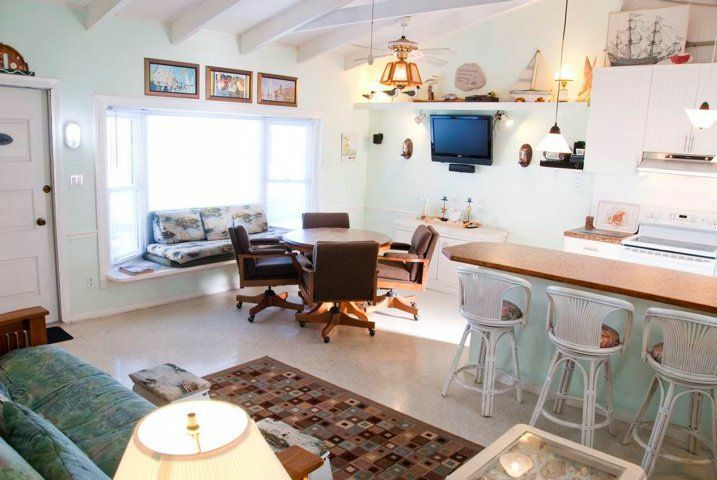 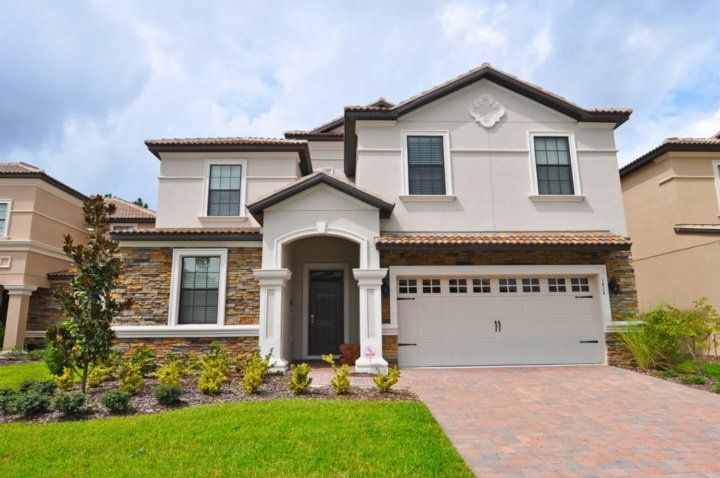 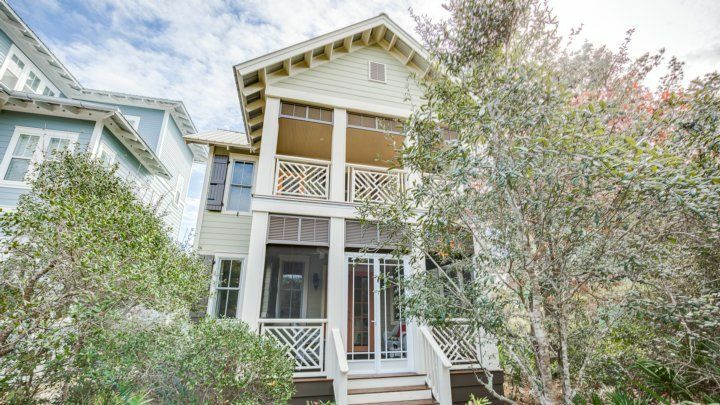 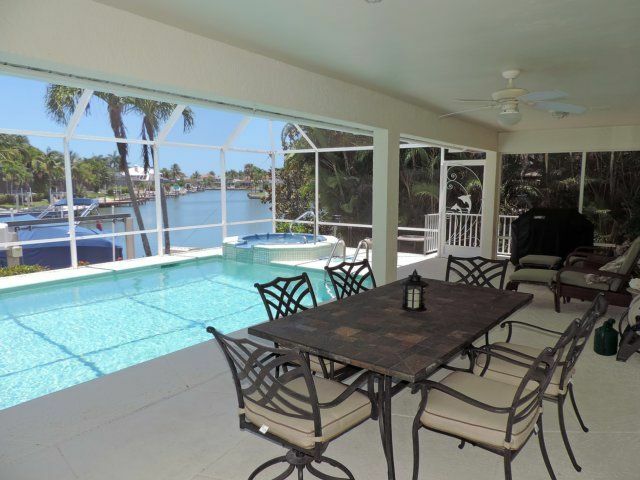 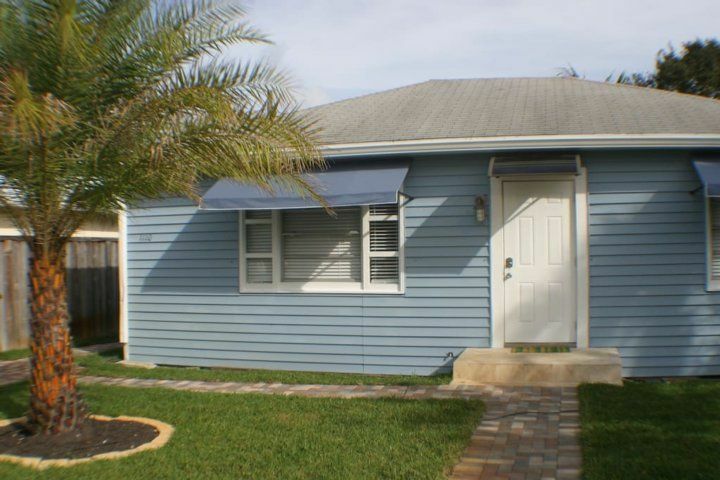 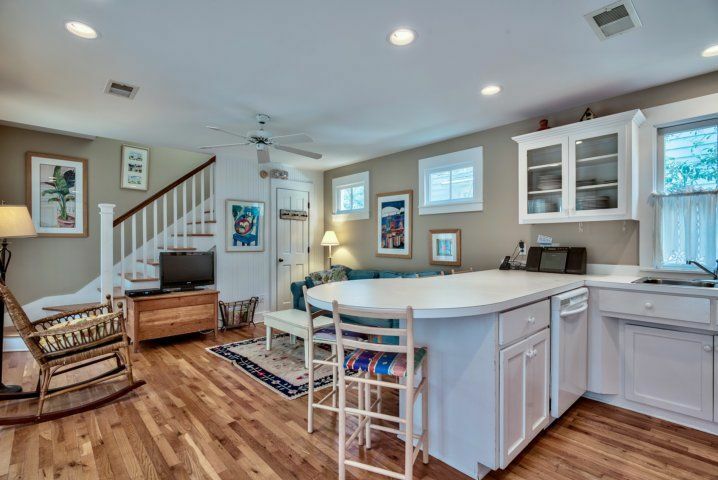 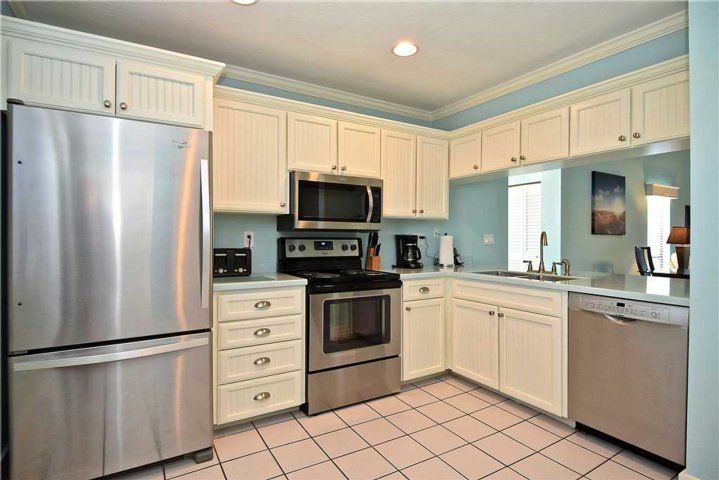 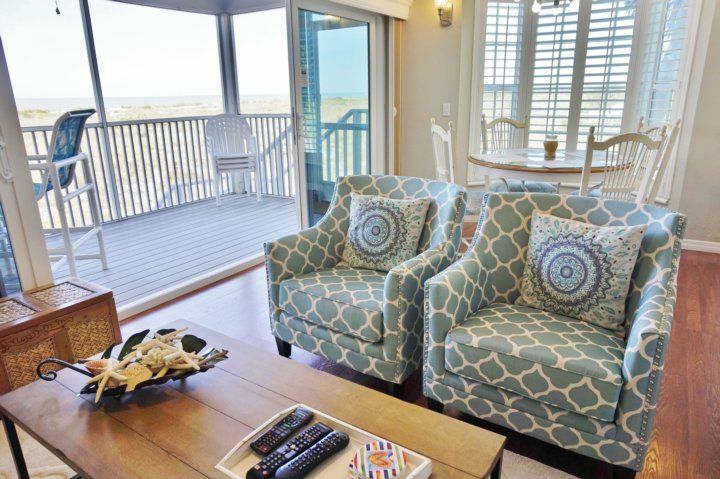 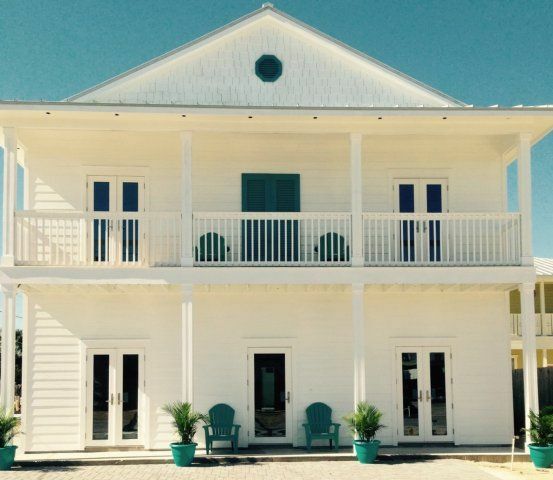 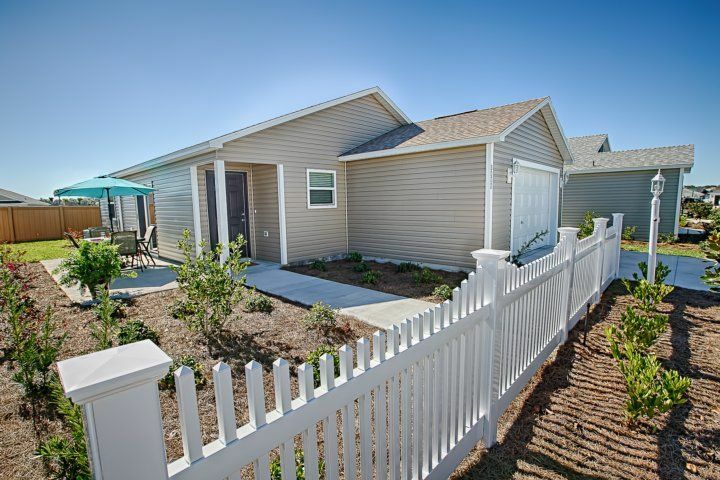 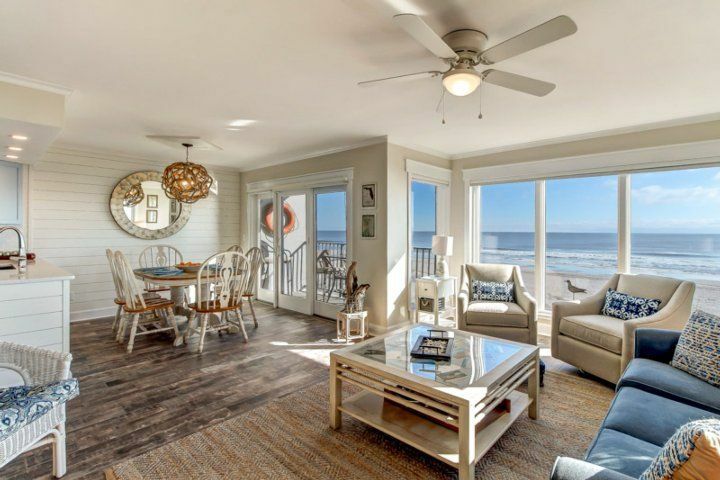 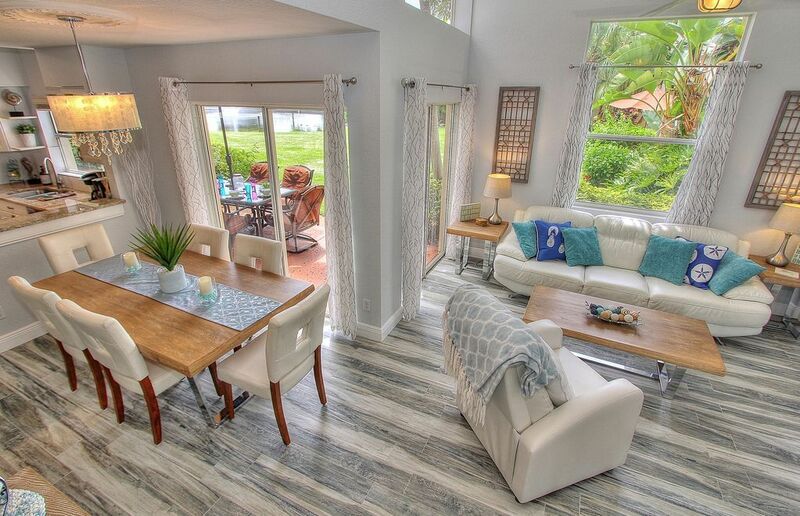 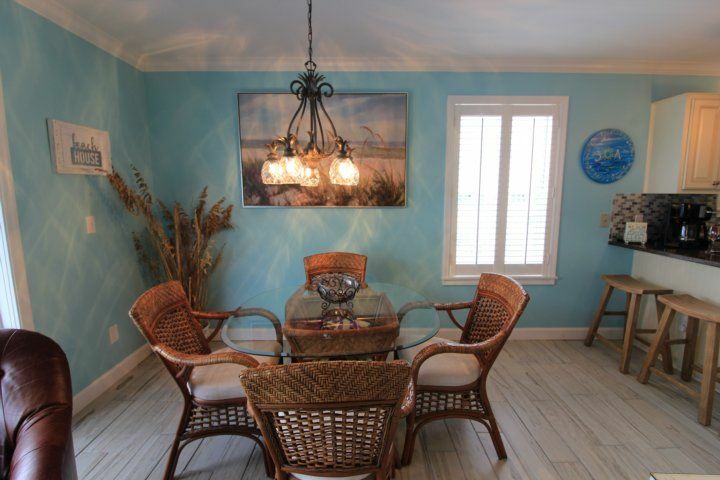 Stunning seaside decor, new kitchen, baths, paint, and luxury vinyl plank flooring throughout. 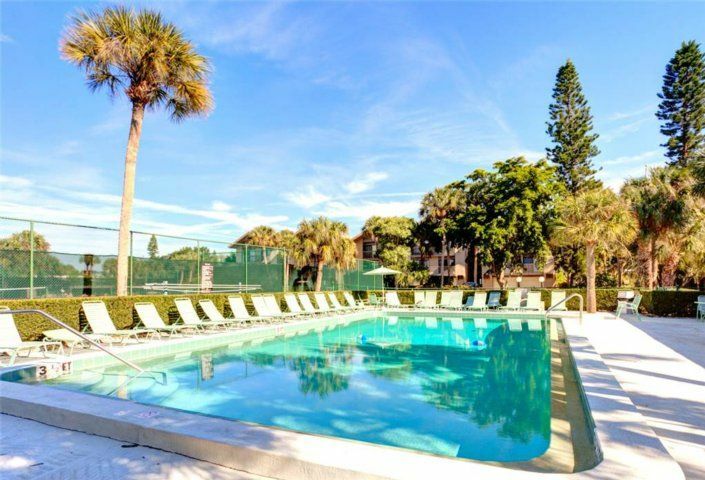 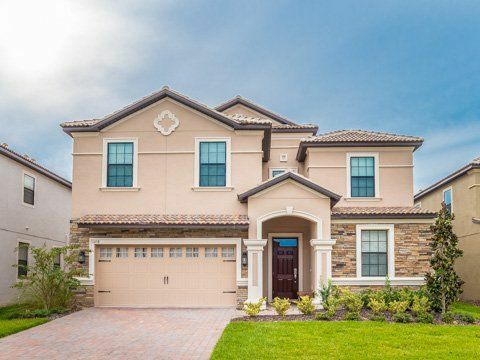 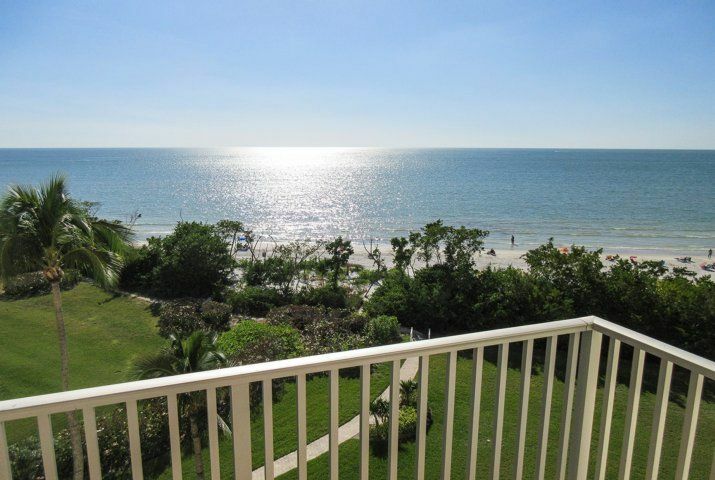 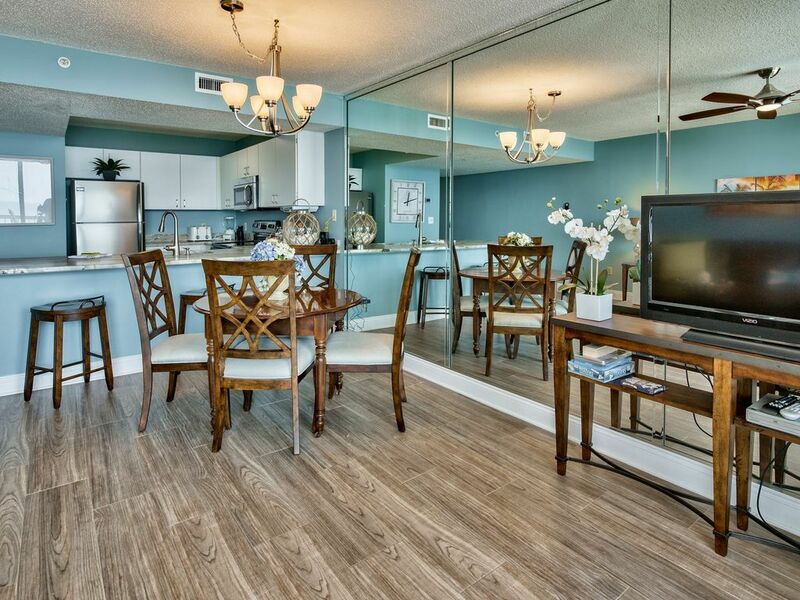 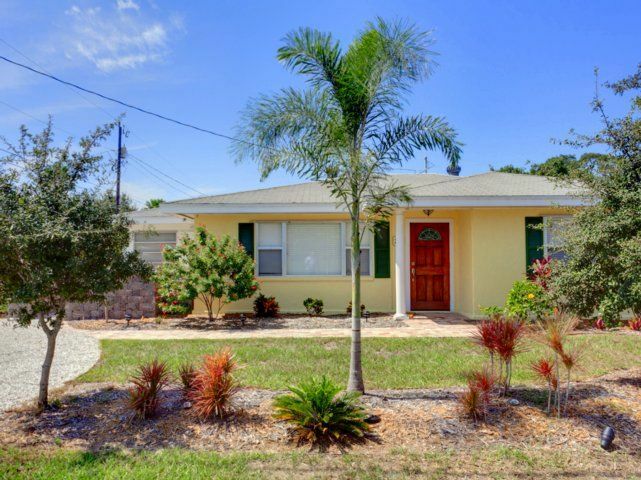 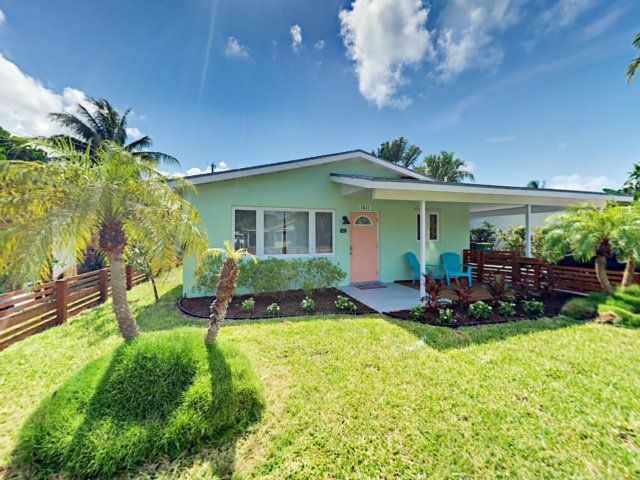 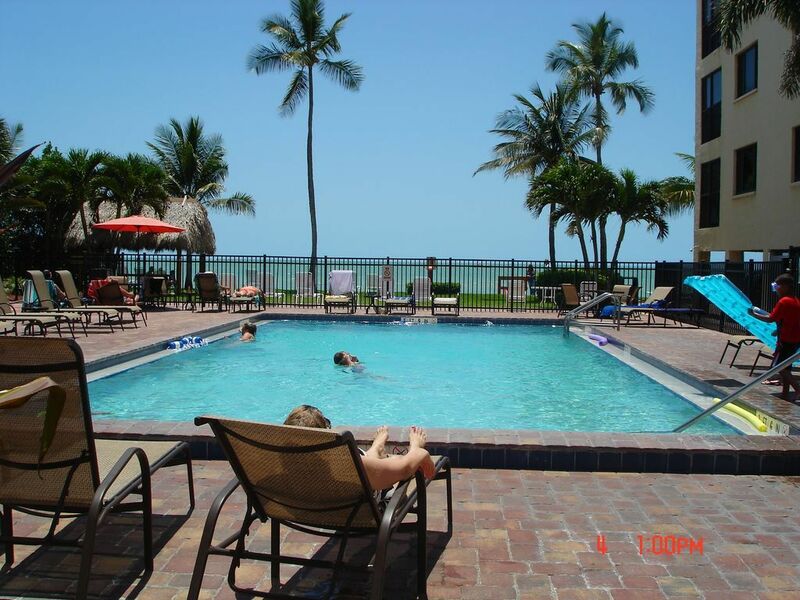 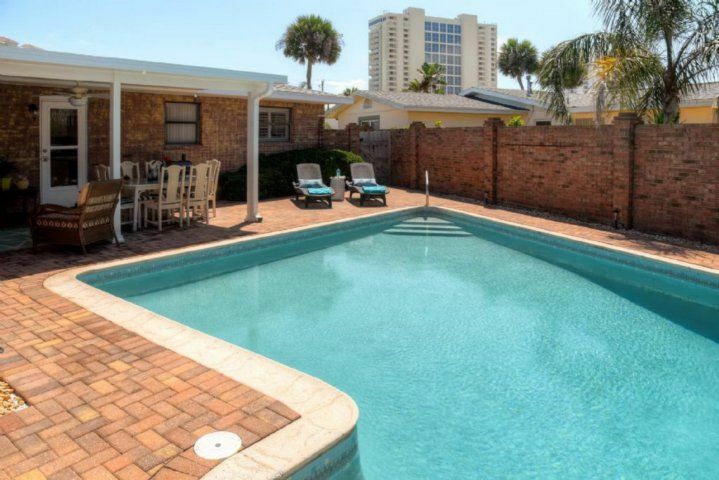 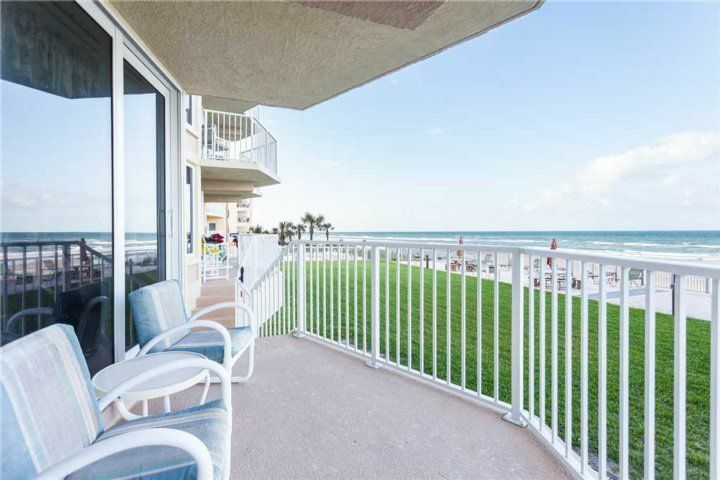 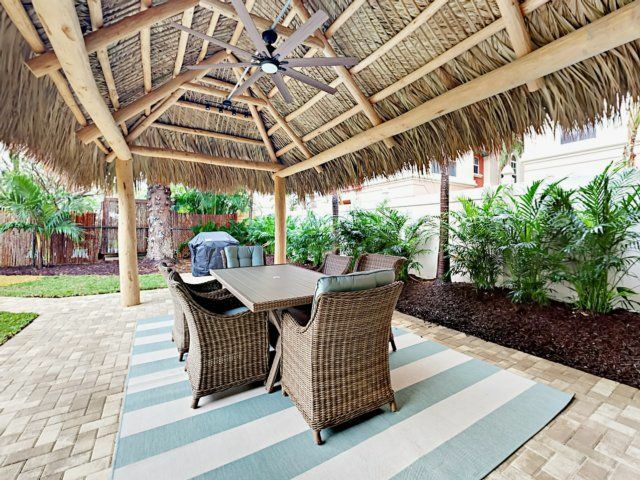 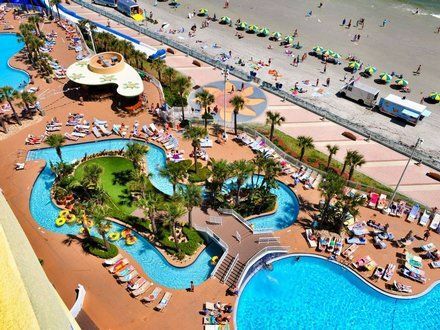 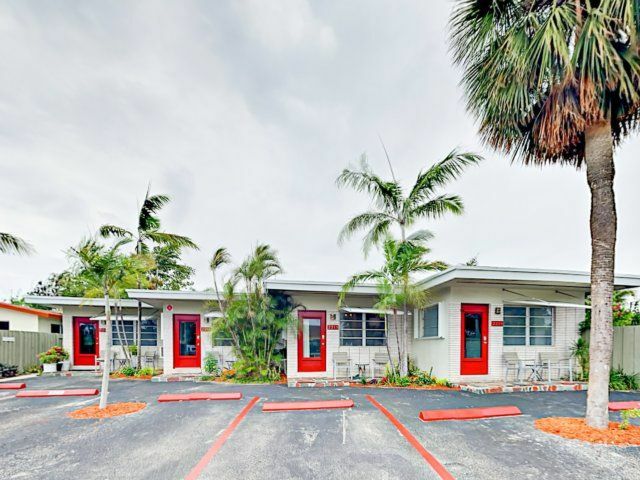 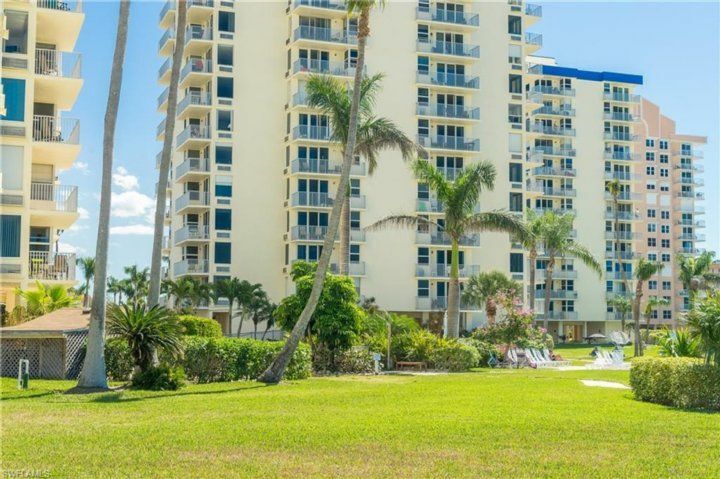 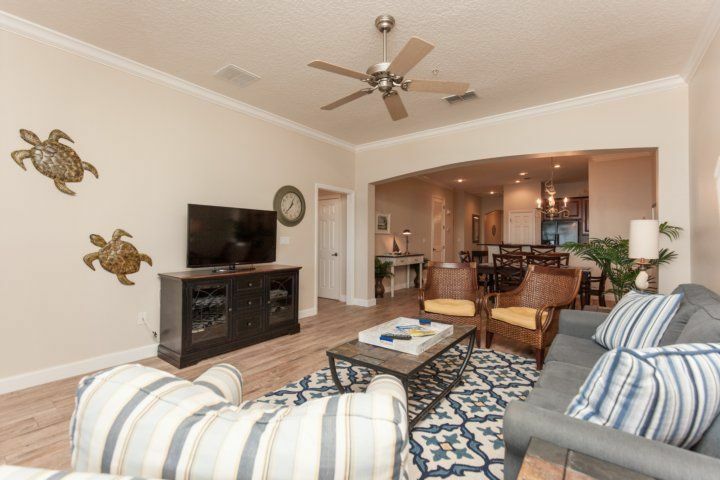 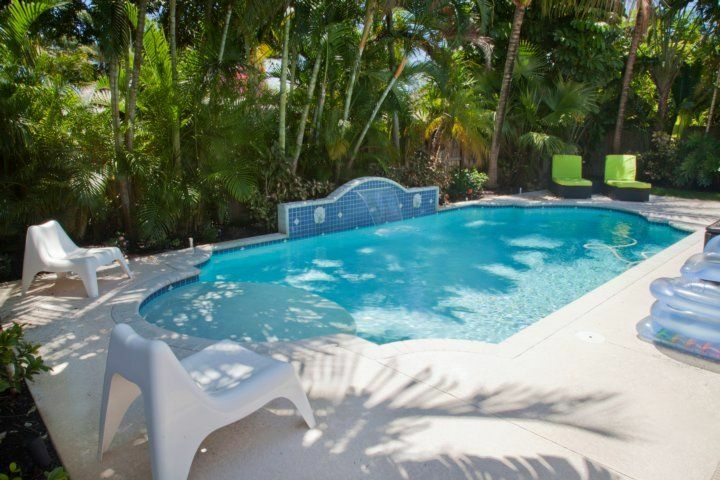 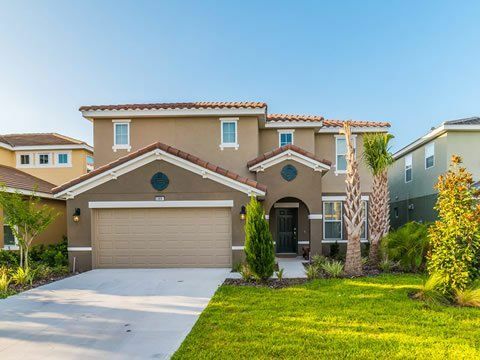 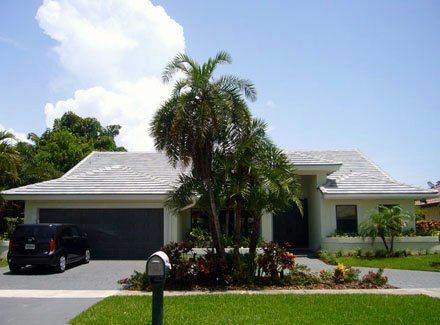 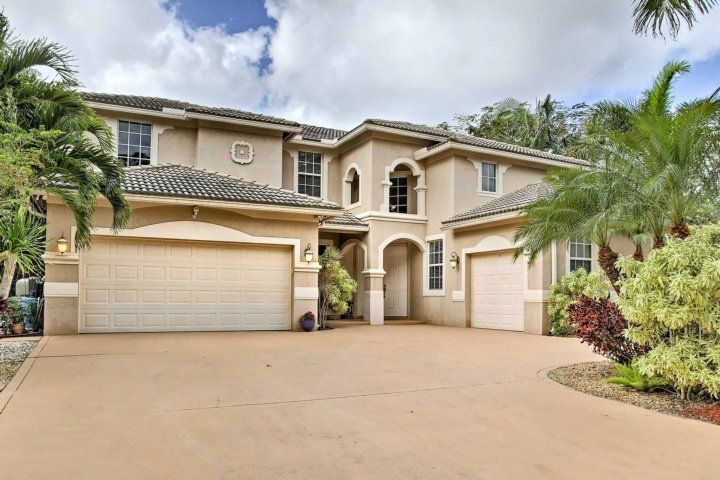 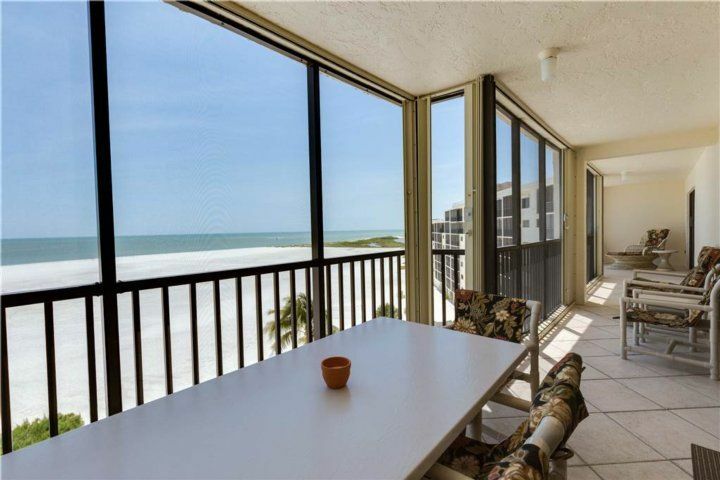 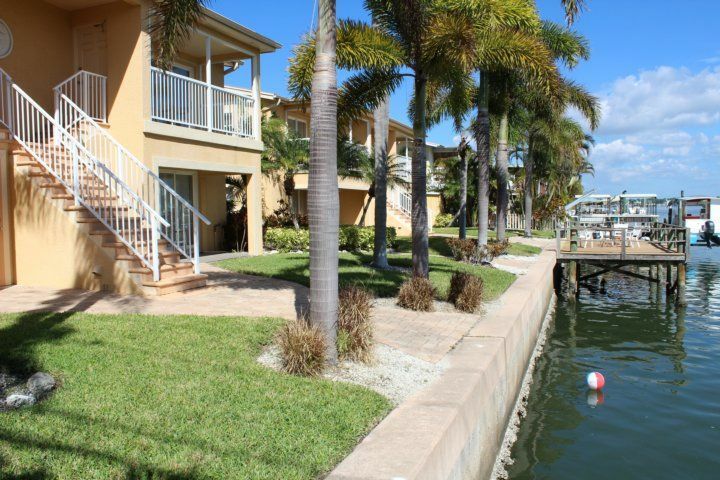 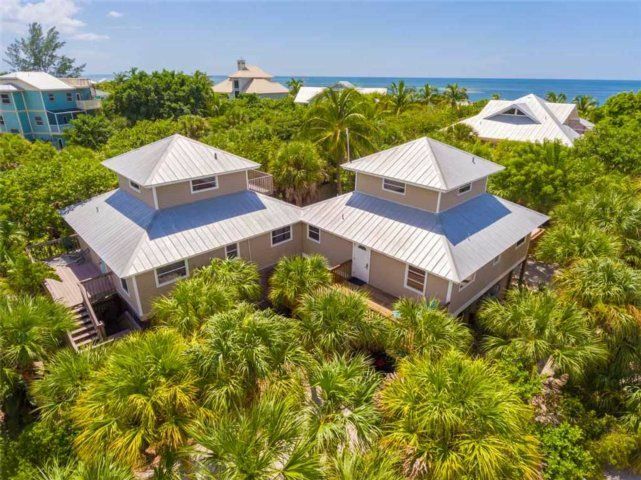 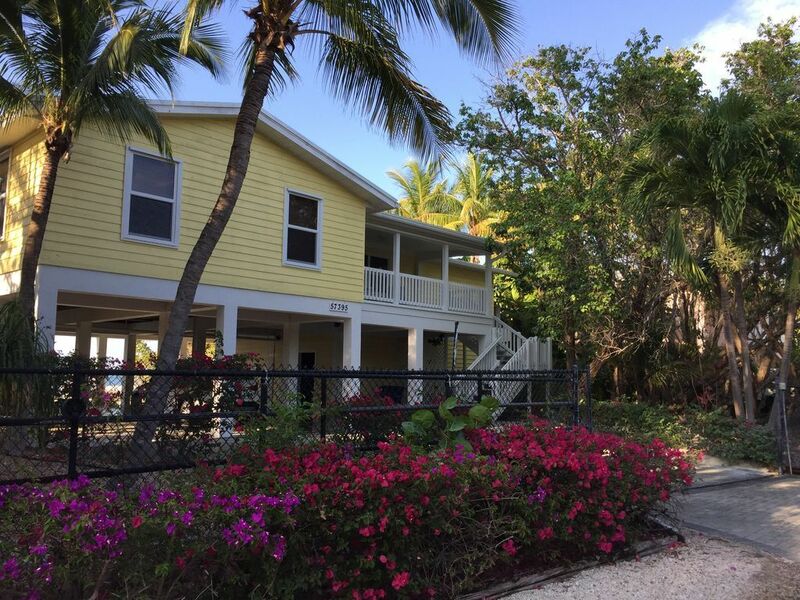 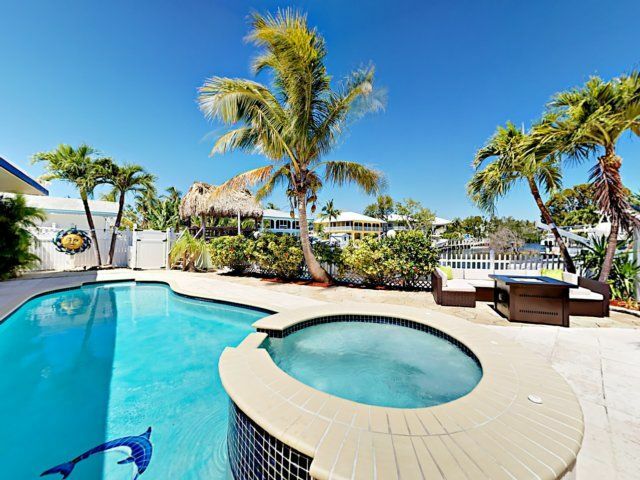 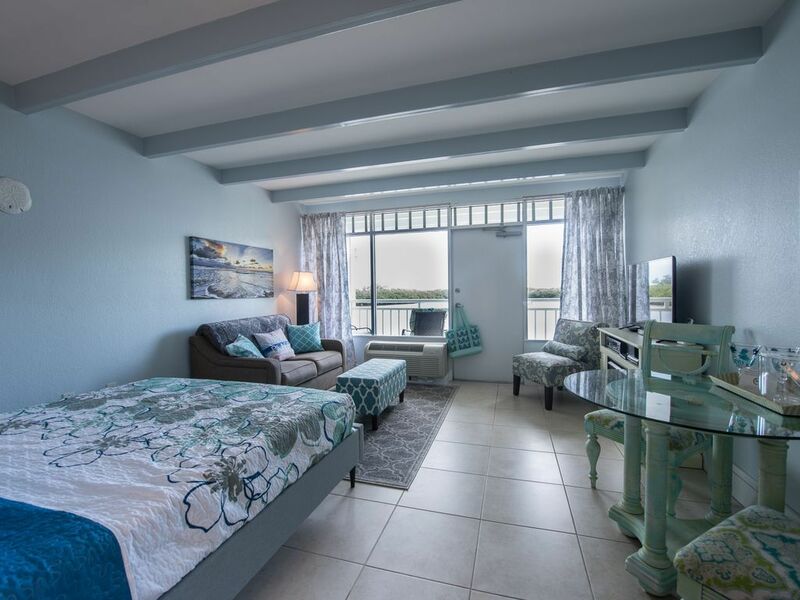 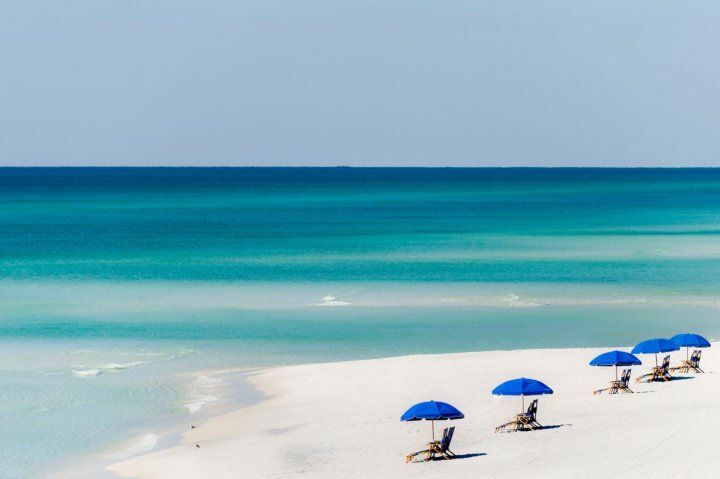 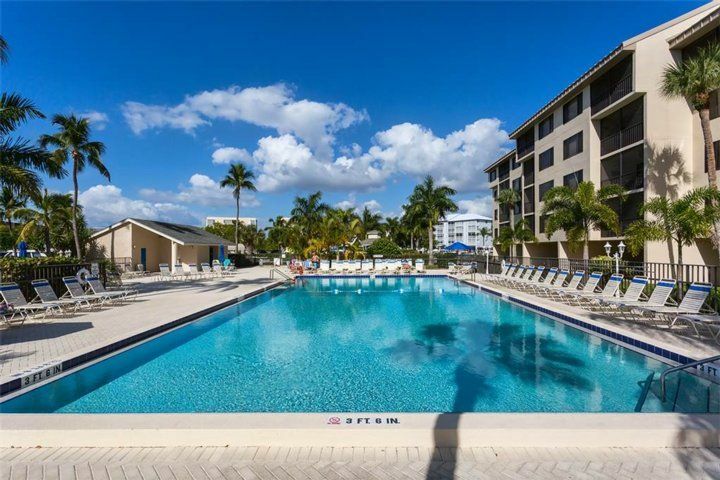 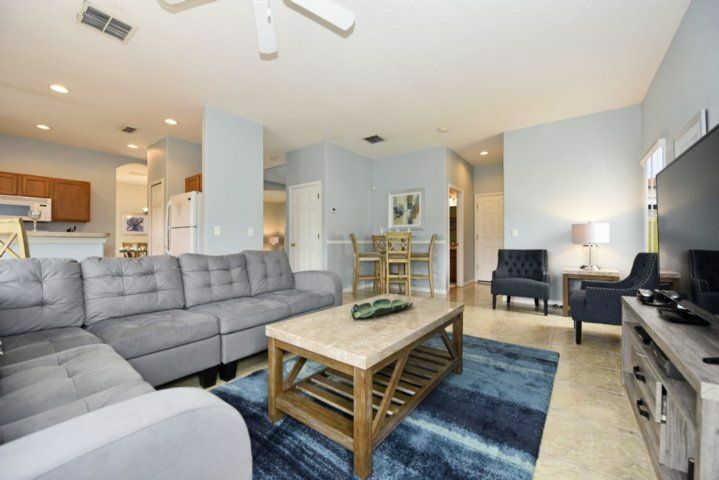 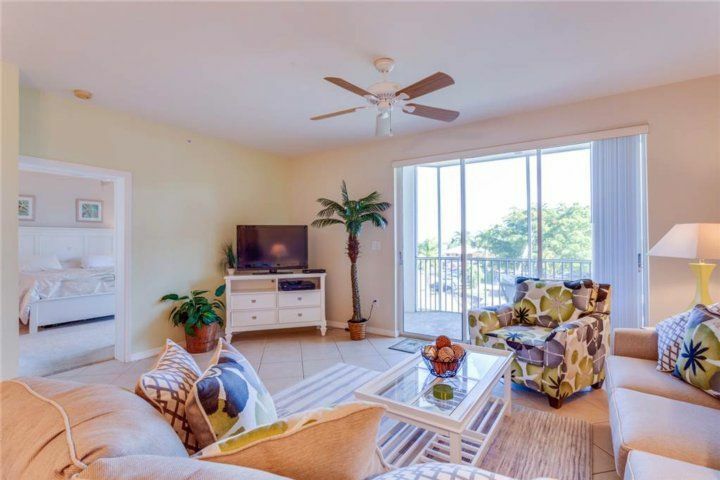 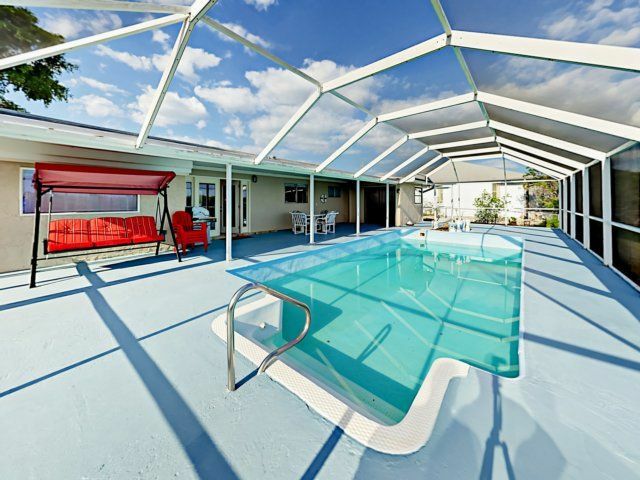 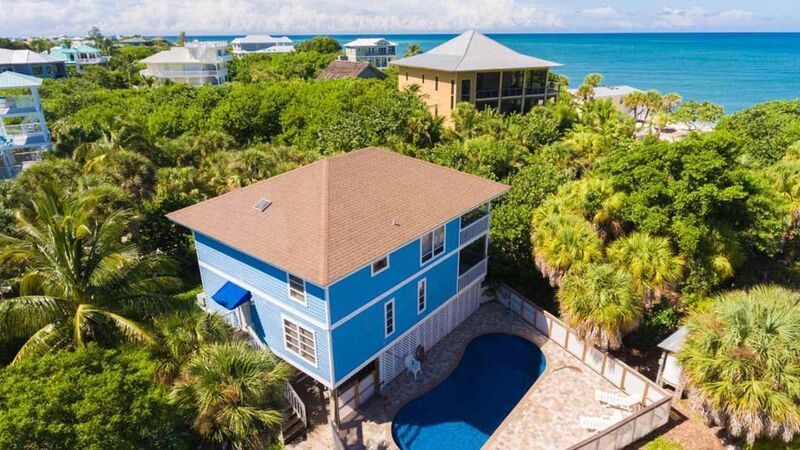 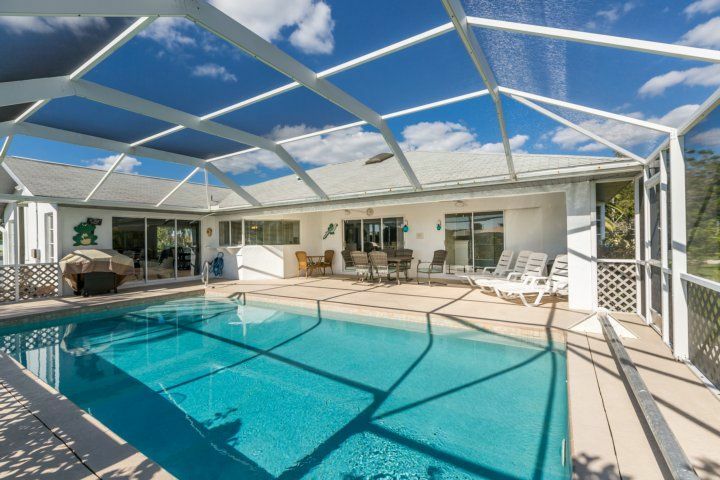 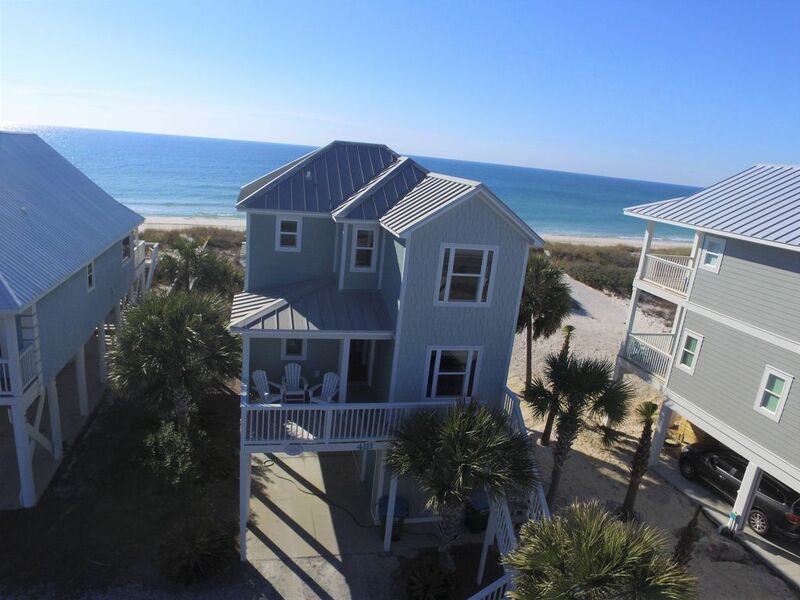 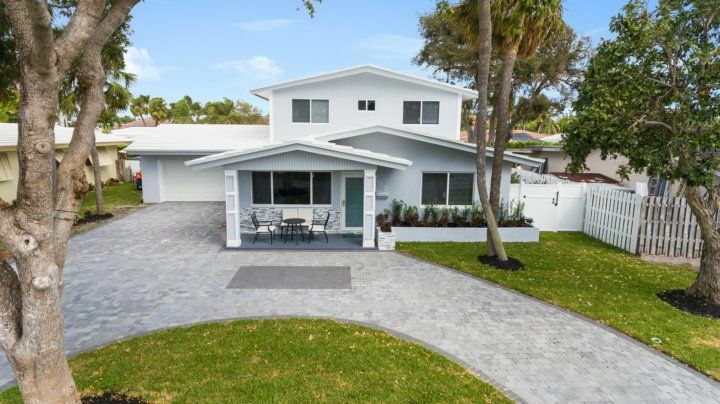 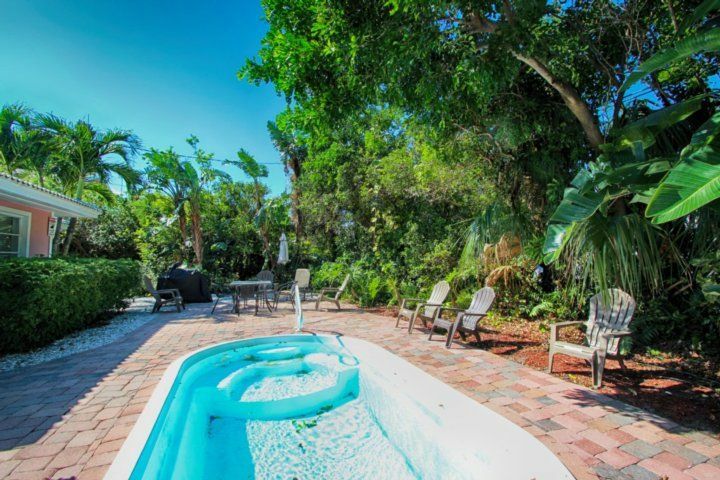 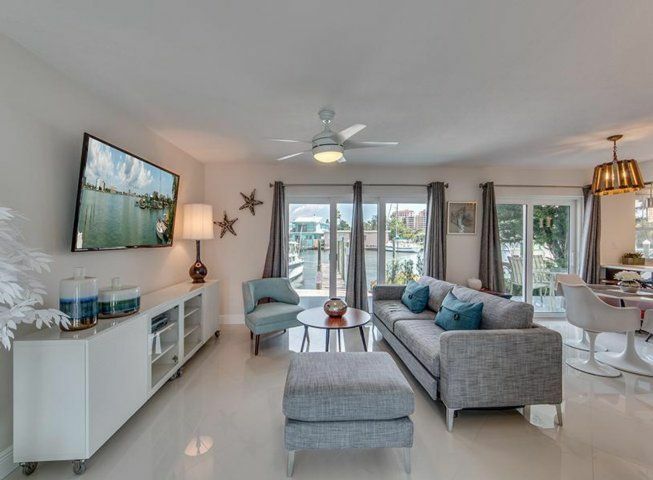 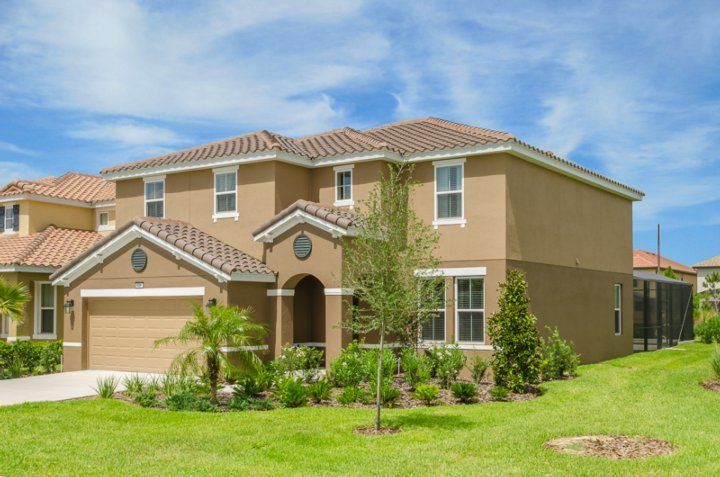 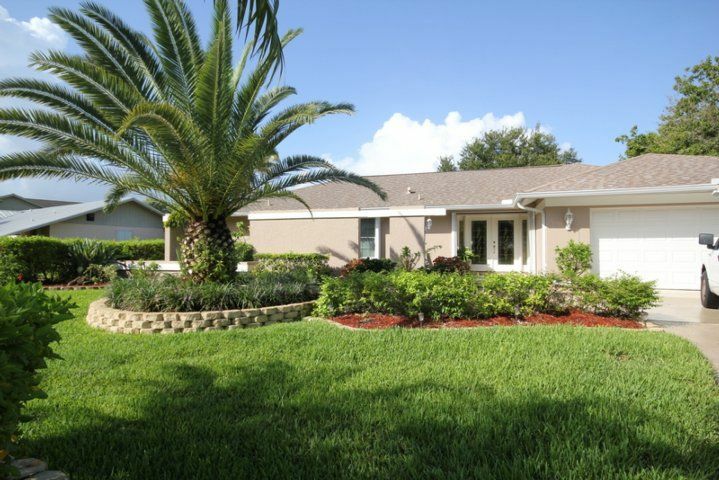 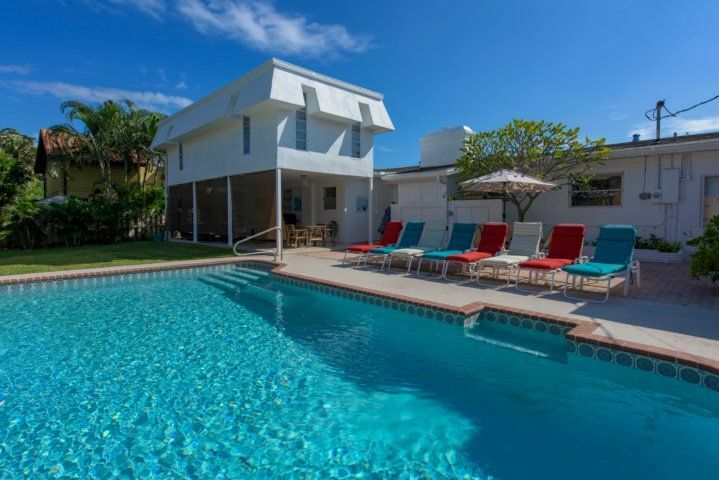 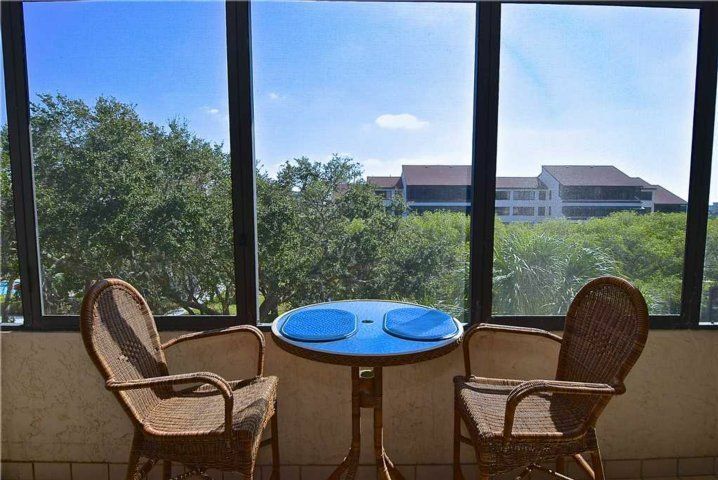 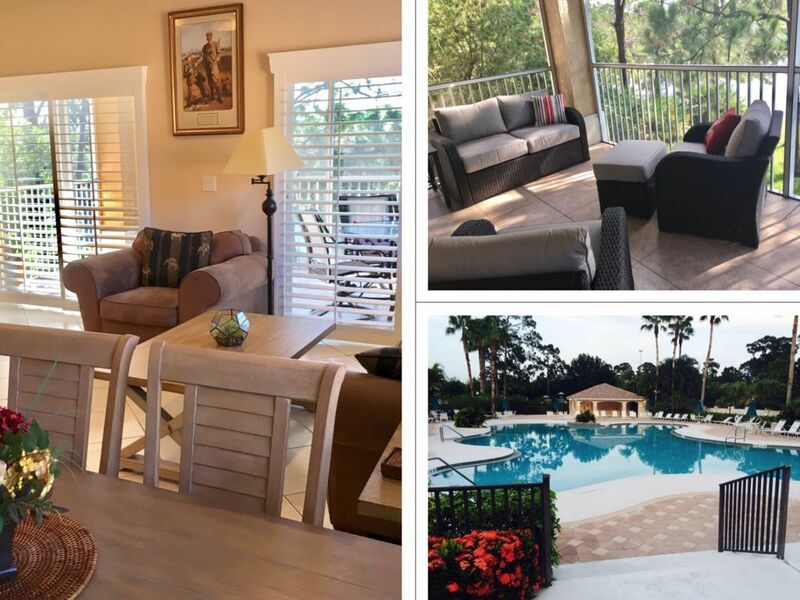 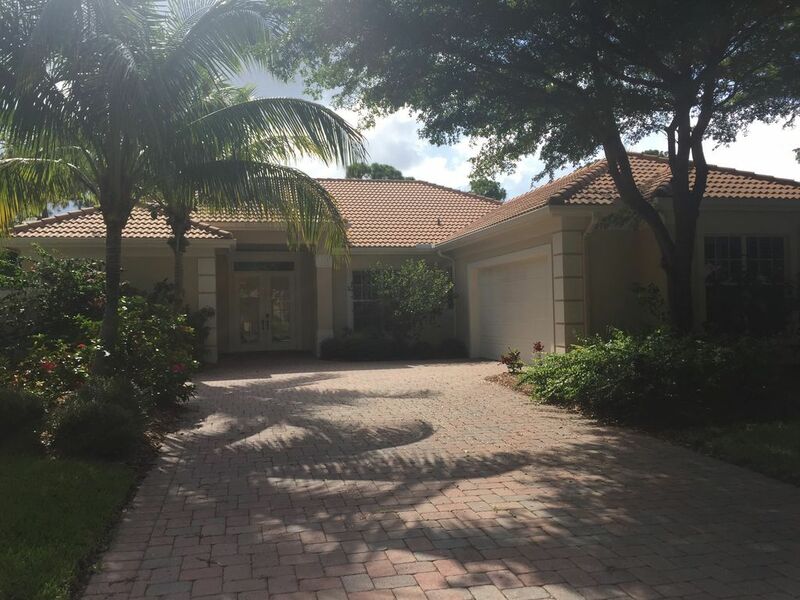 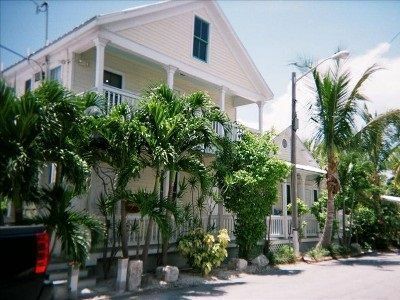 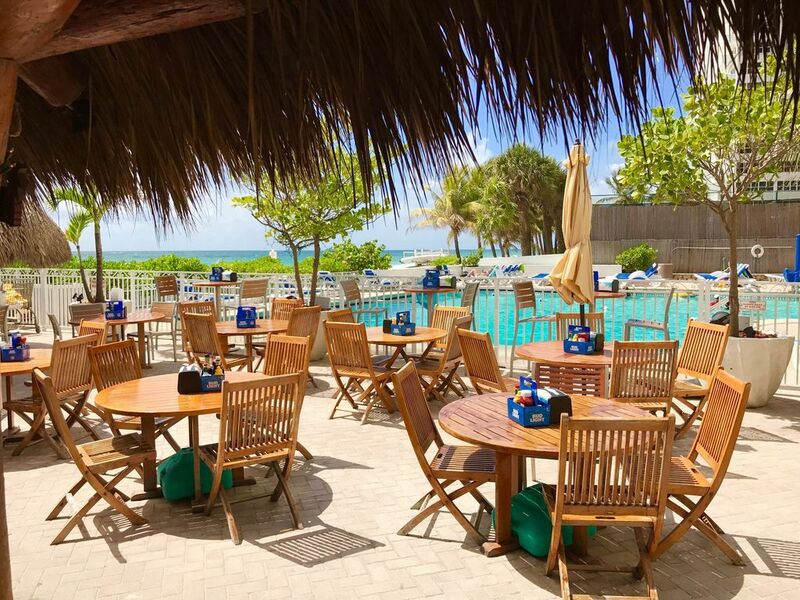 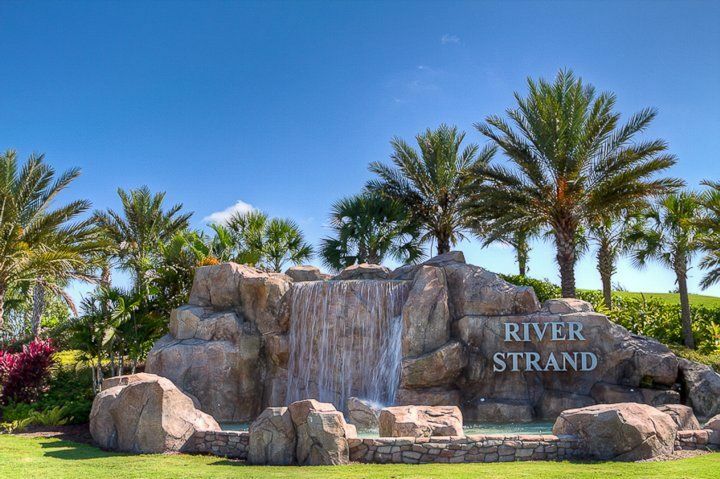 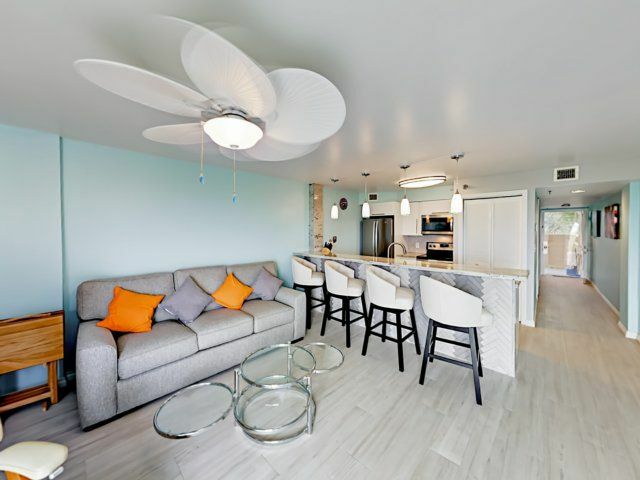 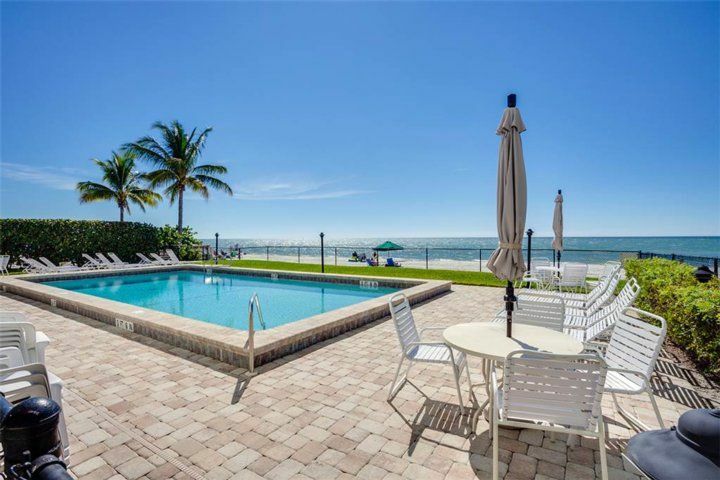 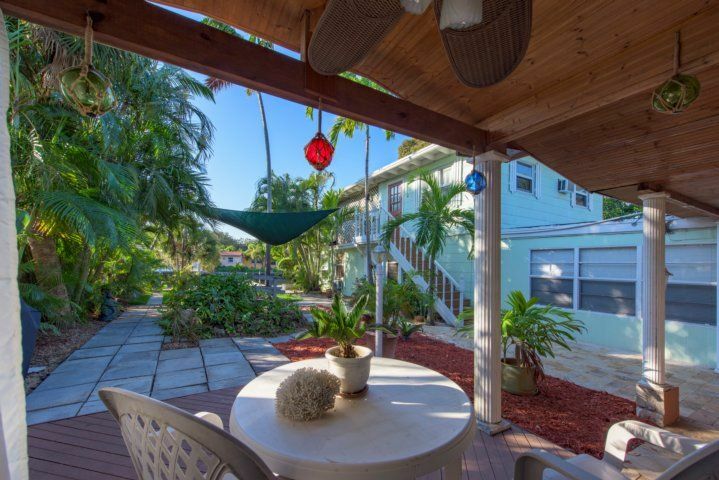 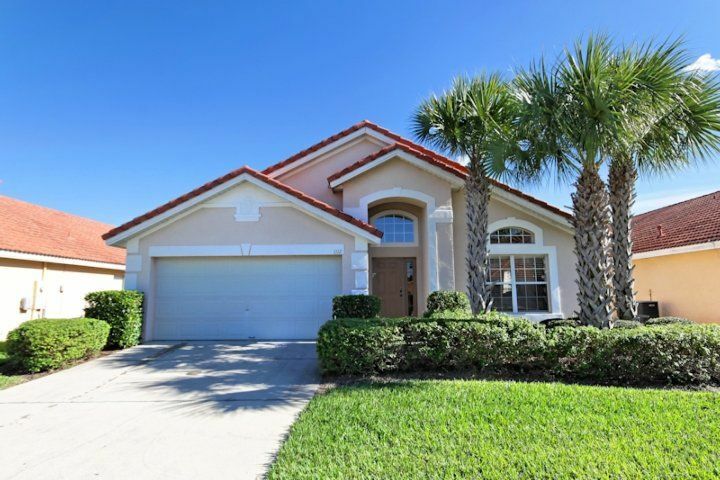 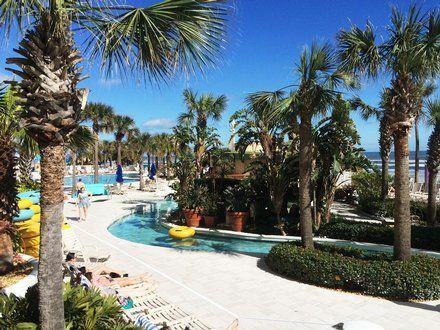 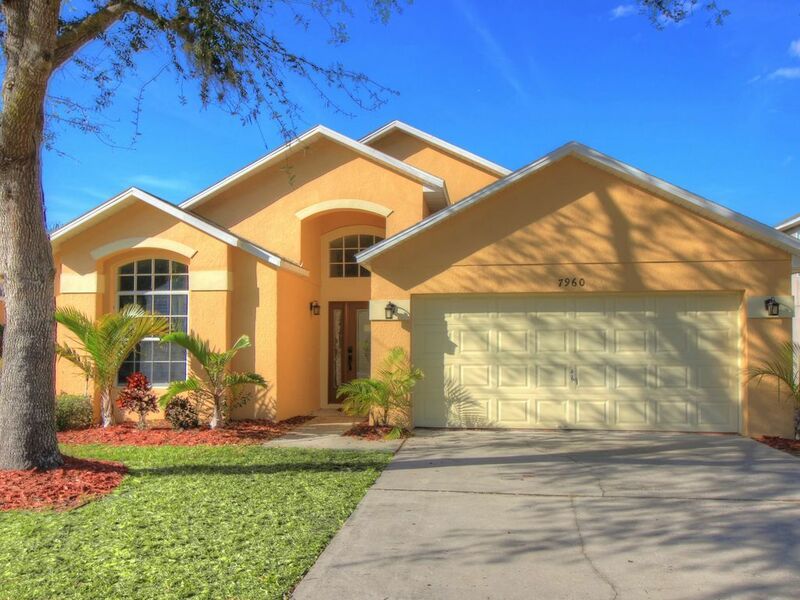 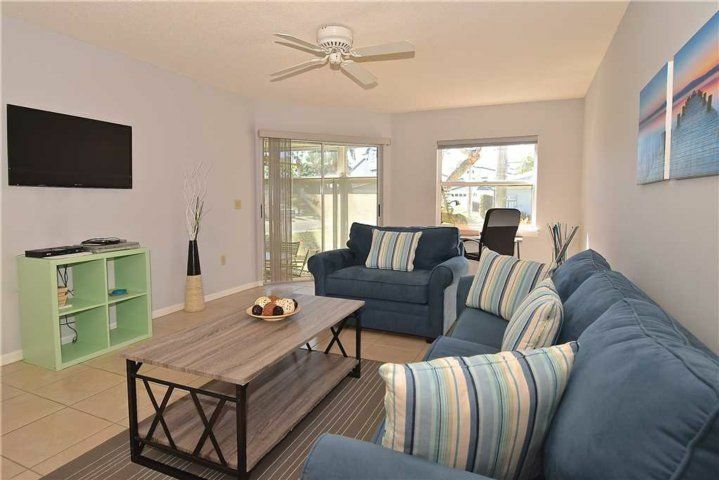 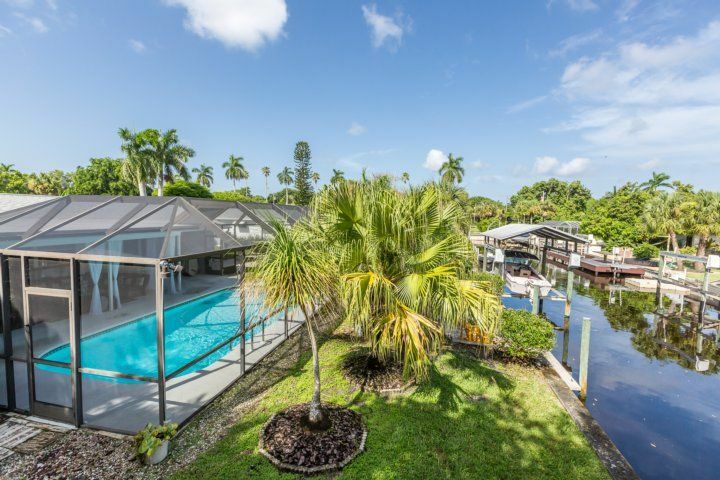 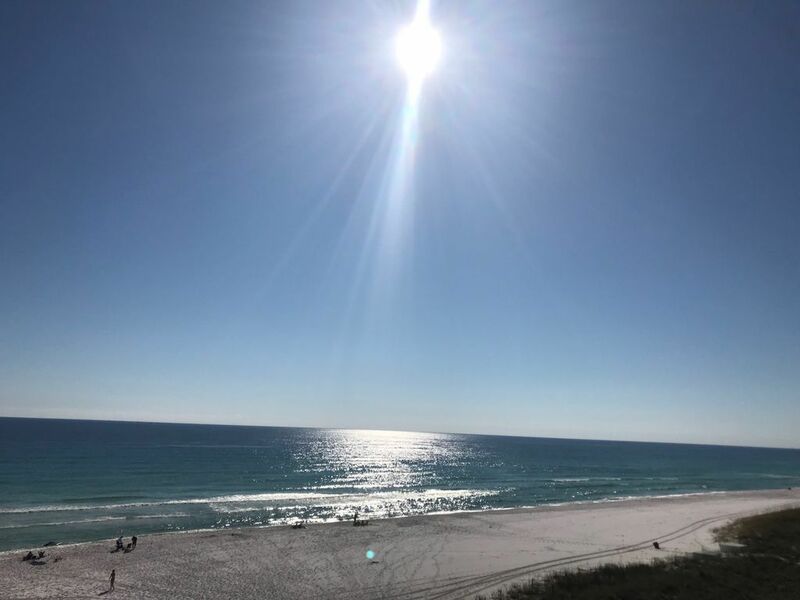 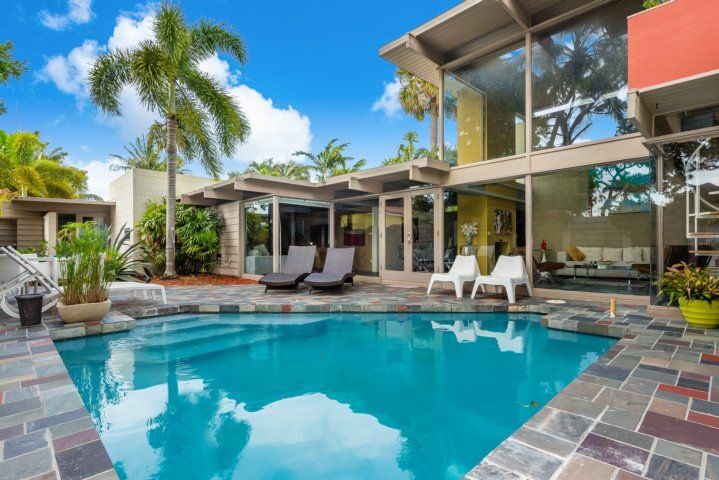 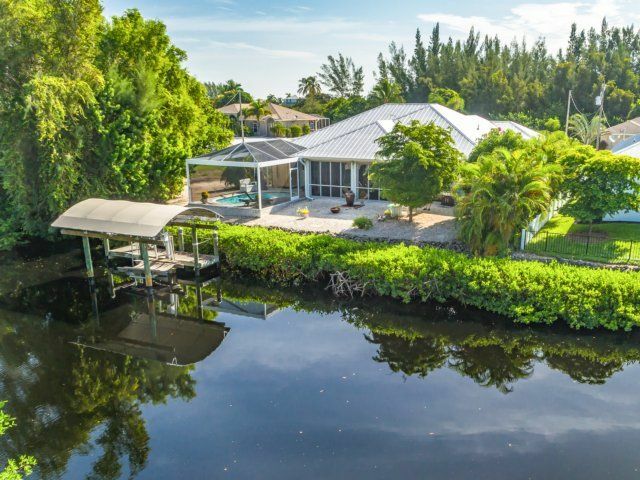 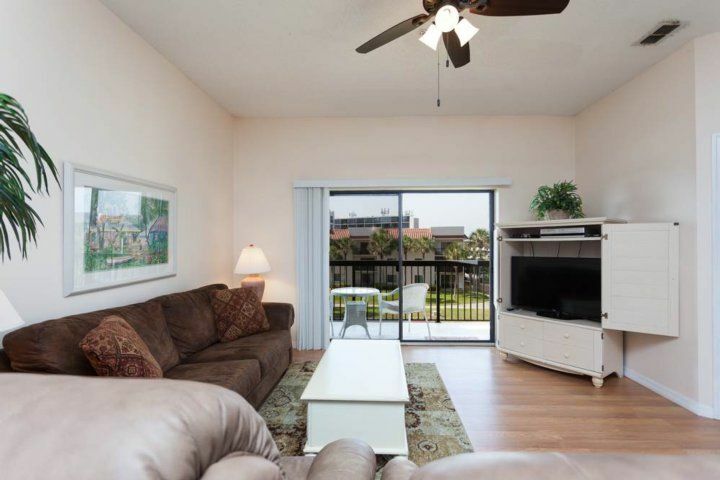 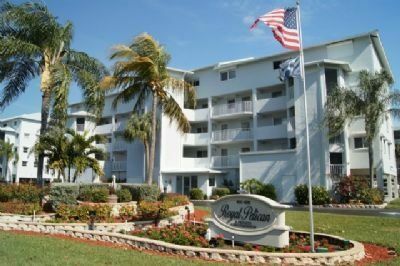 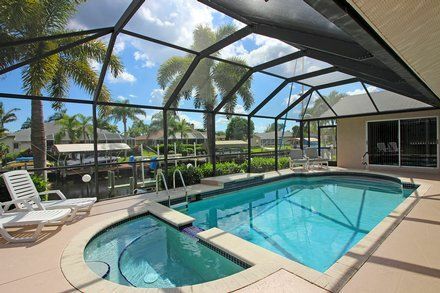 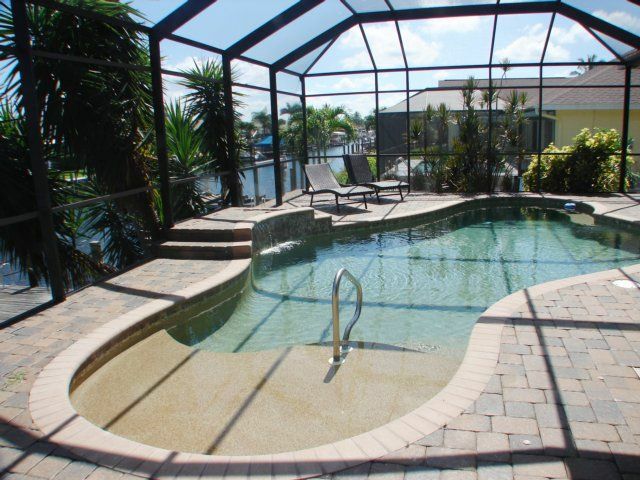 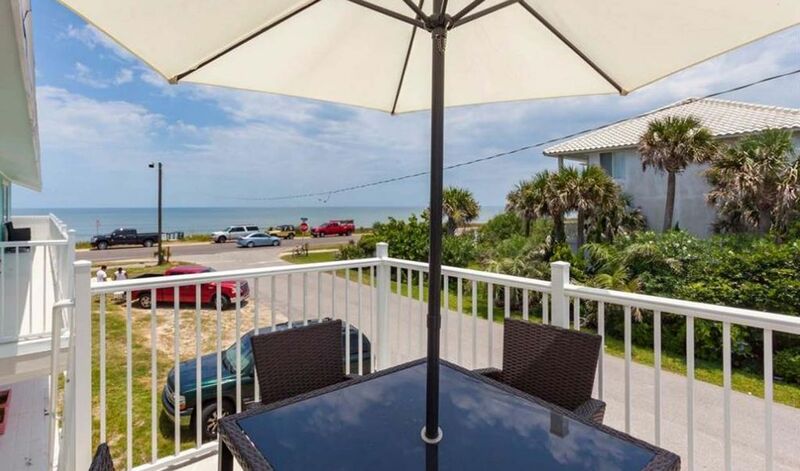 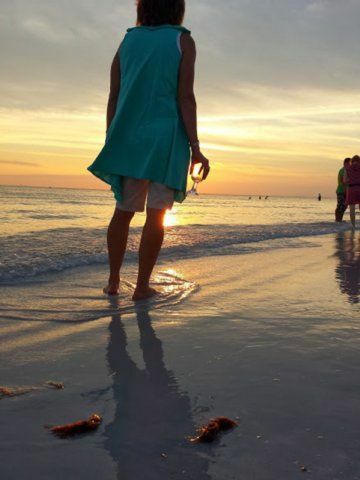 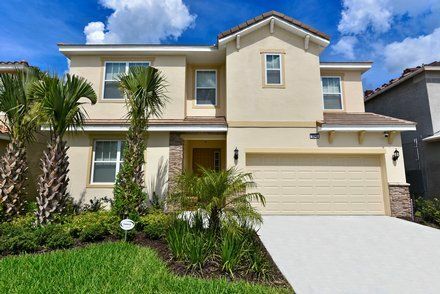 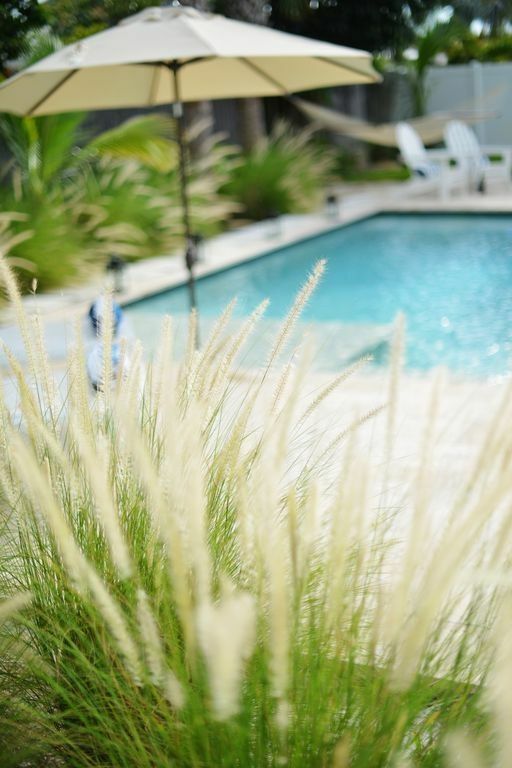 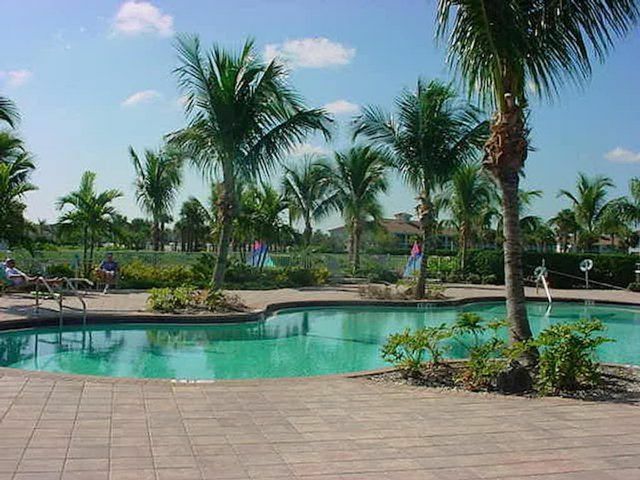 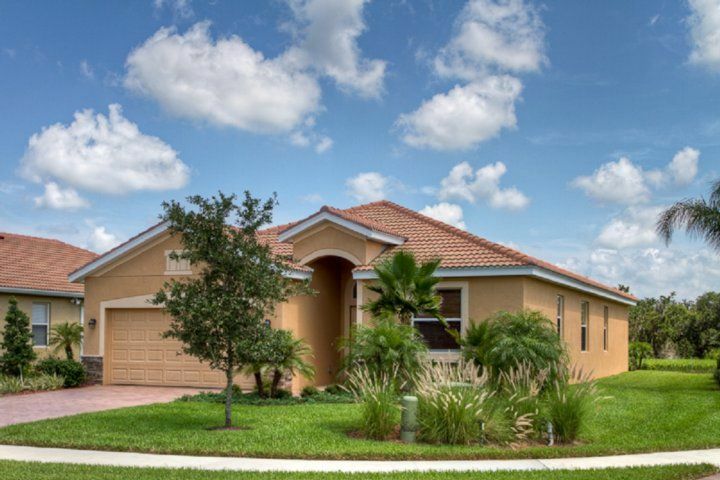 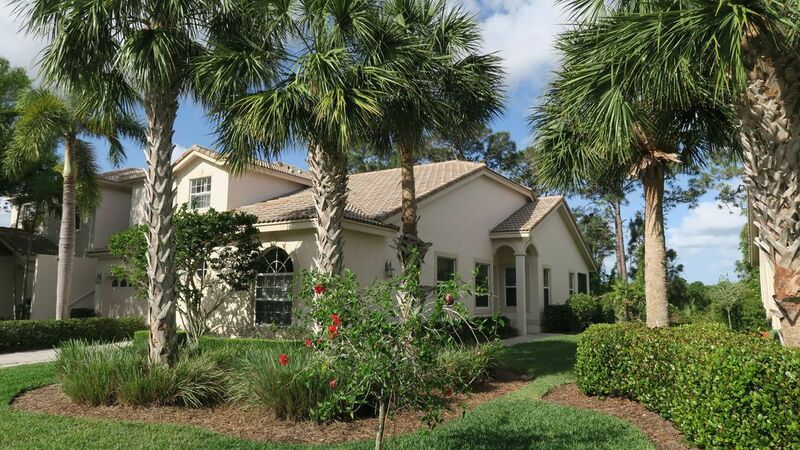 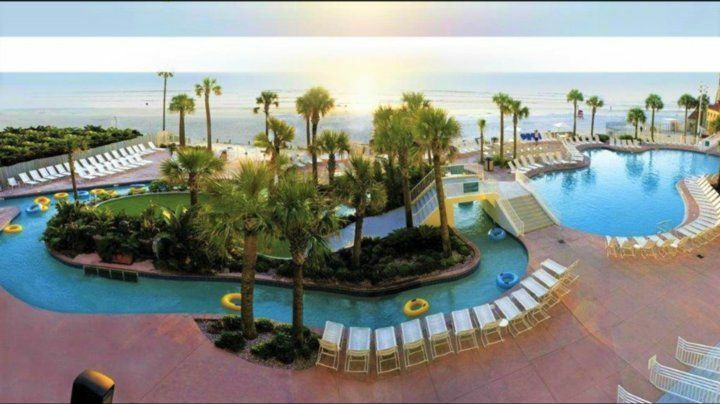 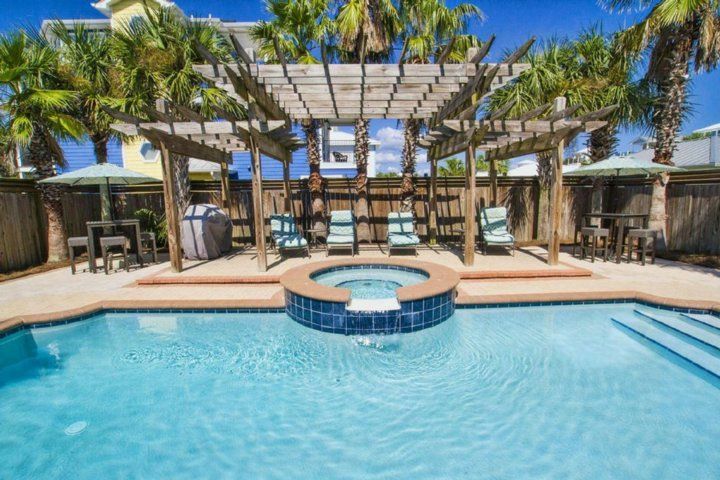 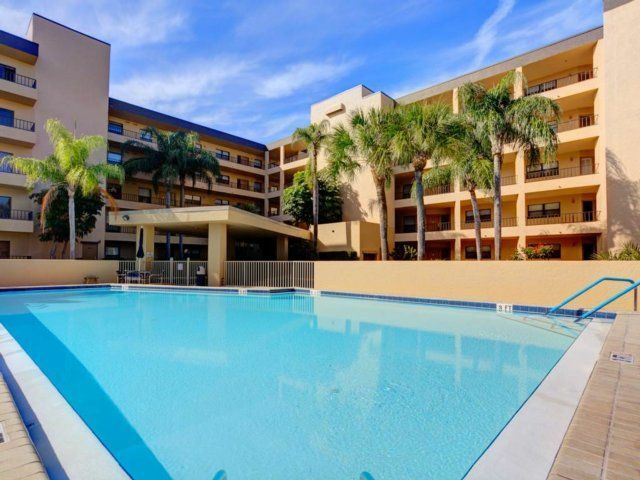 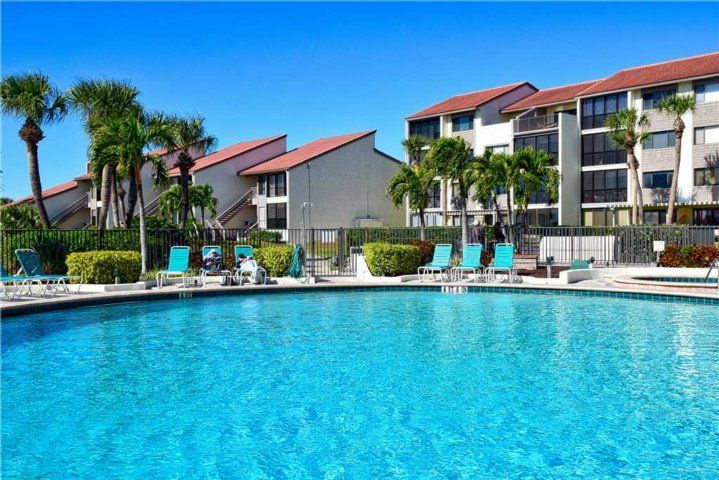 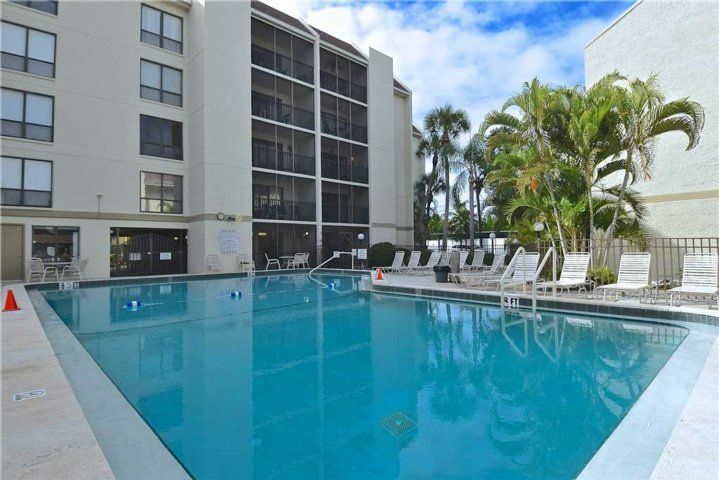 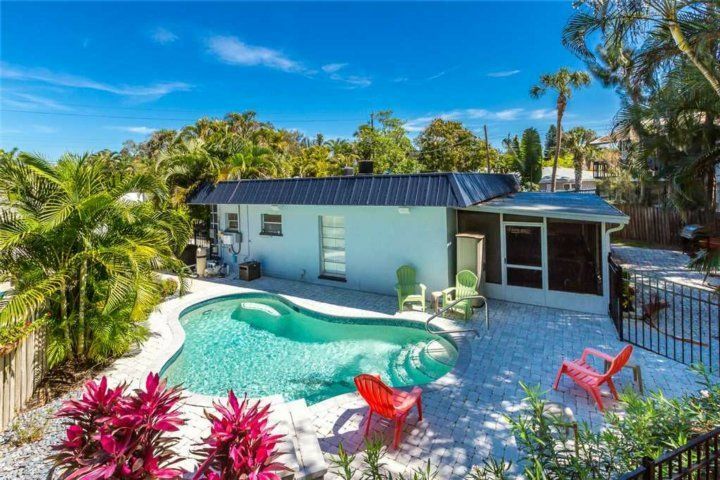 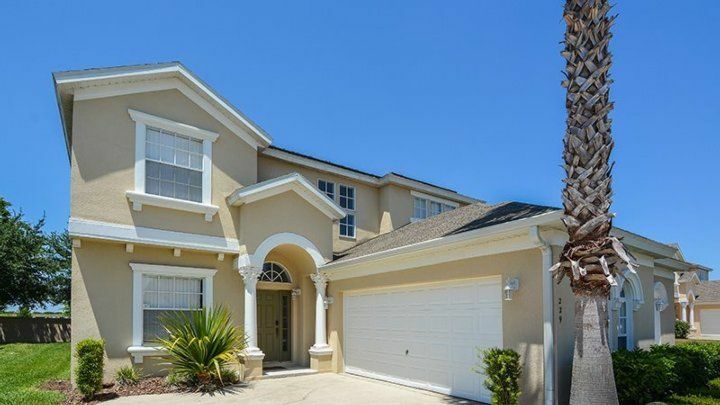 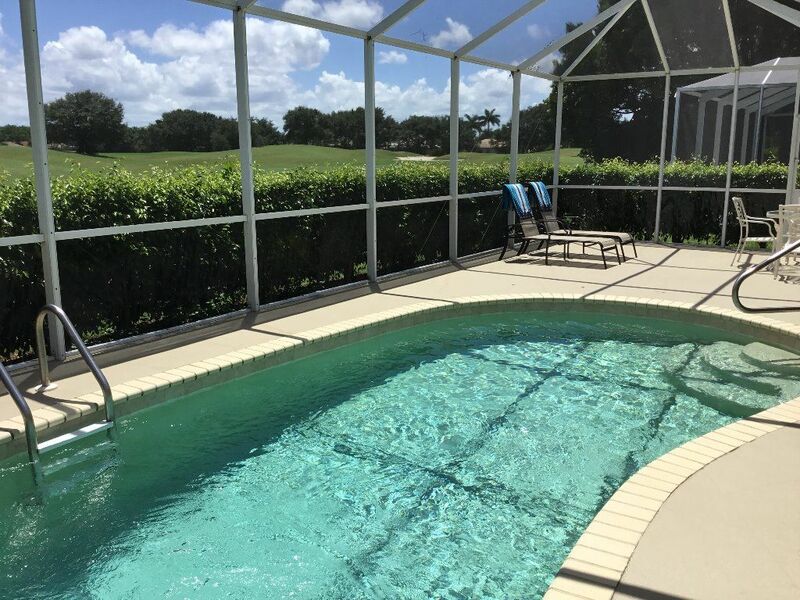 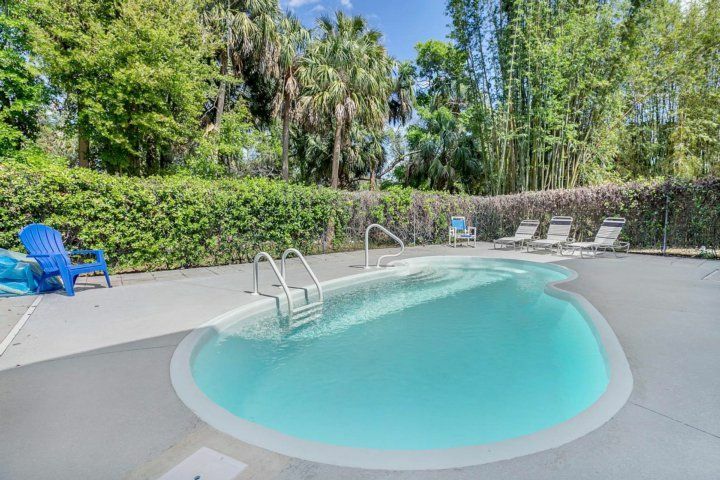 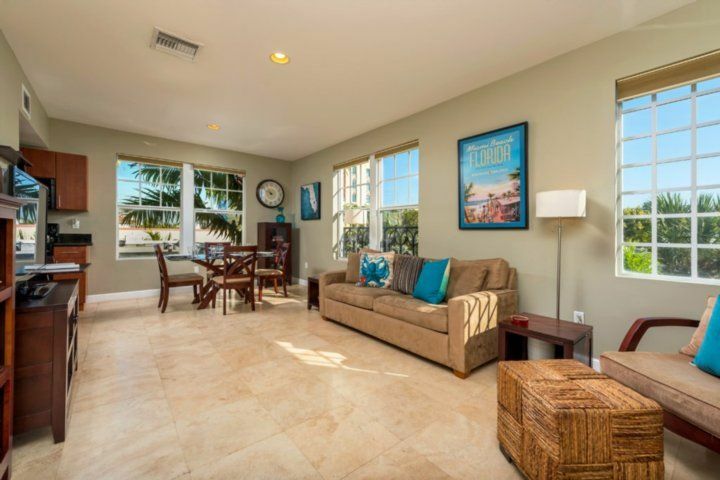 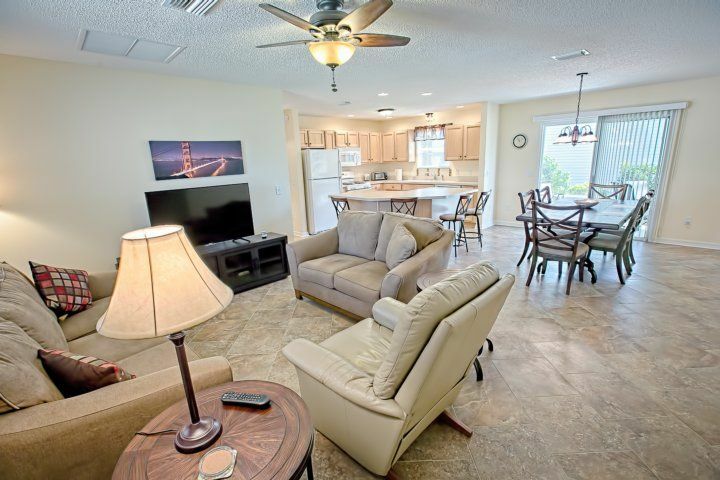 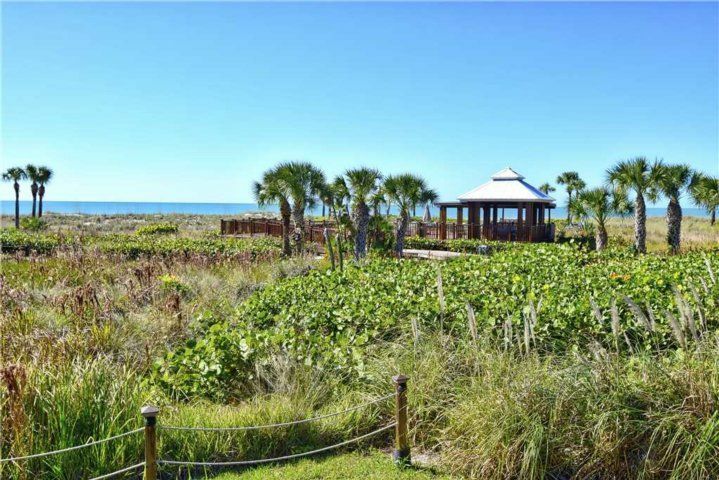 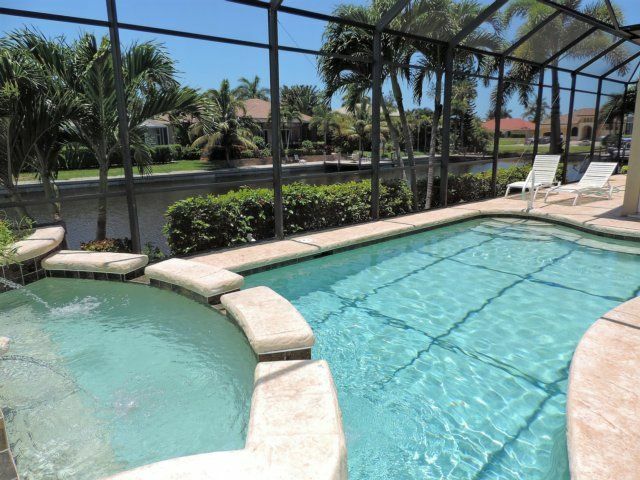 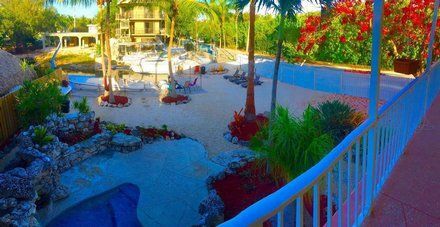 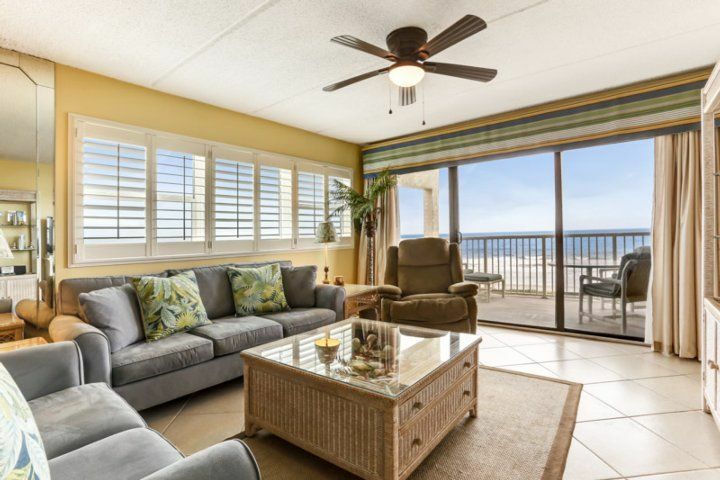 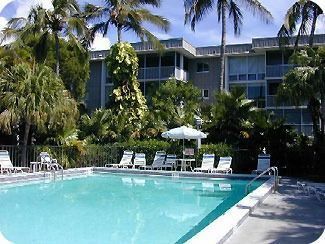 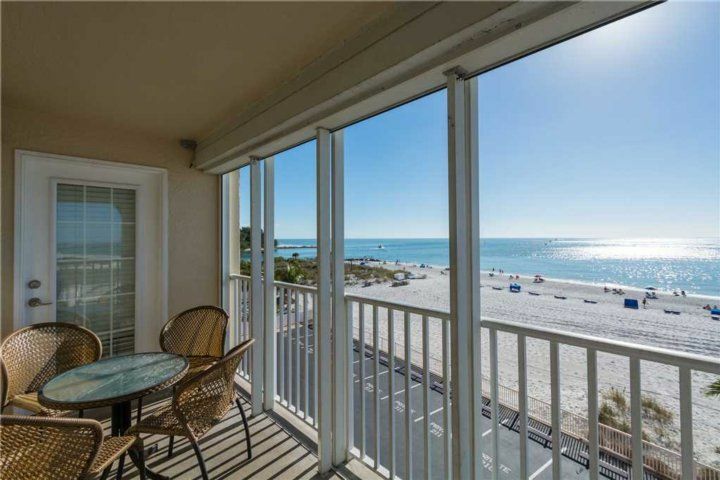 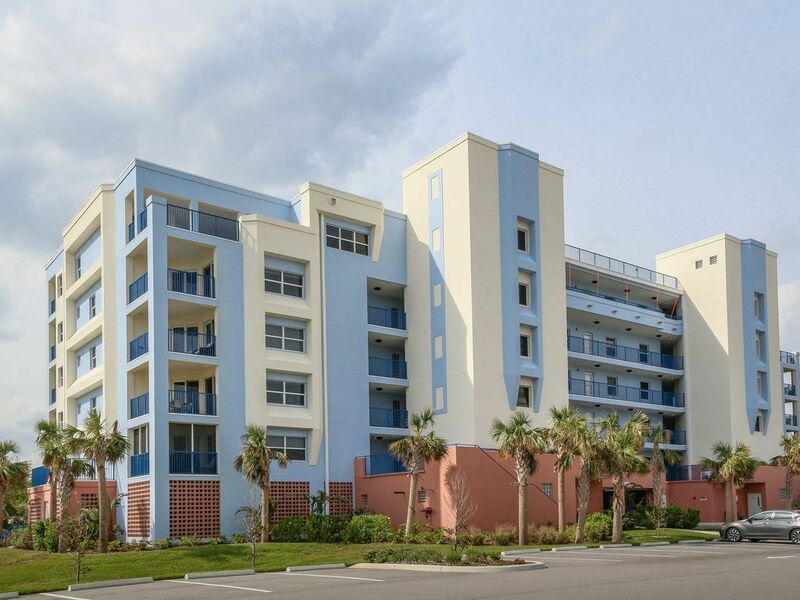 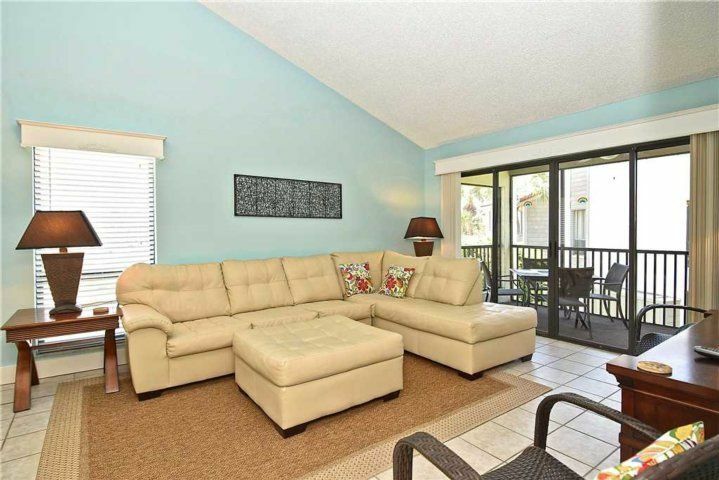 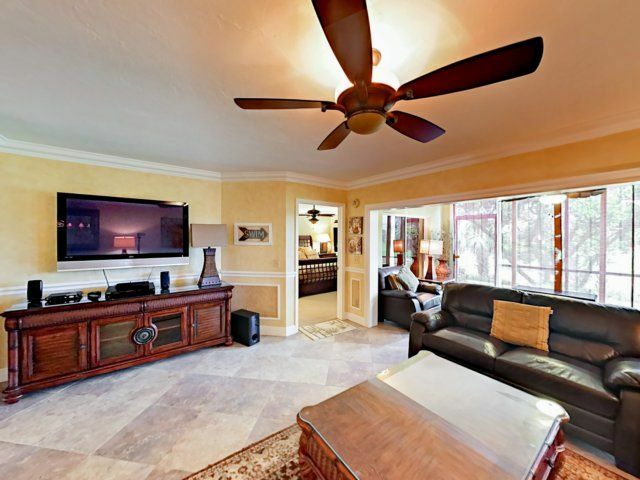 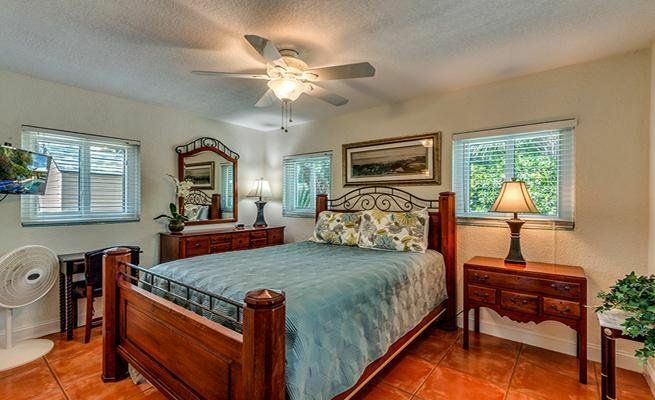 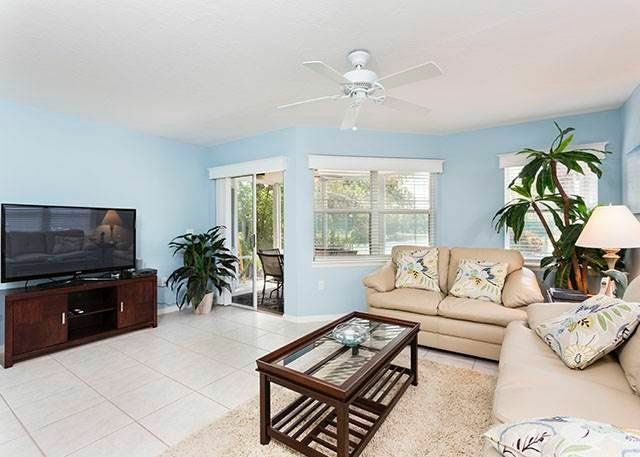 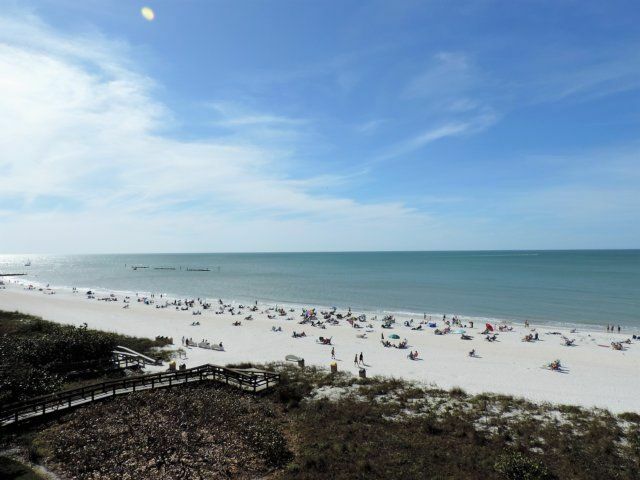 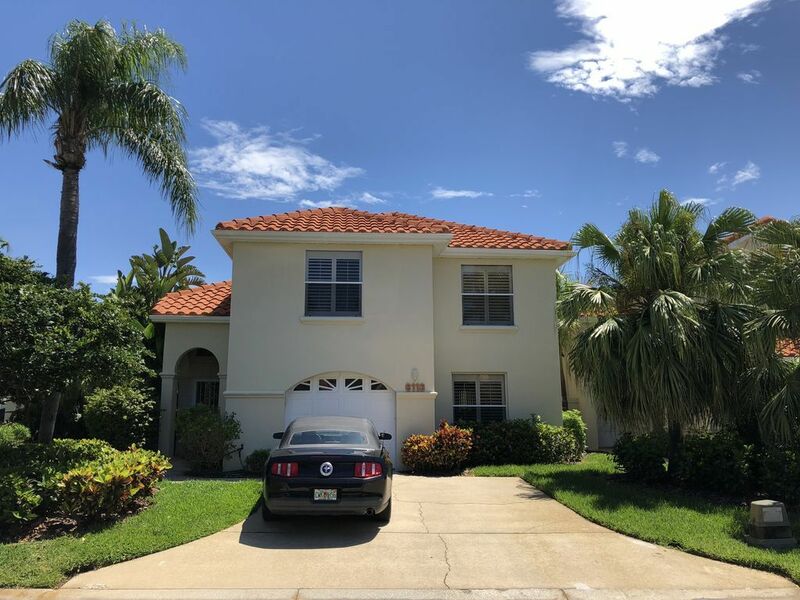 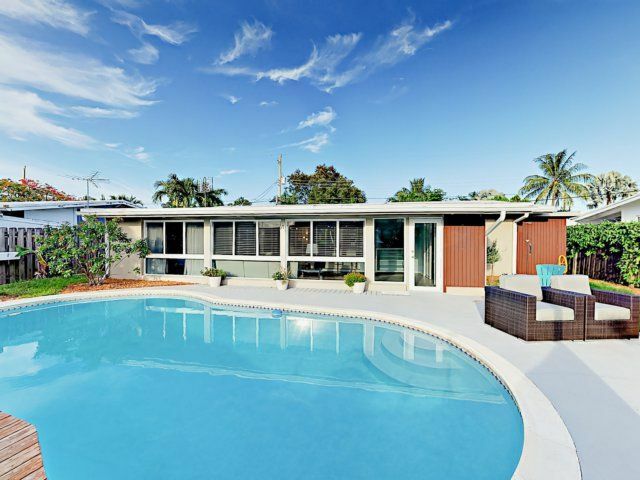 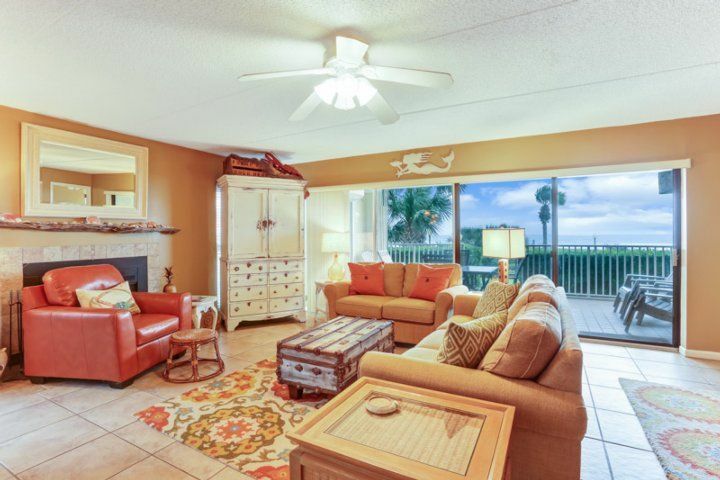 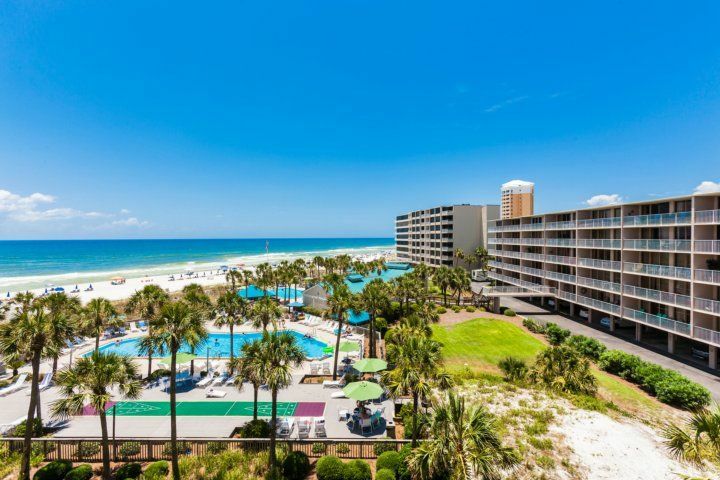 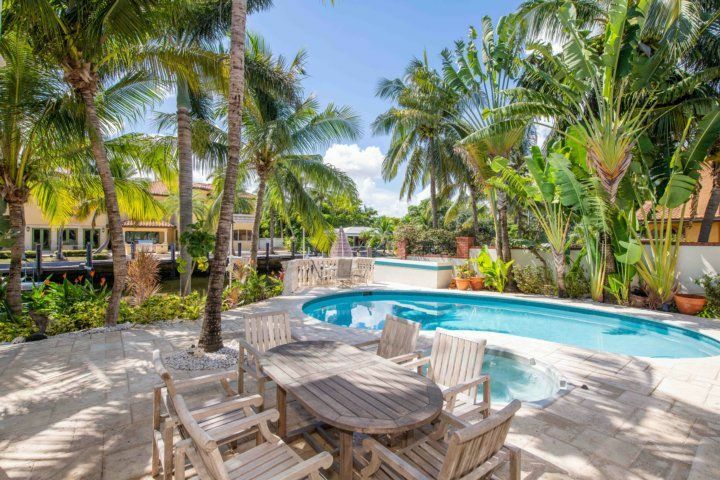 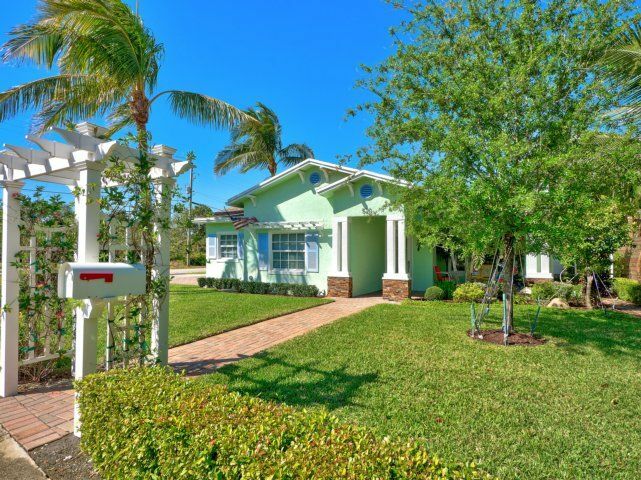 Decked in pure tropical style, Siesta Dunes Beach 201 in Siesta Key, Florida is an ideal choice for families planning to spend all their daytime hours at the pool or the gorgeous on-site beach. 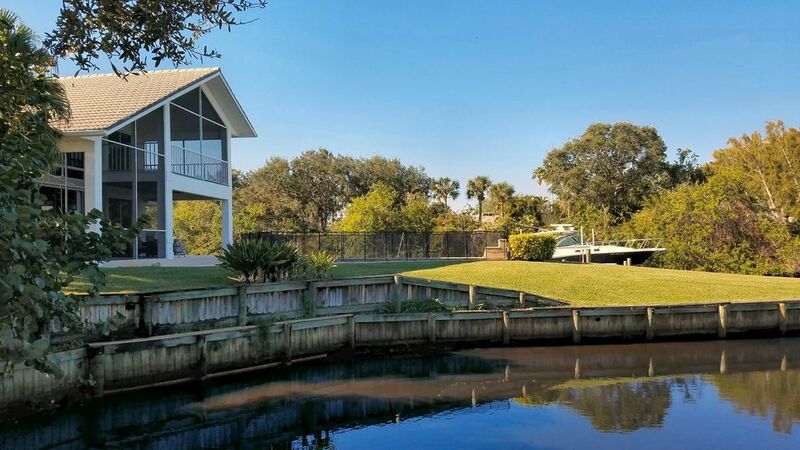 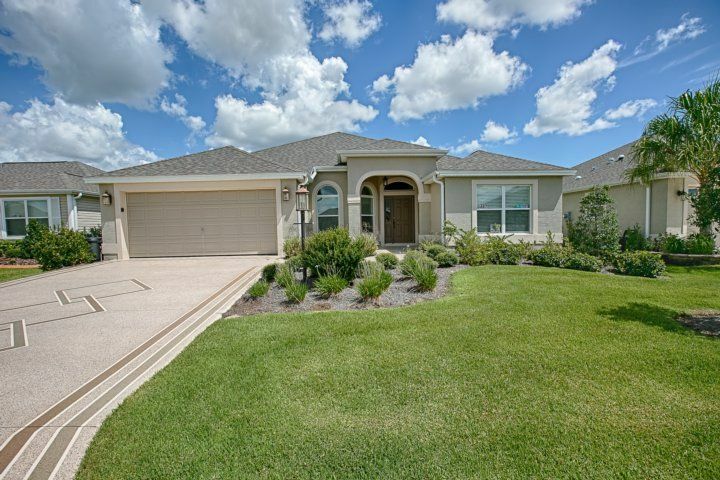 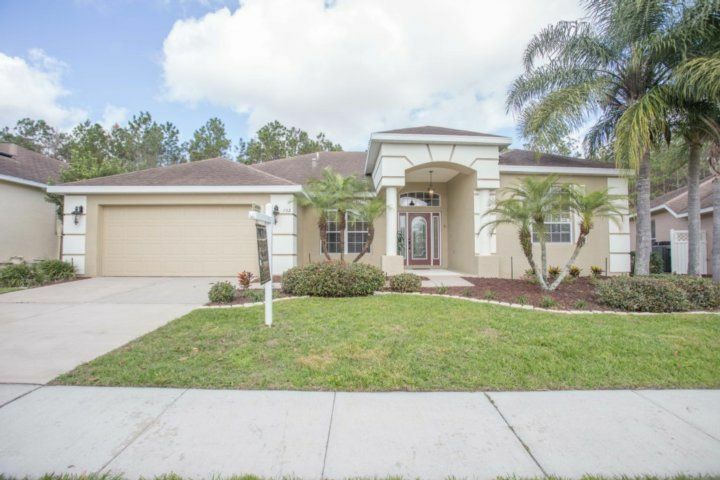 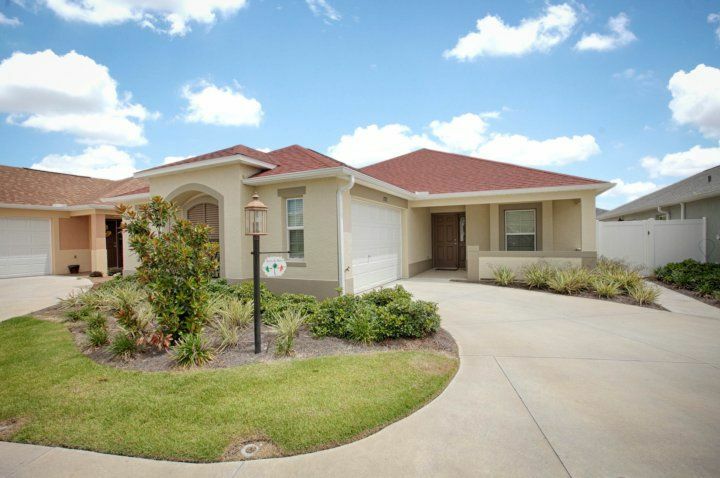 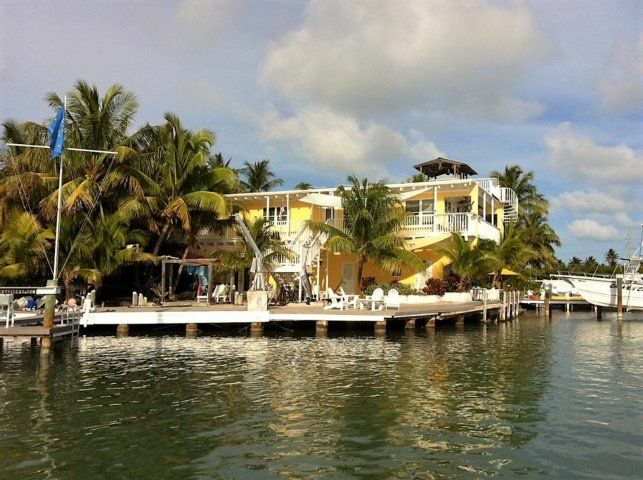 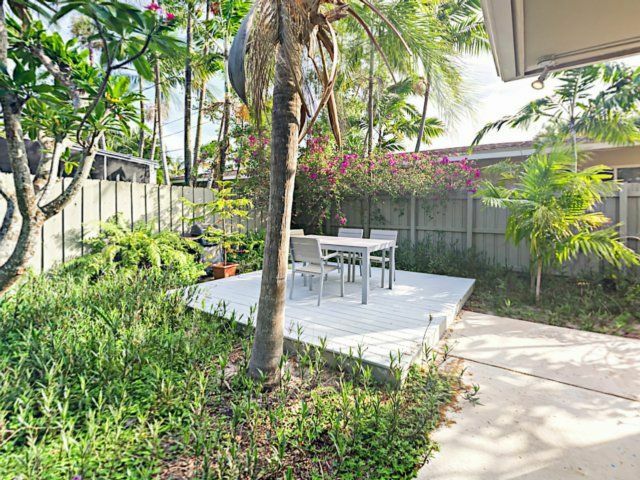 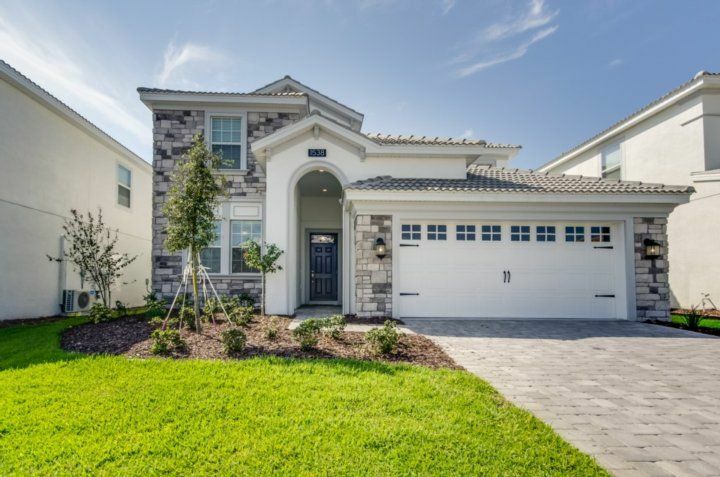 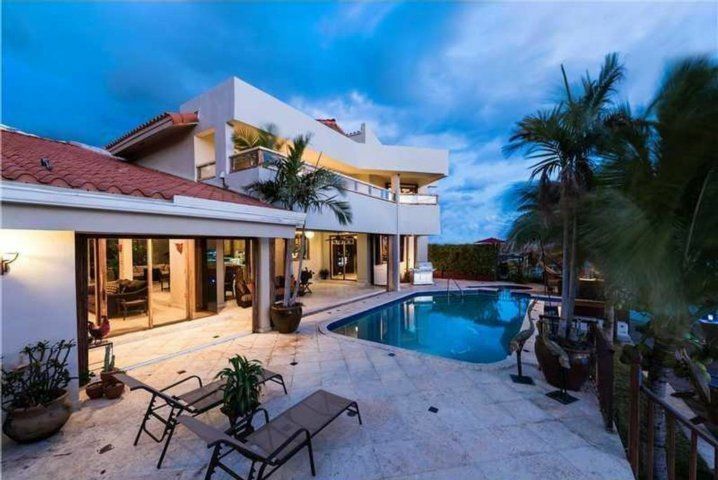 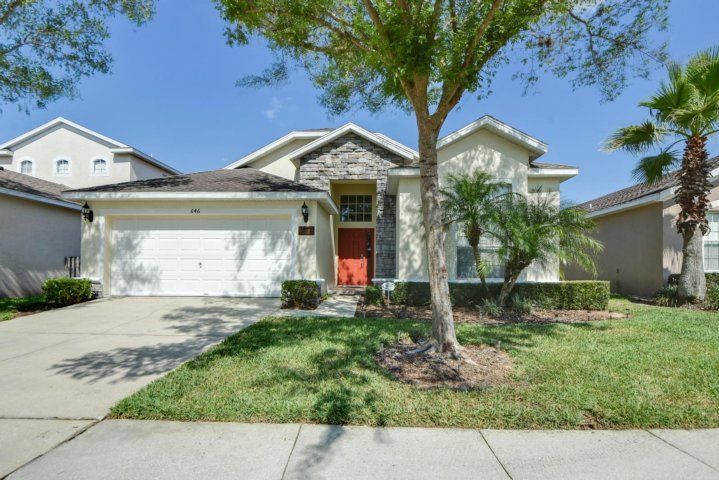 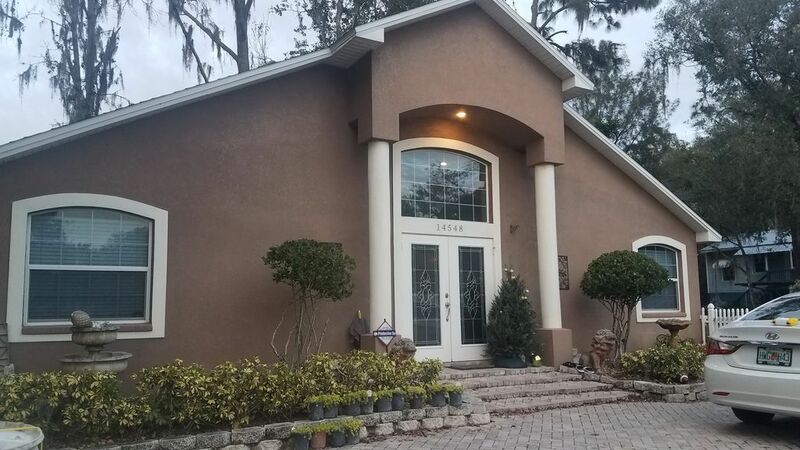 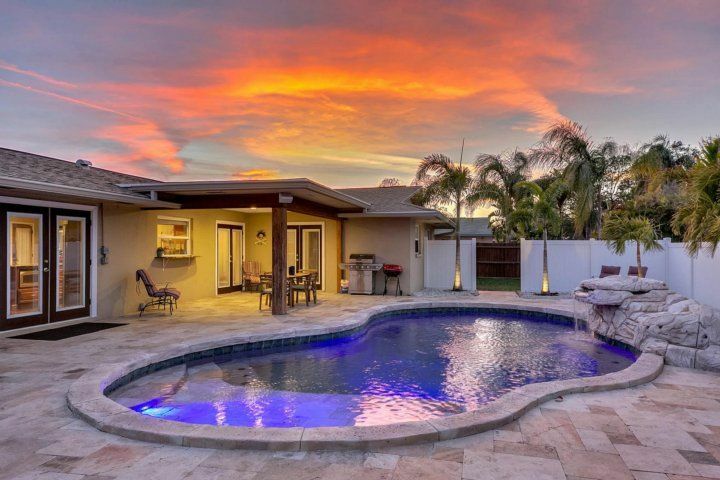 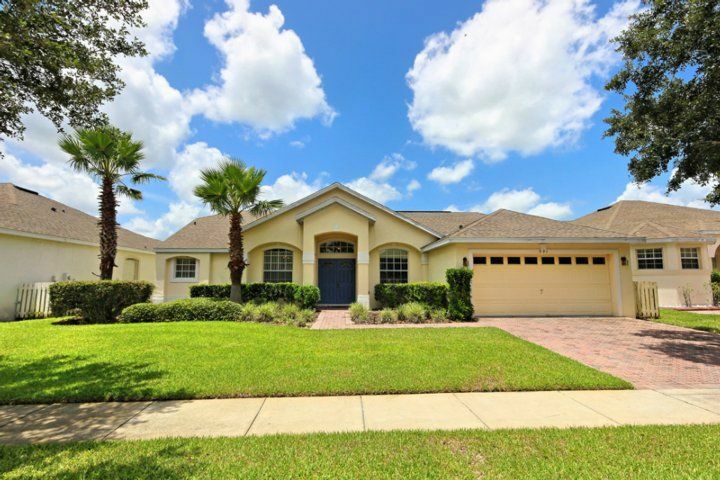 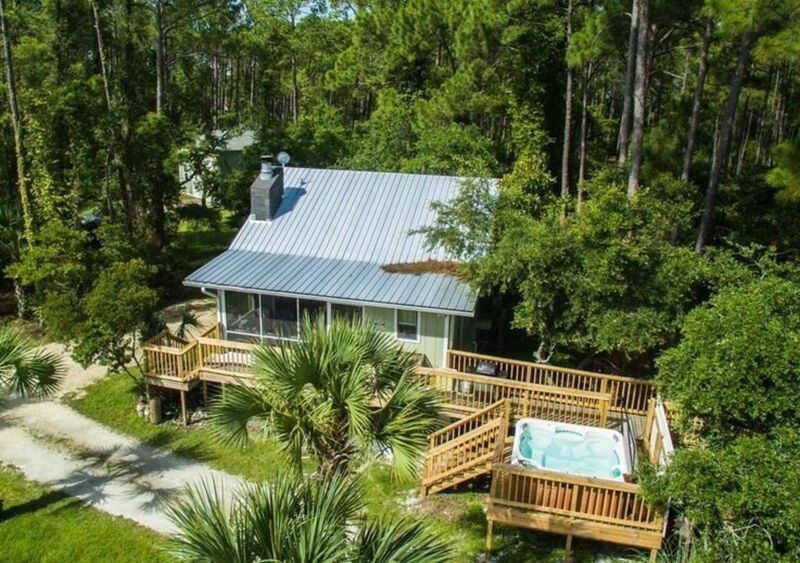 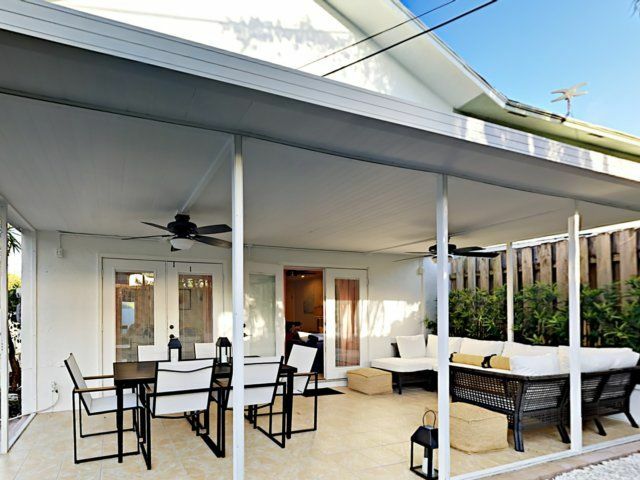 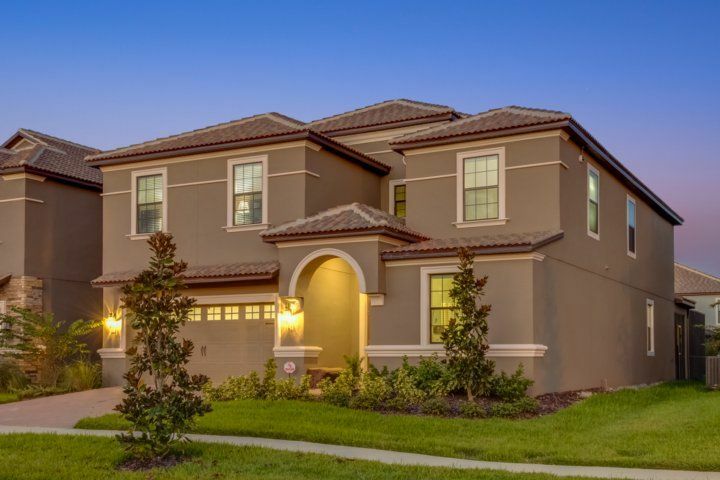 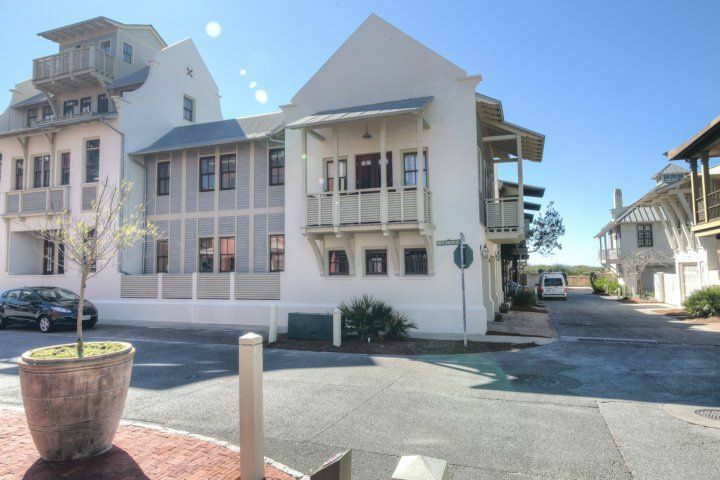 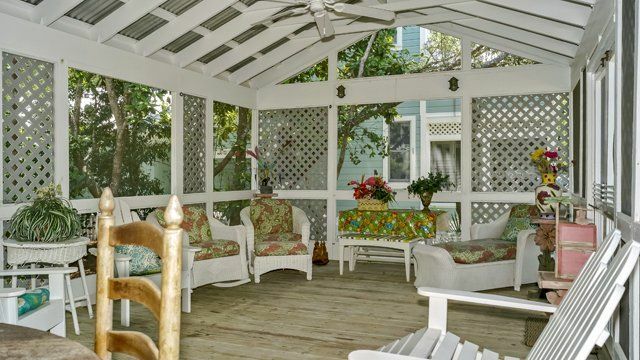 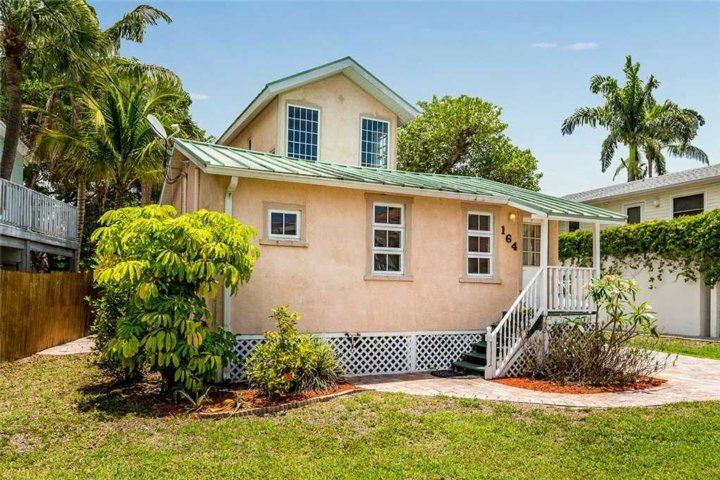 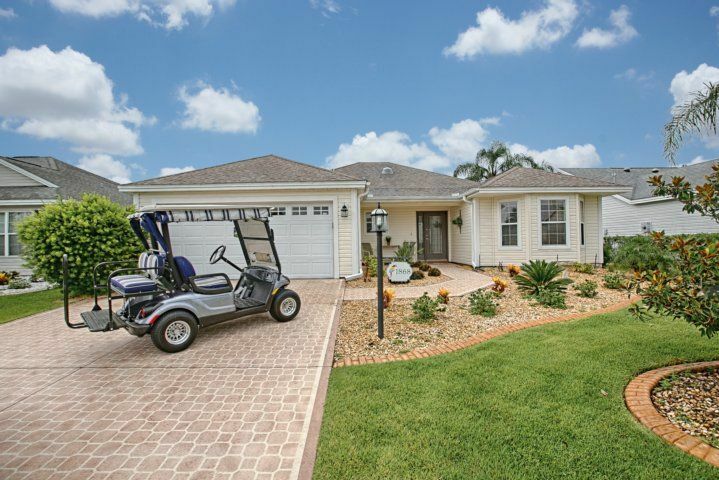 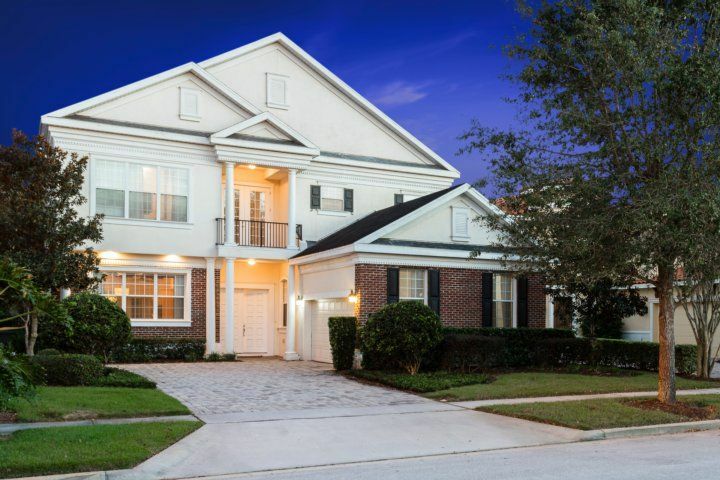 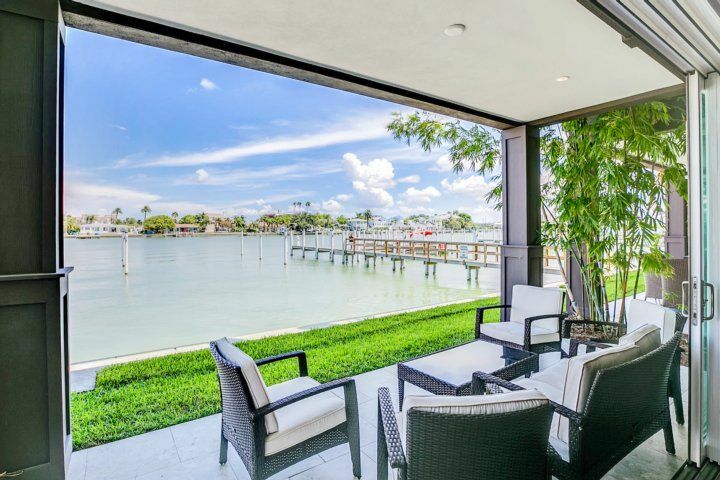 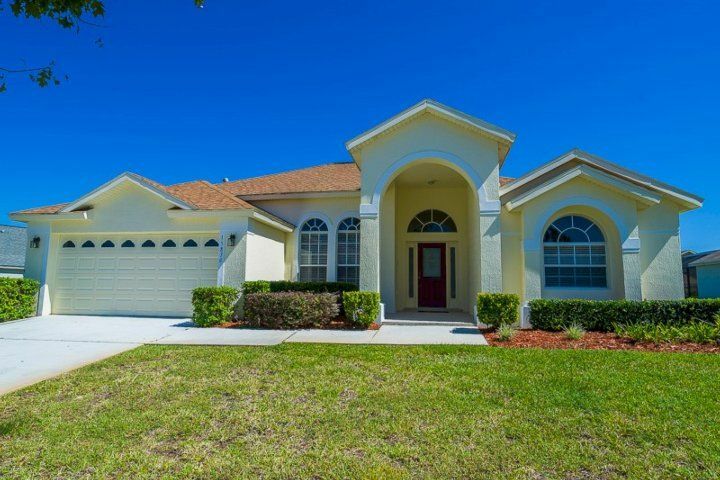 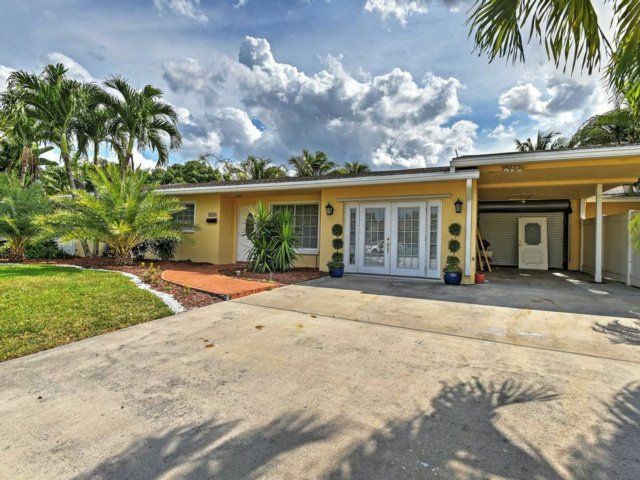 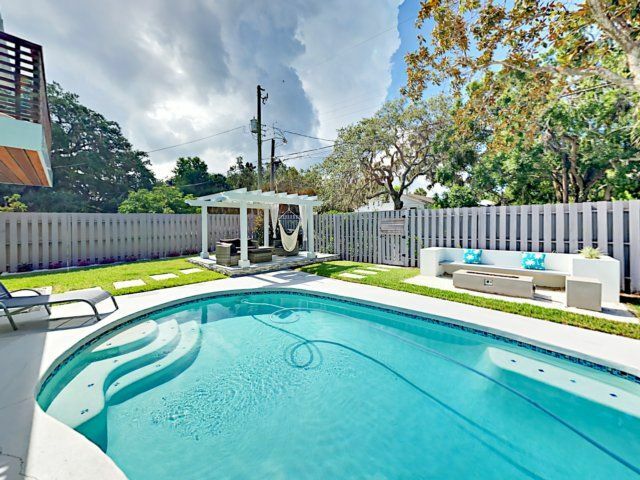 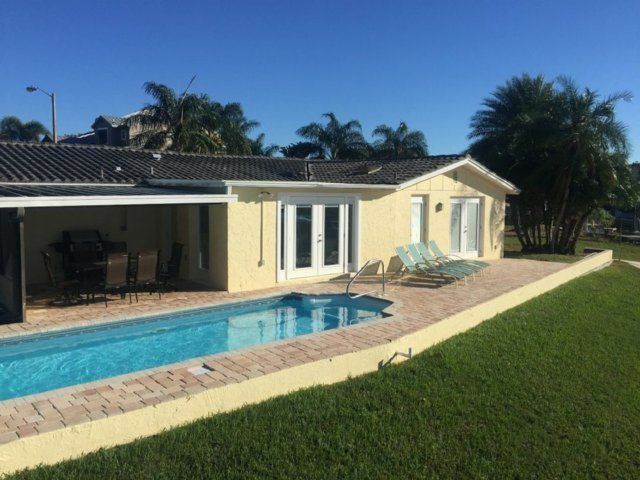 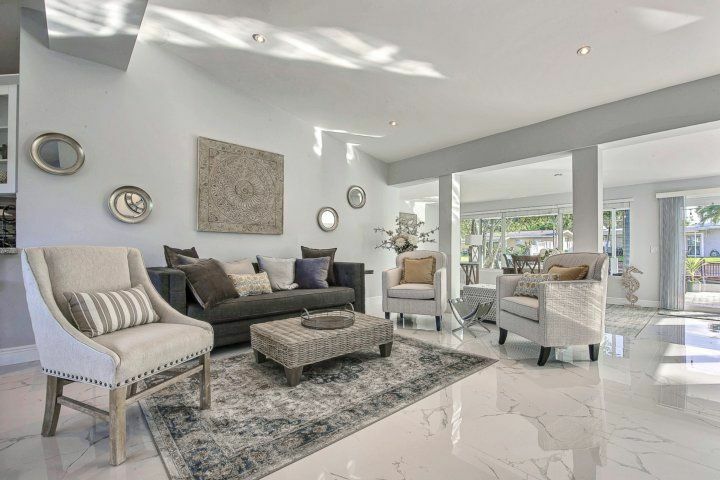 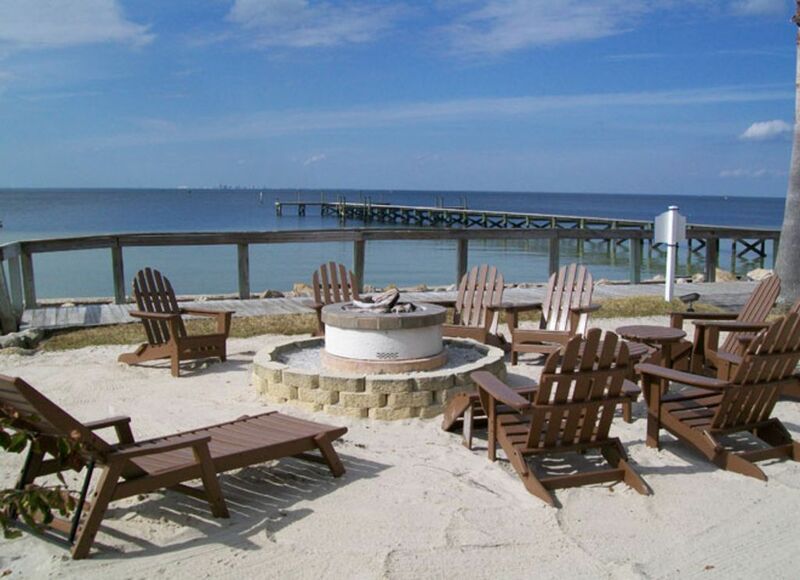 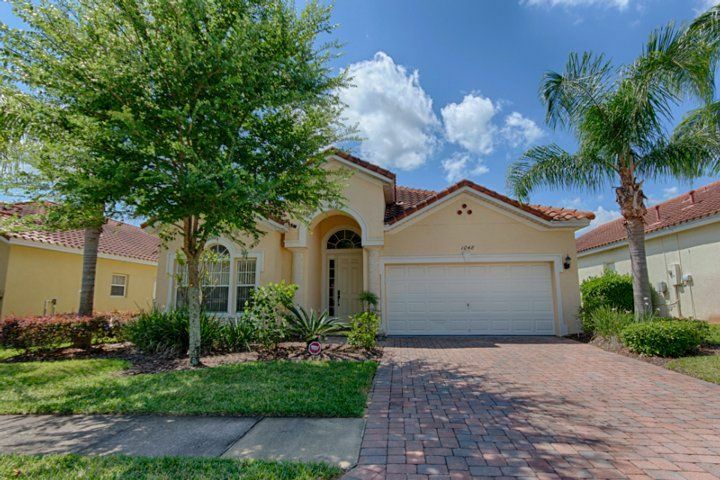 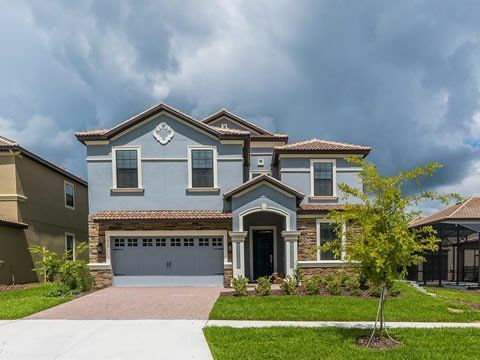 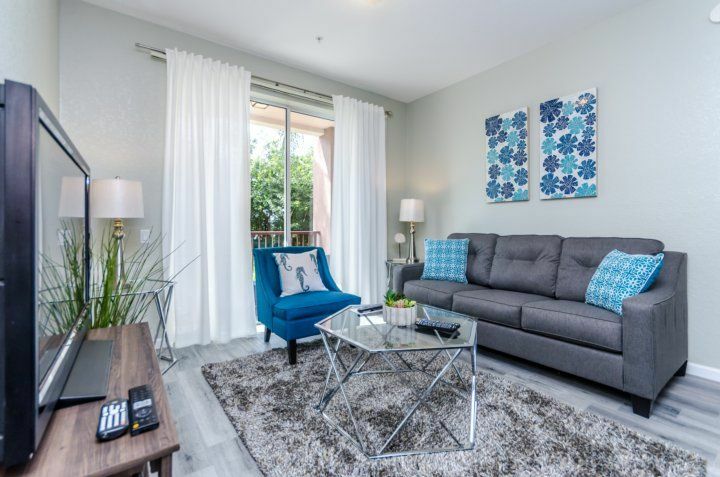 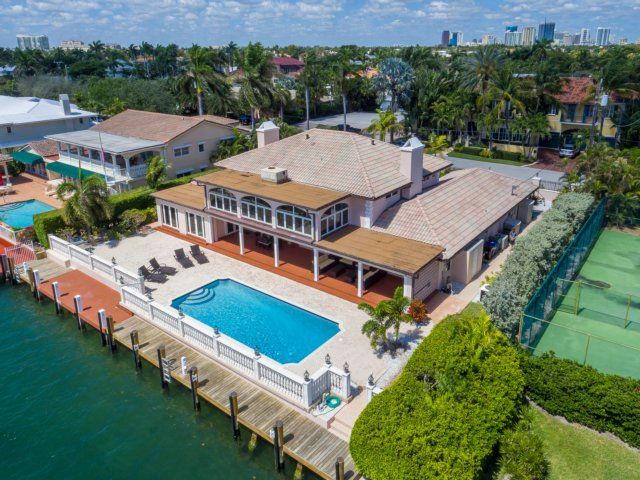 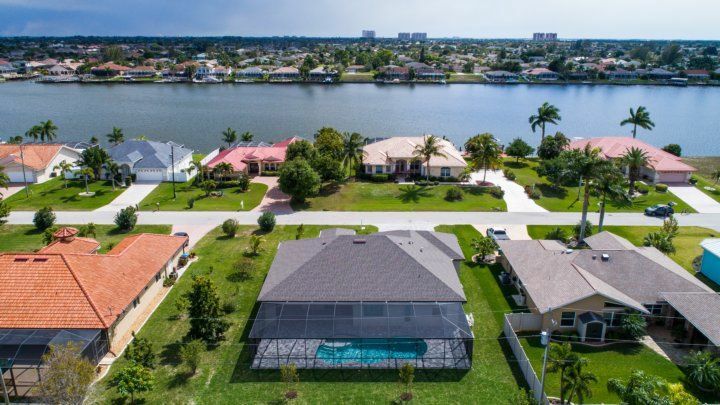 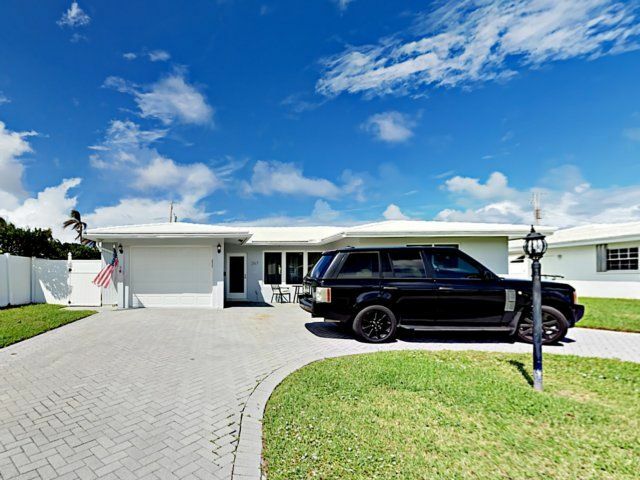 As a gulf-side property, it’s easy on the wallet while its lovely atmosphere makes it a great home to return to for relaxing evenings and memorable chats under the stars. 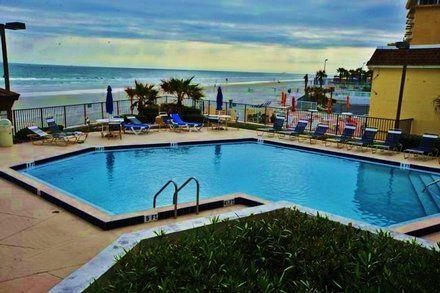 Please note, there is a 1-week minimum stay. 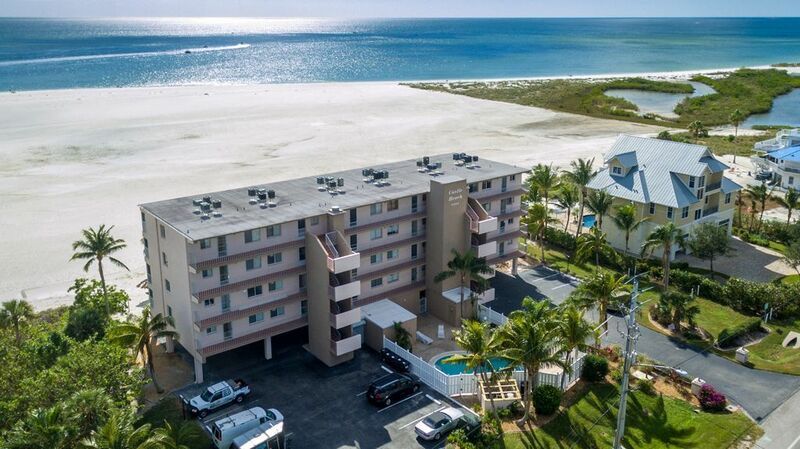 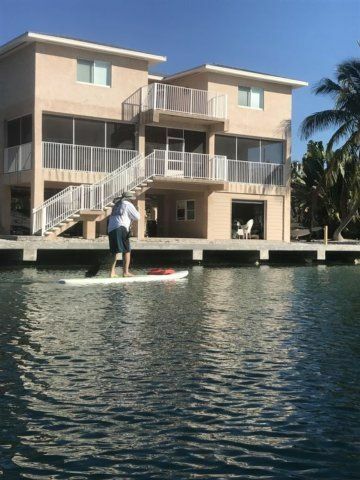 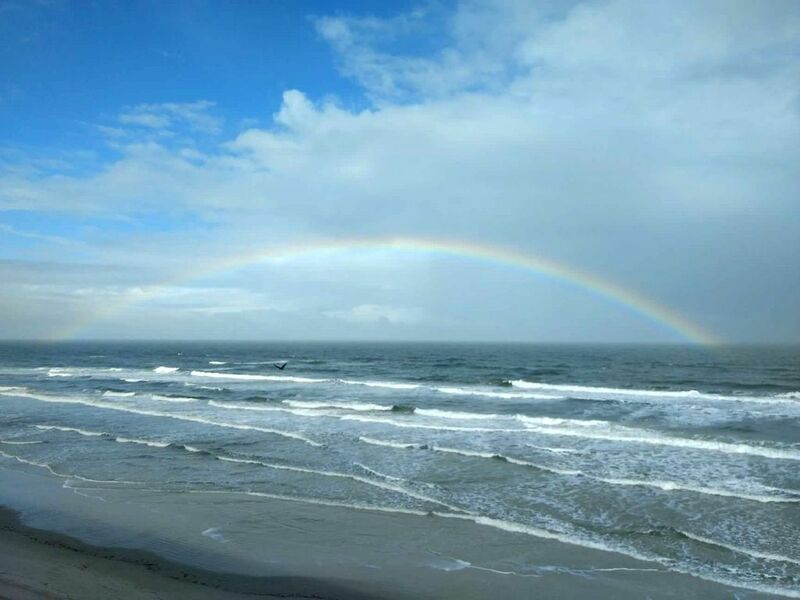 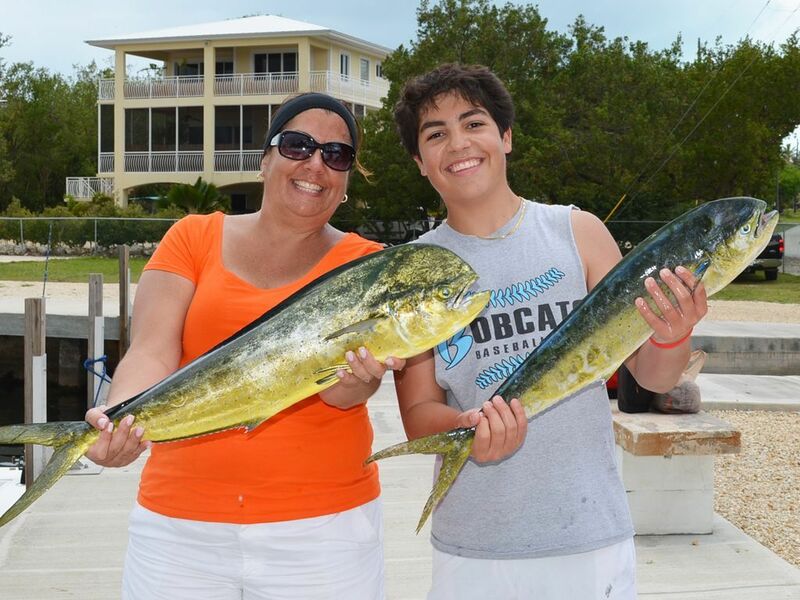 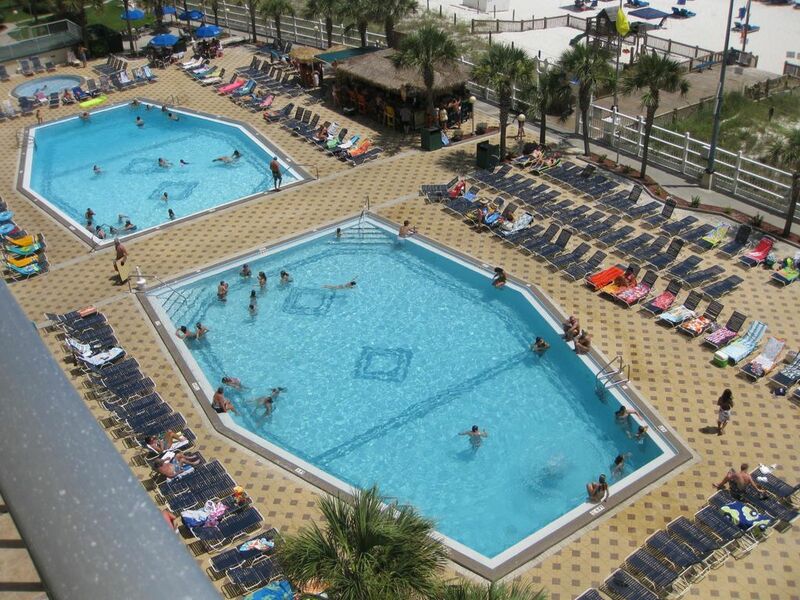 Siesta Dunes Beach is a resort packed with amenities and your days can be as action-filled as you choose. 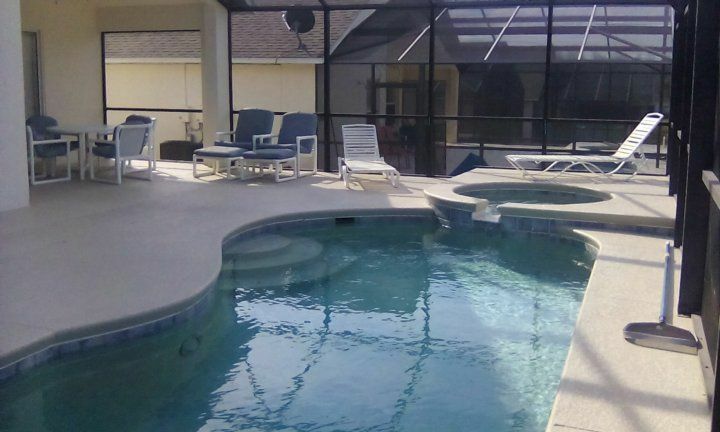 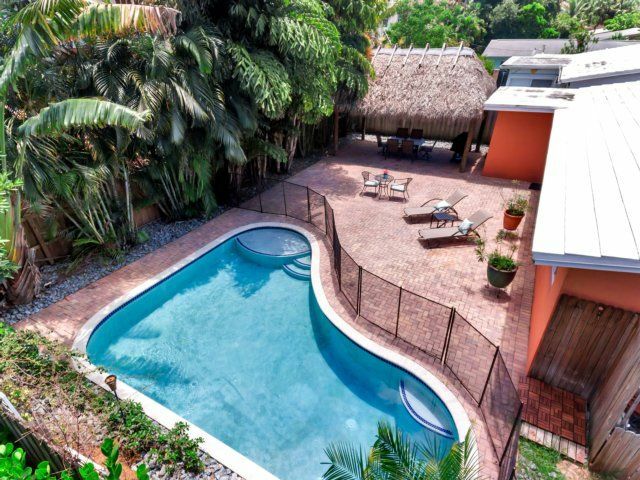 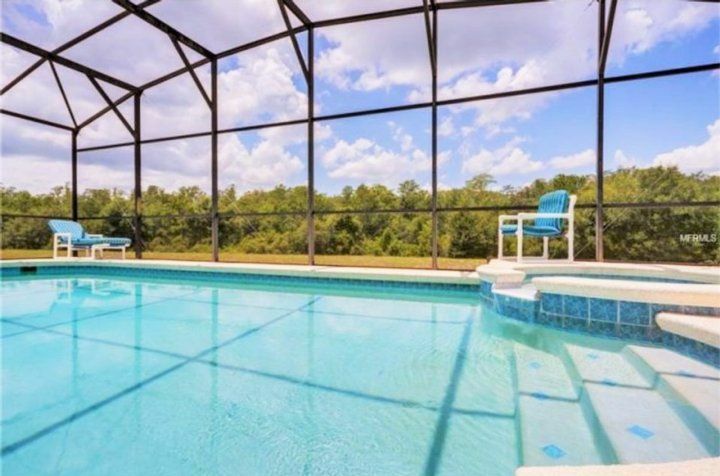 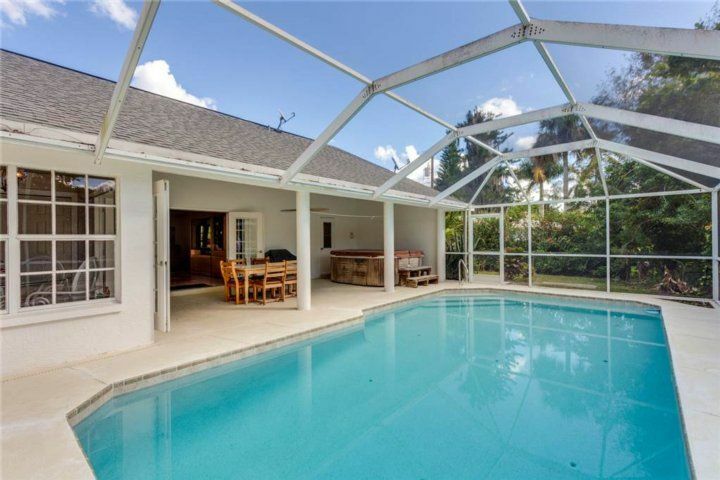 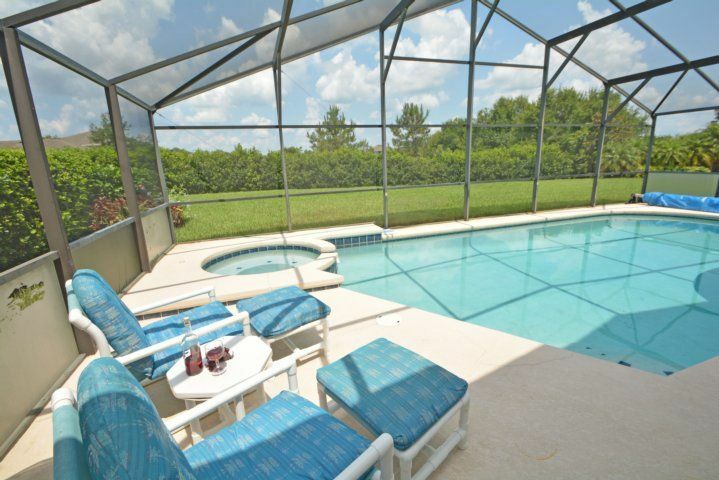 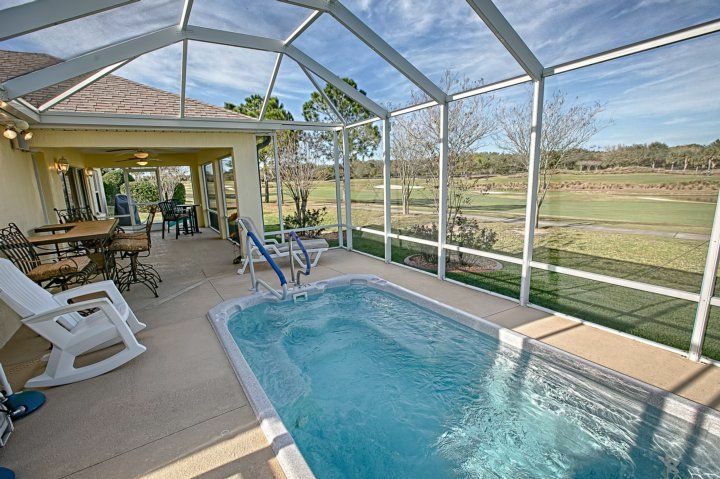 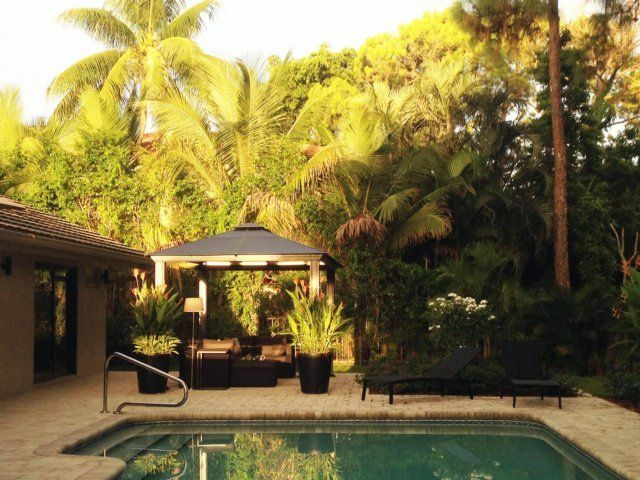 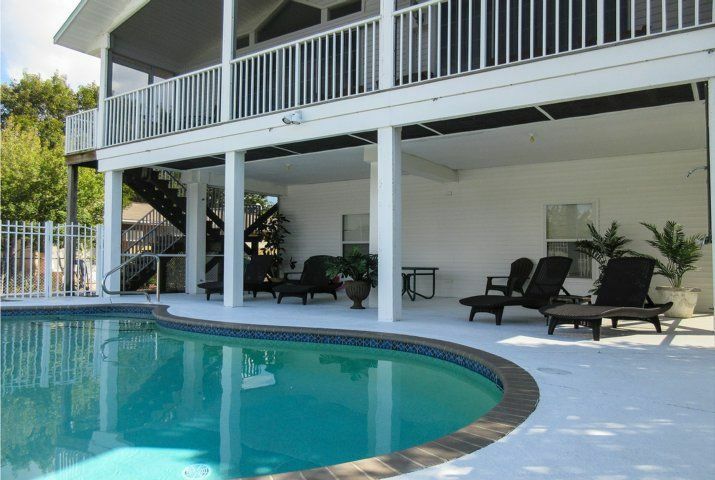 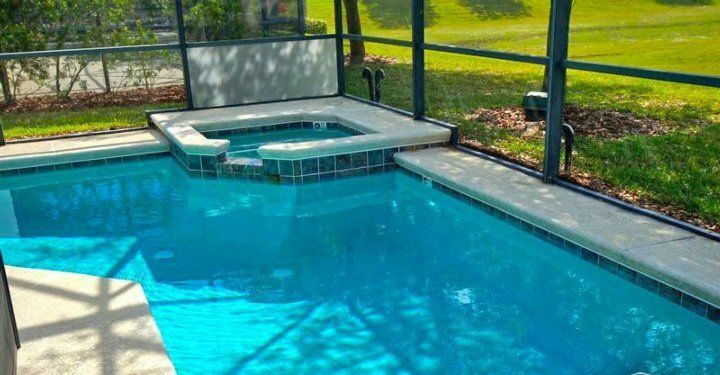 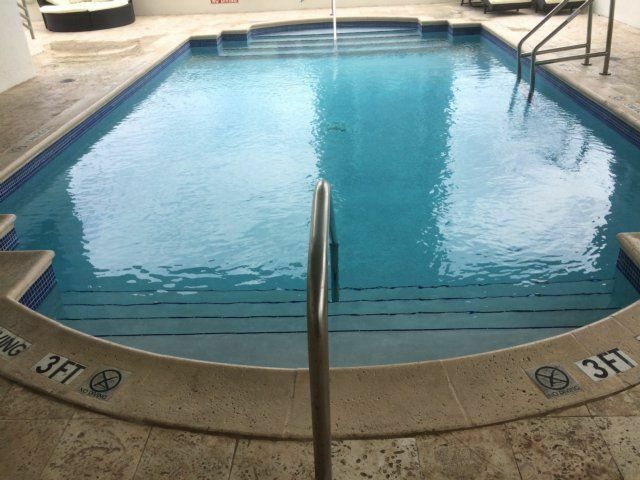 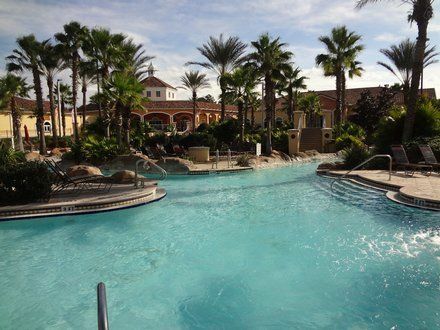 A heated pool and heated spa include the choice of a family pool or relaxing spa. 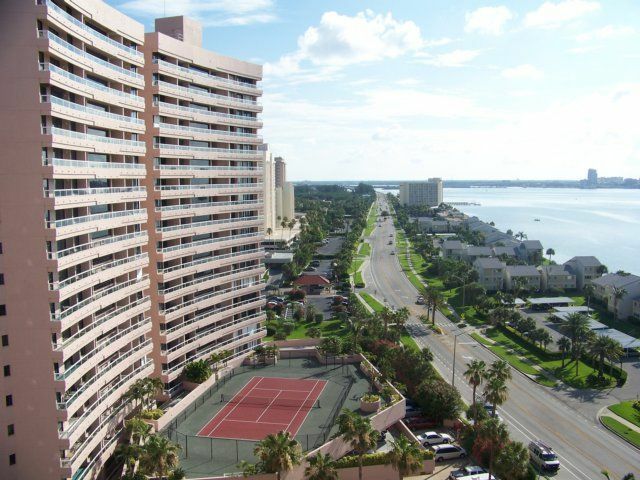 Beach-front tennis courts drop you into paradise, though you might retrieve a long shot in the sand. 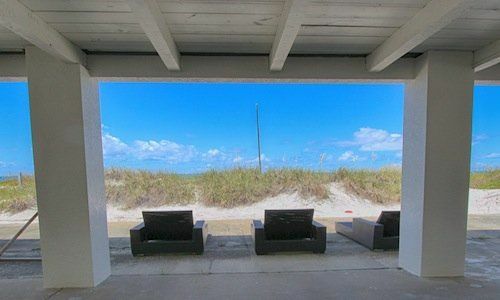 You’ve never played under blue skies like these. 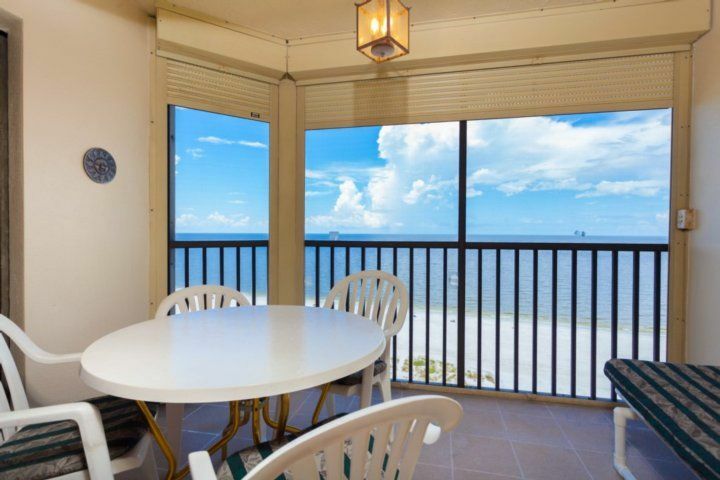 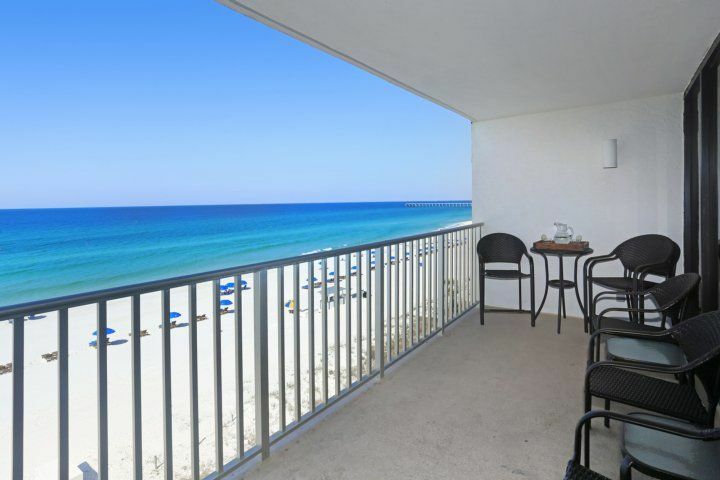 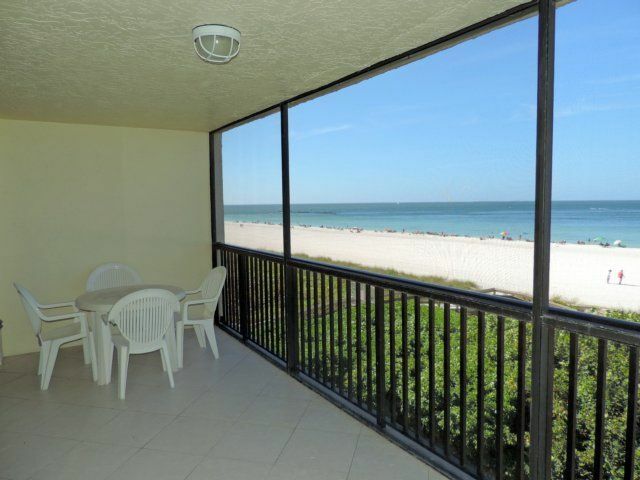 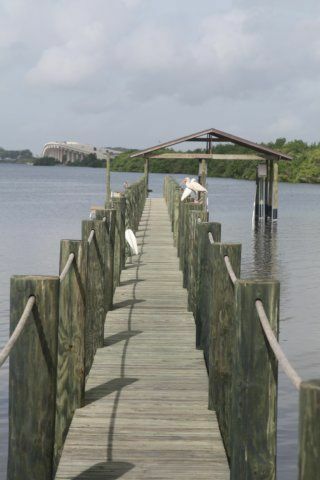 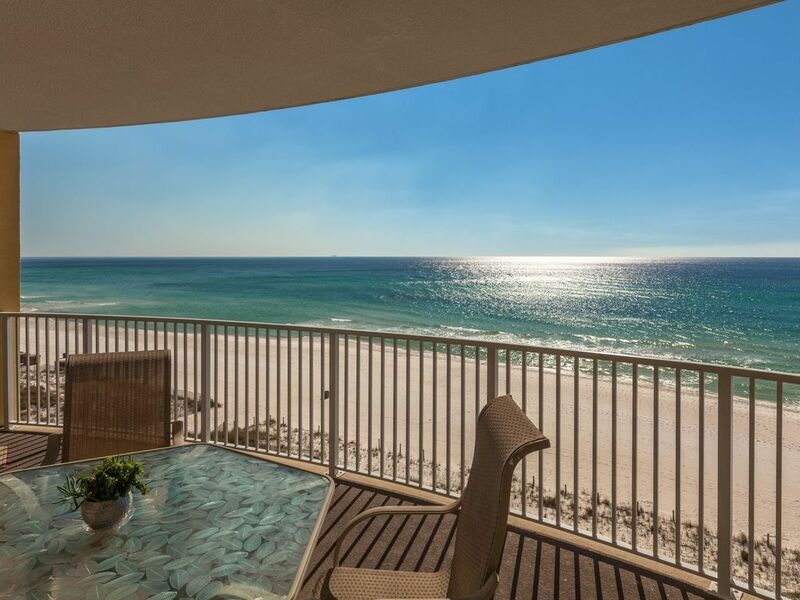 Please note: While this condo is located on the gulf side, it is neither gulf-front nor does it have a gulf view. 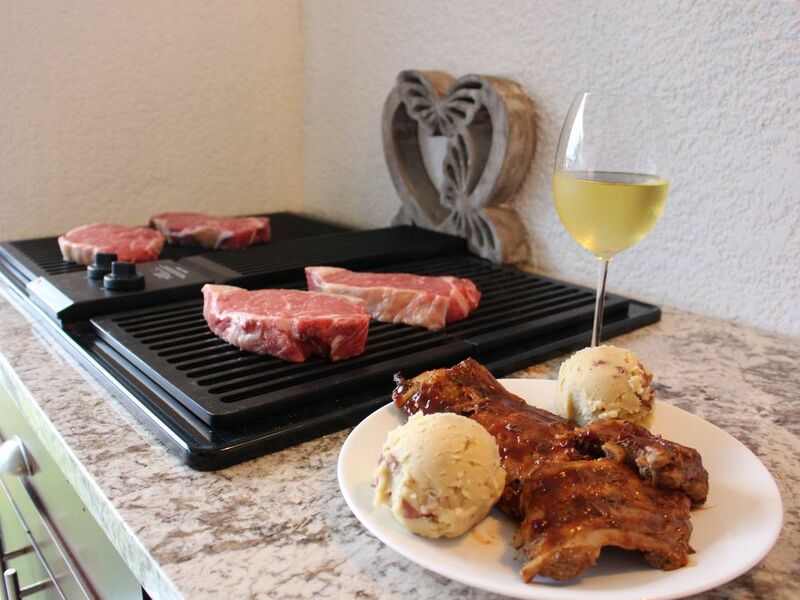 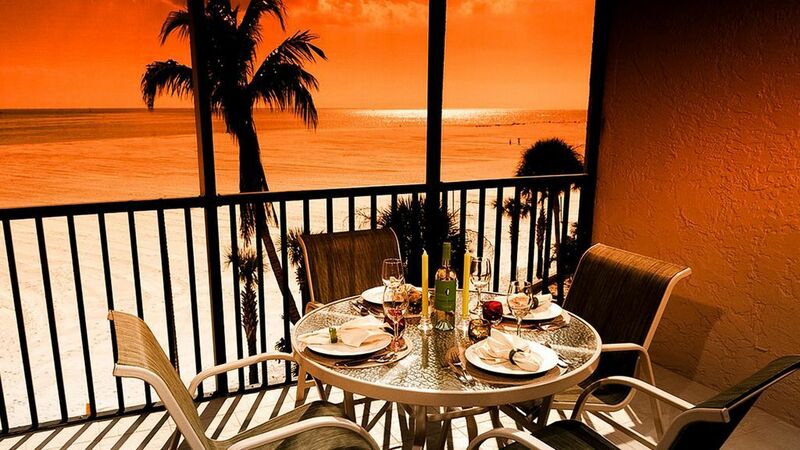 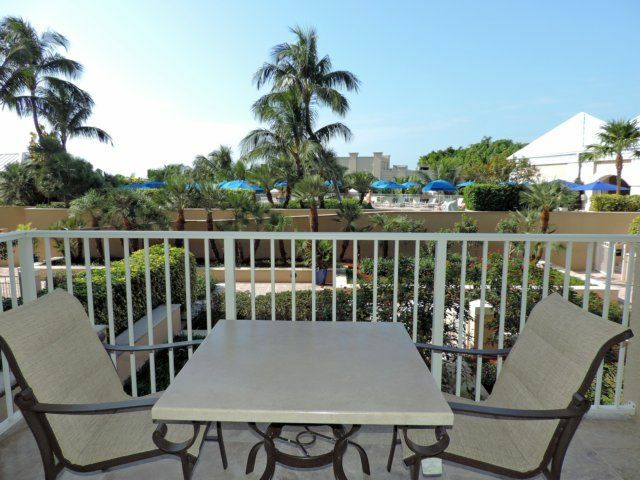 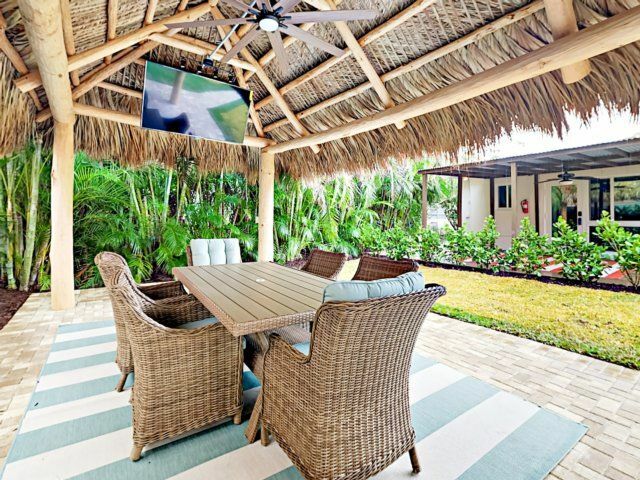 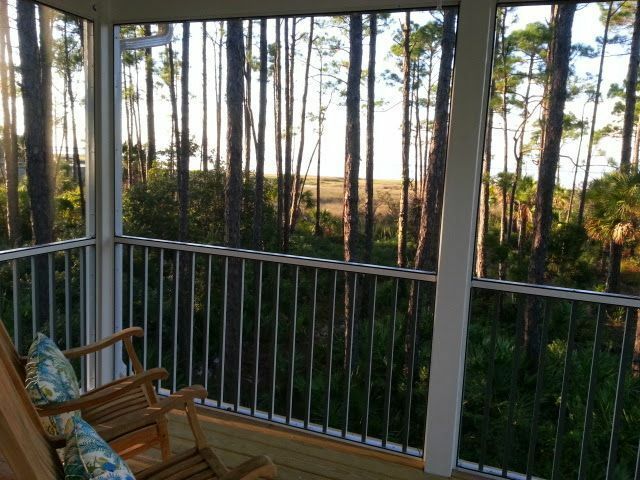 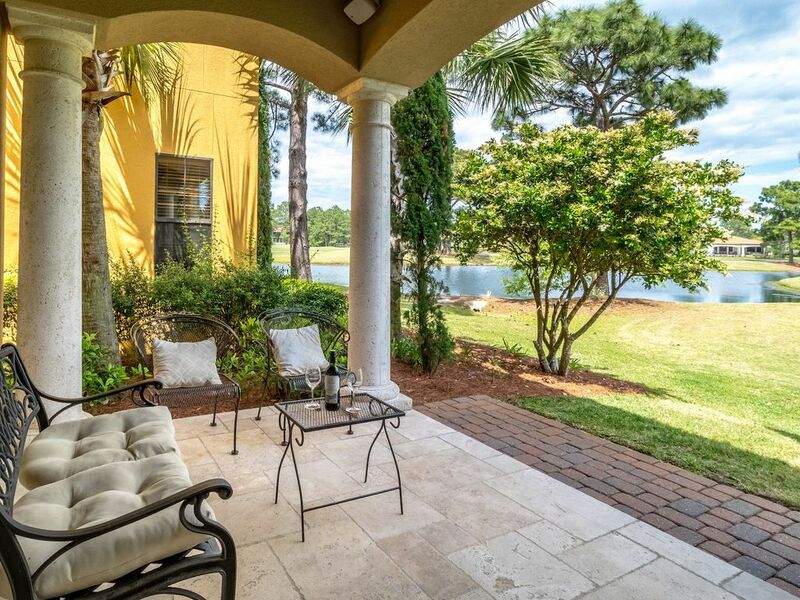 Meals outside are the best part of any vacation - and your time at Siesta Dunes is no exception. 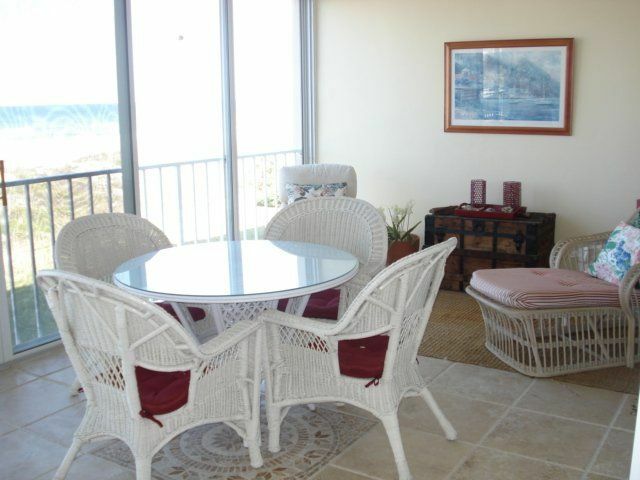 Fantastic spaces for beach barbecues are provided, as are casual picnic areas on the beach side deck. 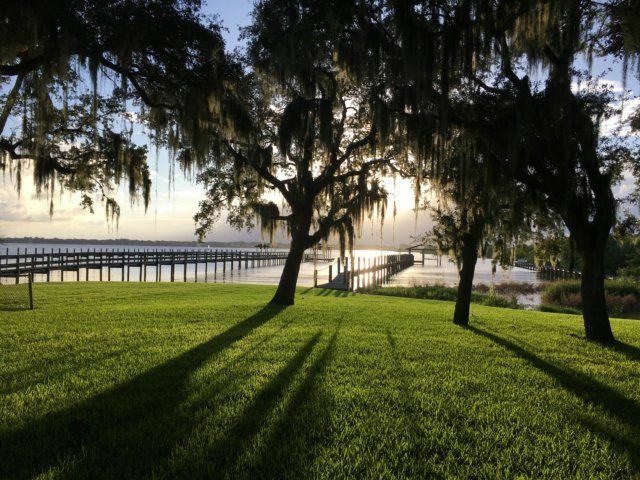 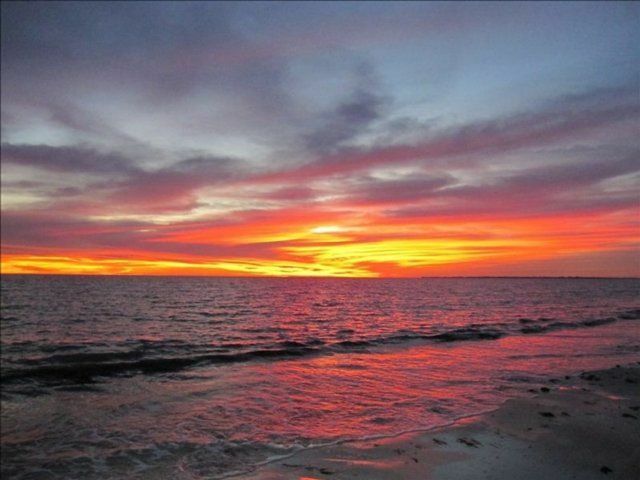 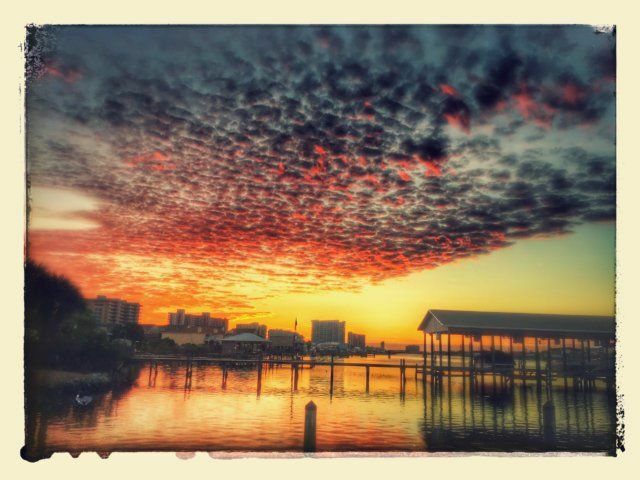 They’re absolutely ideal for the gulf coast’s sunsets! 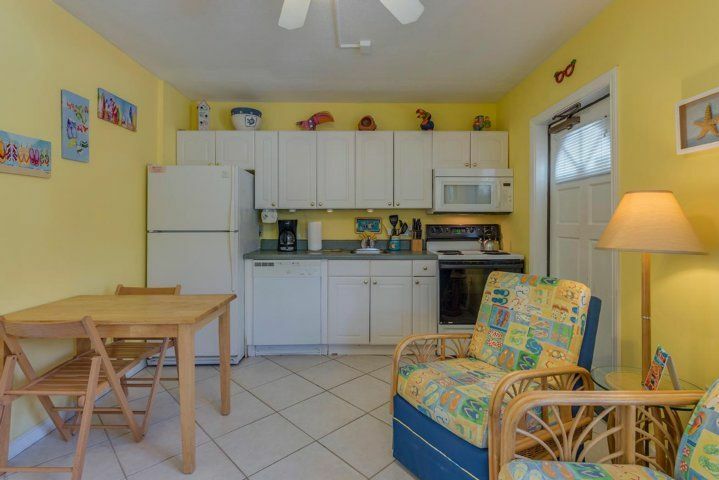 If you fancy something more impromptu, prepare a picnic-to-go from the comfort of your condo’s full kitchen and trot barefoot down the beach, finding somewhere to spread out and call your own. 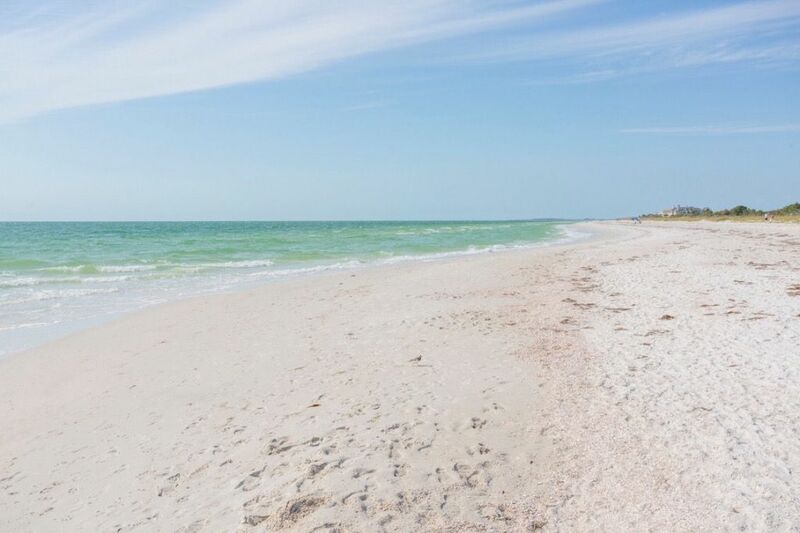 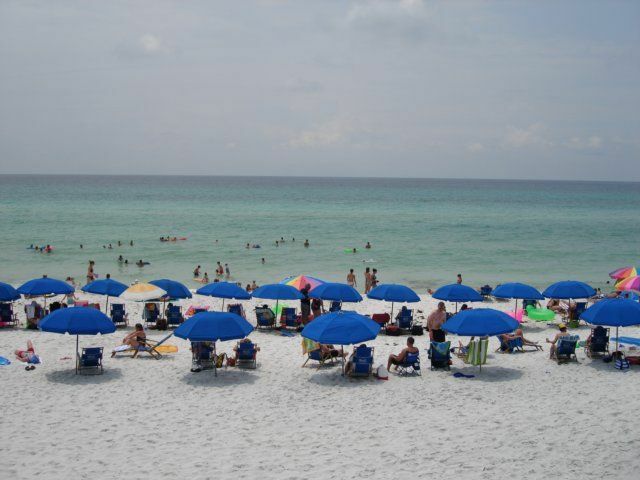 The beach’s pure quartz sand is as soft as it gets - which family member will you ‘bury’ second? 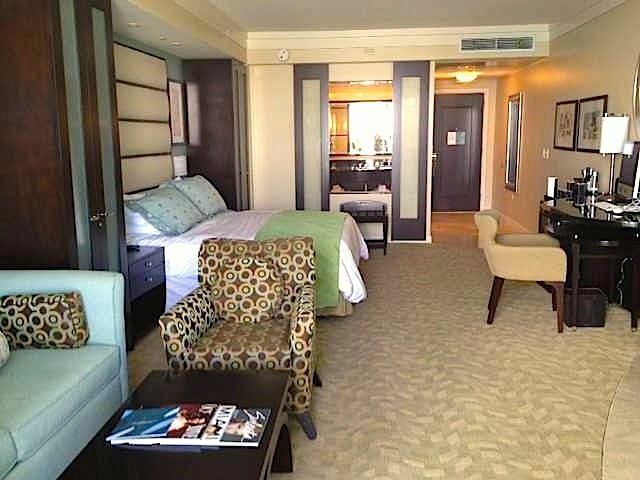 The condo sleeps six guests in its two bedrooms; a master bedroom (with a queen bed and a queen sofa bed) and guest bedroom (2 twin beds). 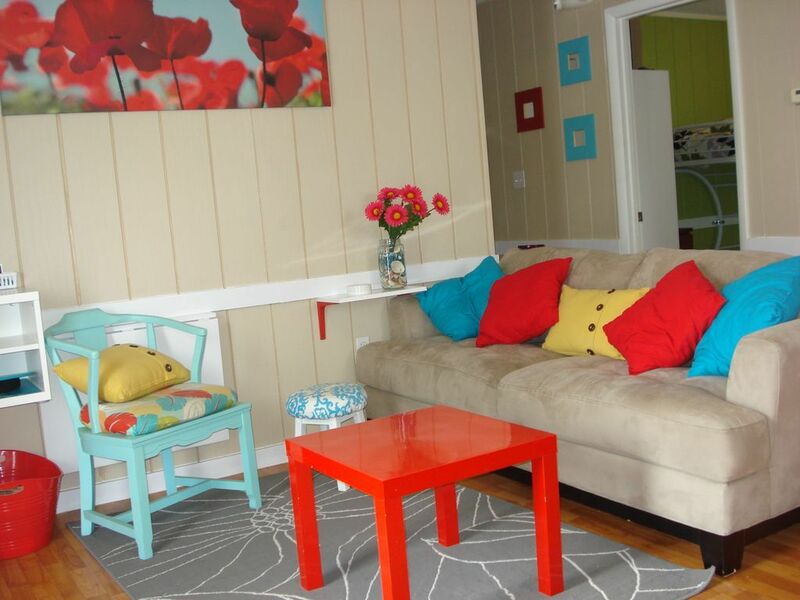 Families traveling with children will find this the perfect arrangement. 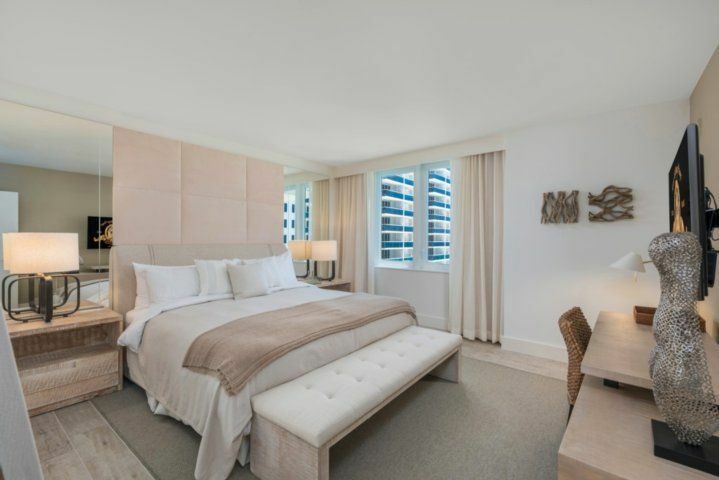 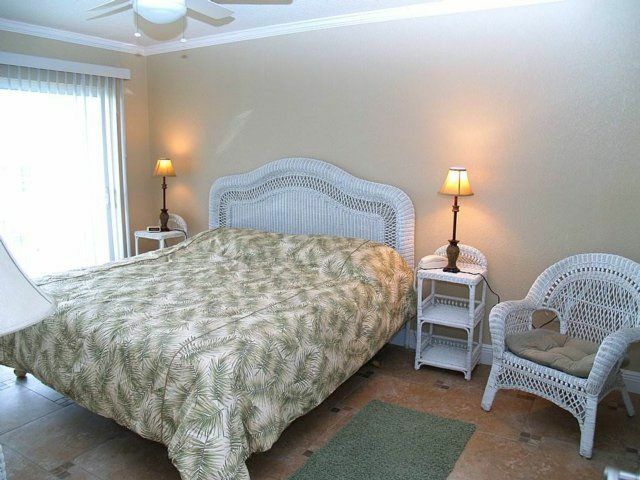 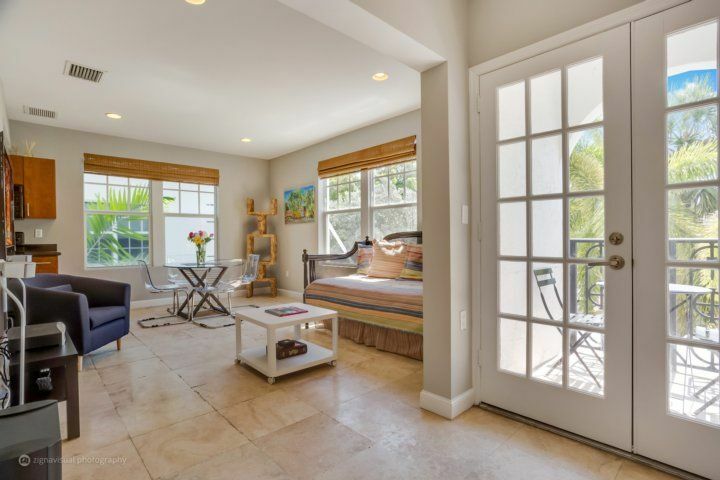 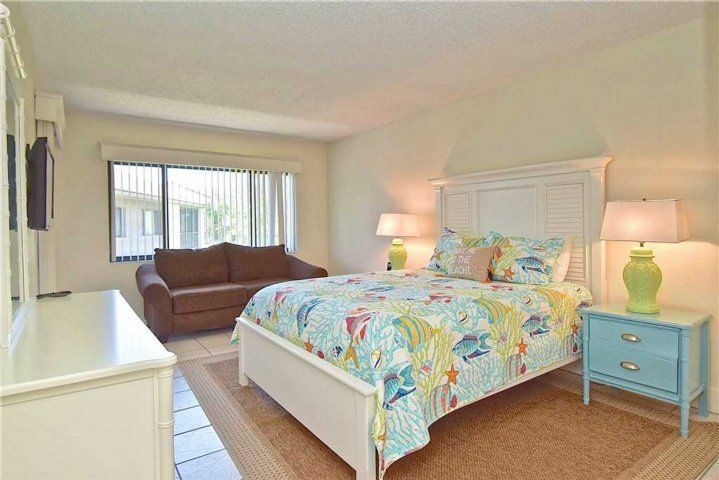 Your master suite is a bright and cheerful room, made all the more so... thanks to private access to your serene lanai. 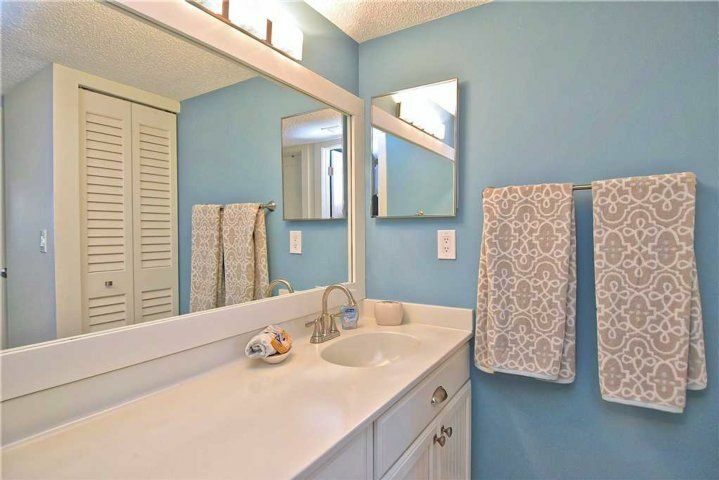 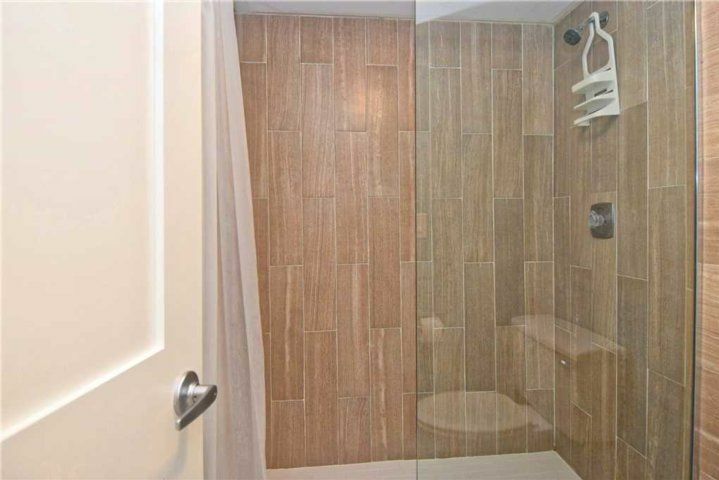 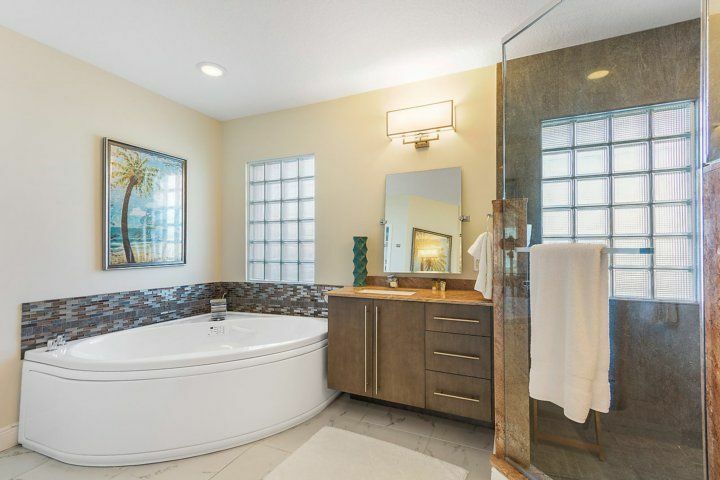 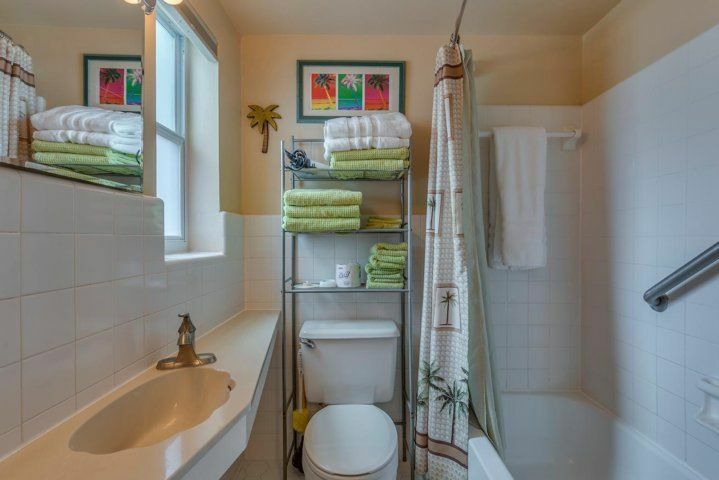 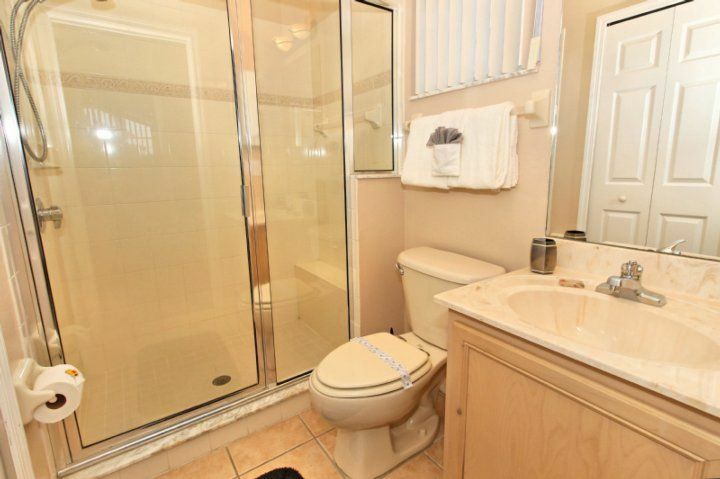 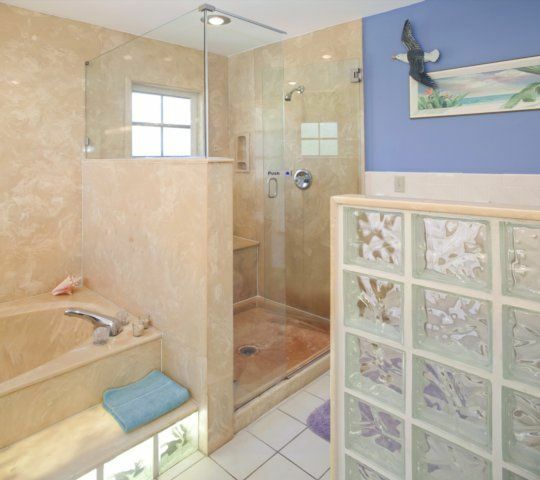 Your suite’s bathroom has enormous counter space as well as a large updated shower. 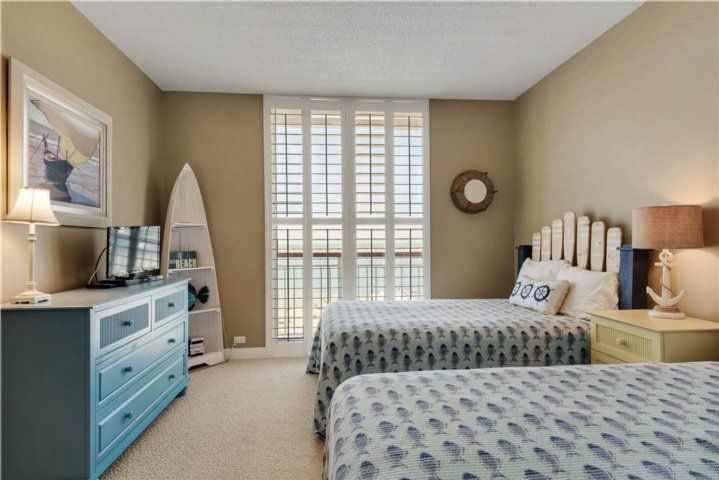 Bright stripes in the guest bedroom make a feature of the unit’s gulf location. 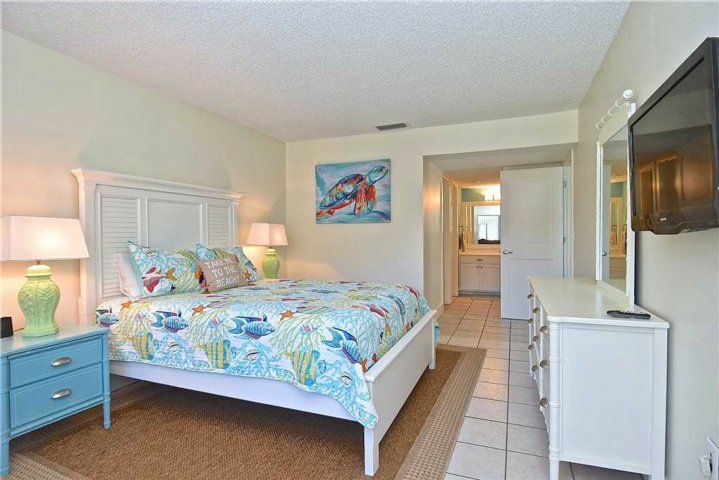 Seaside prints and great storage complete a comfortable room. 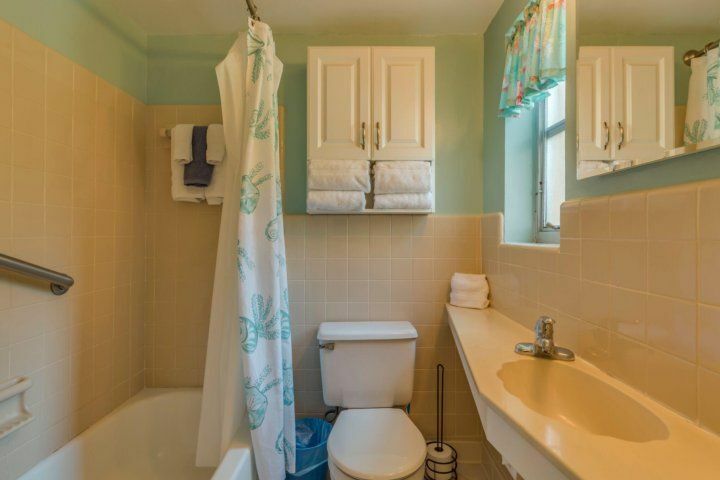 Guests have use of the unit’s second bathroom, which has a full bathtub and shower. 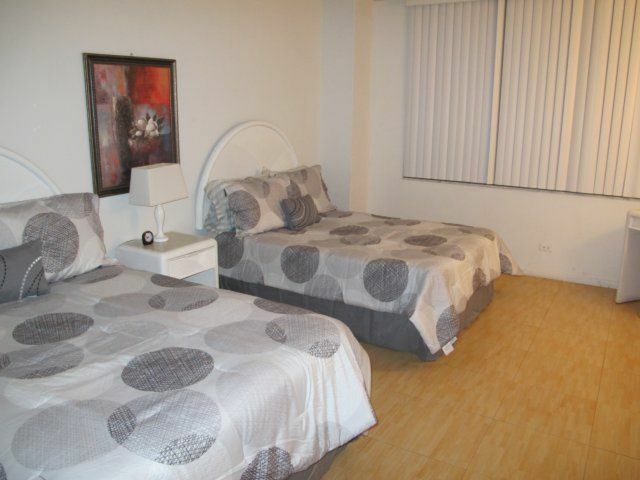 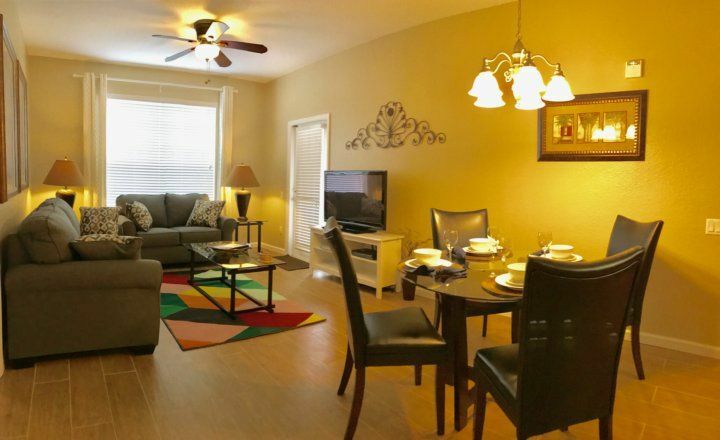 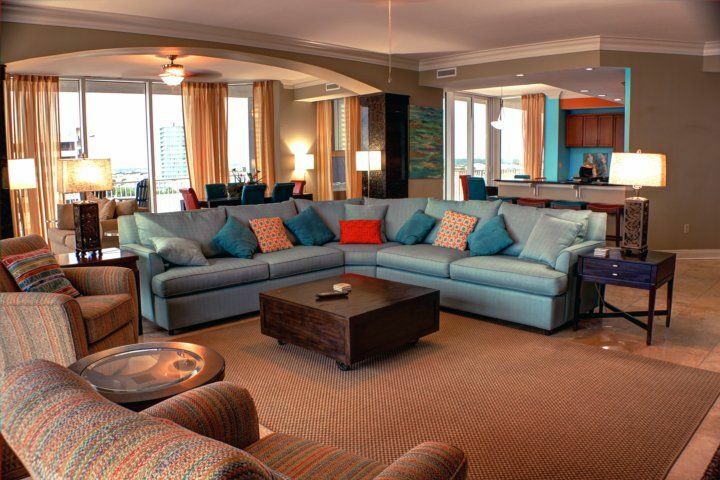 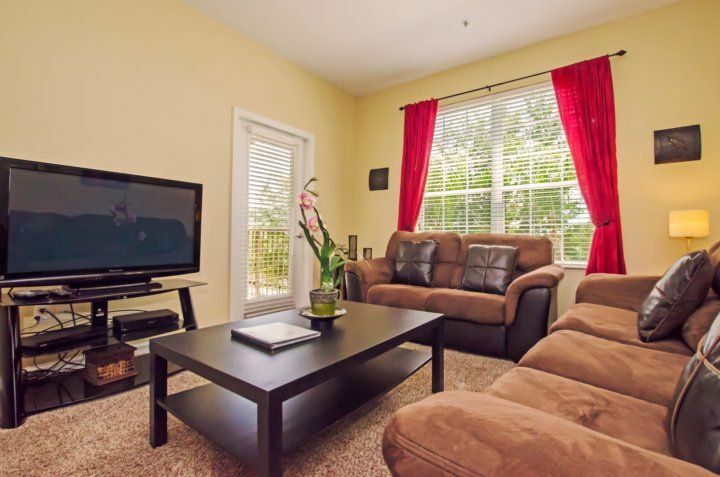 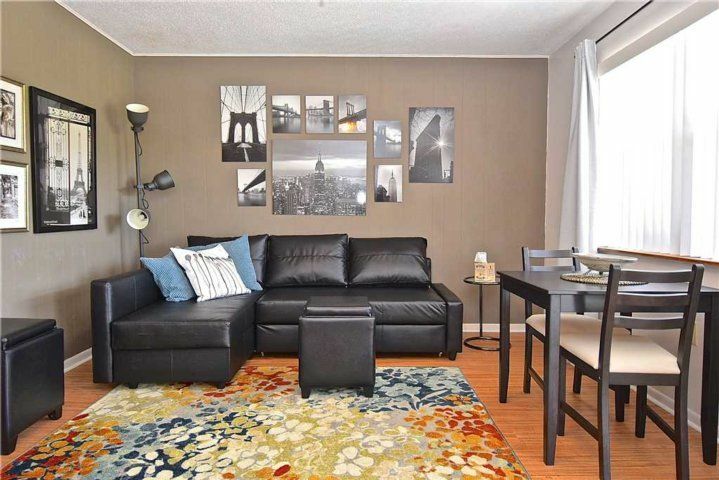 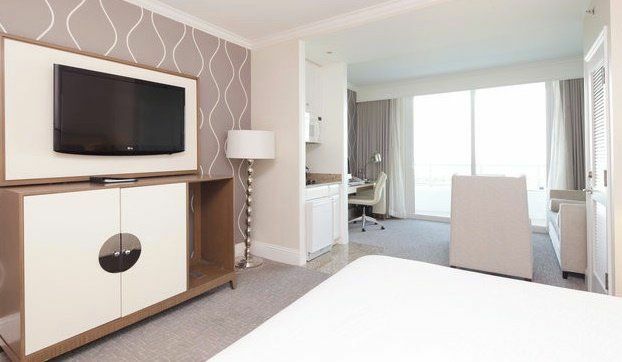 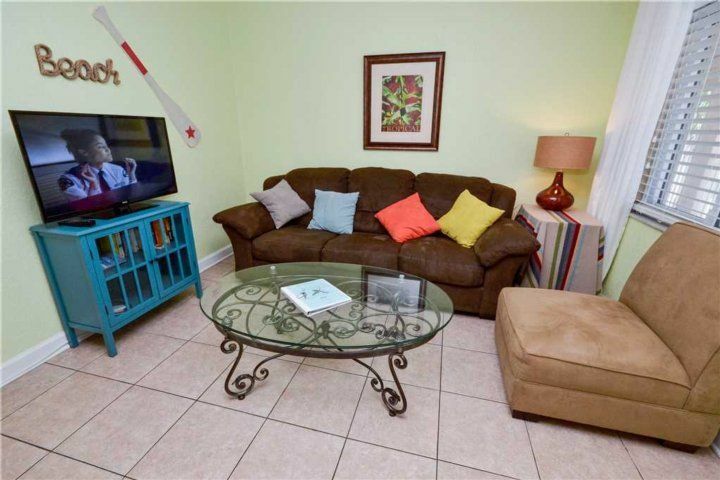 A TV, DVD player, Internet access and even in-suite laundry are all provided for your comfort and convenience. 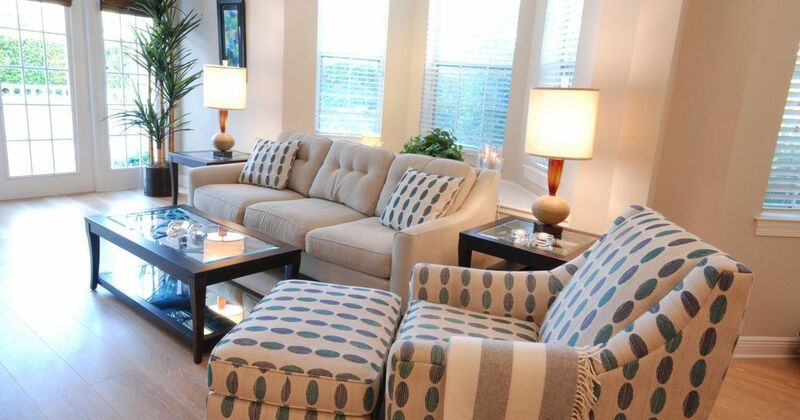 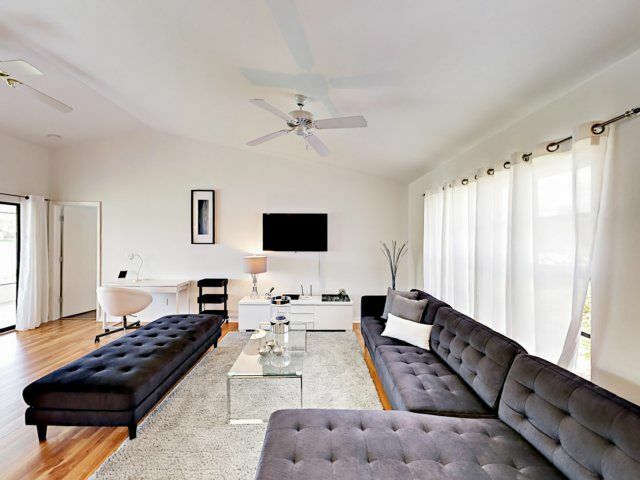 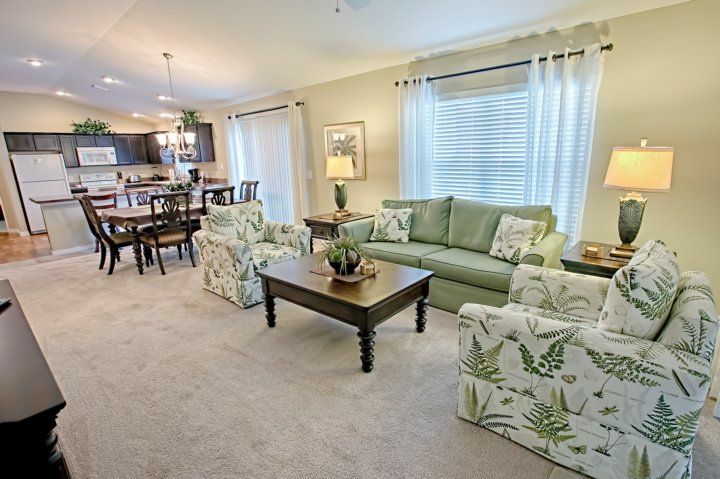 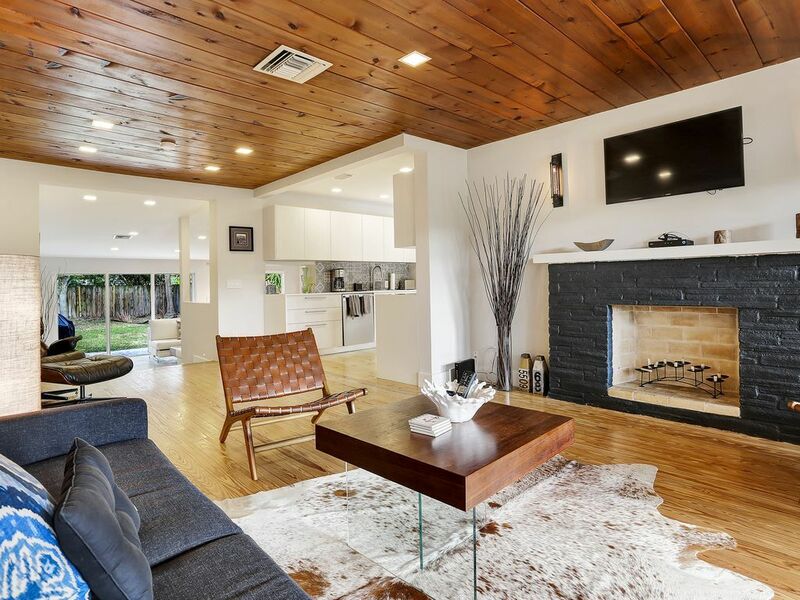 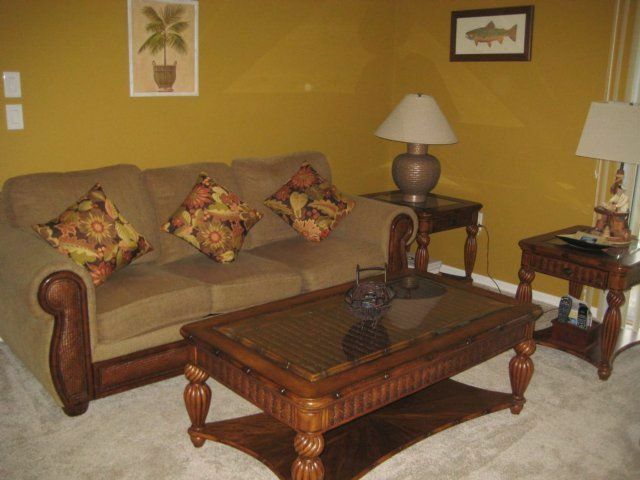 A lovely living area is furnished like a real home - for a look that’s complete and inviting. 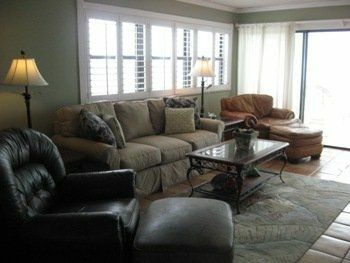 Two large sofas and a stuffed arm chair ring a tasteful area rug - with coffee and side tables for stashing things like cameras, cell phones and your latest book. 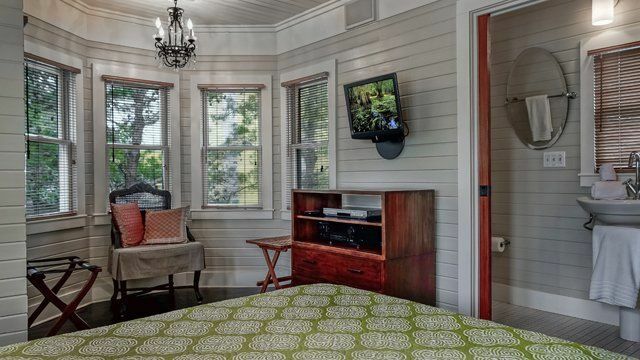 Lamps and overhead lighting make it an ideal room for reading - although your entertainment unit with TV and DVD player might prefer otherwise. 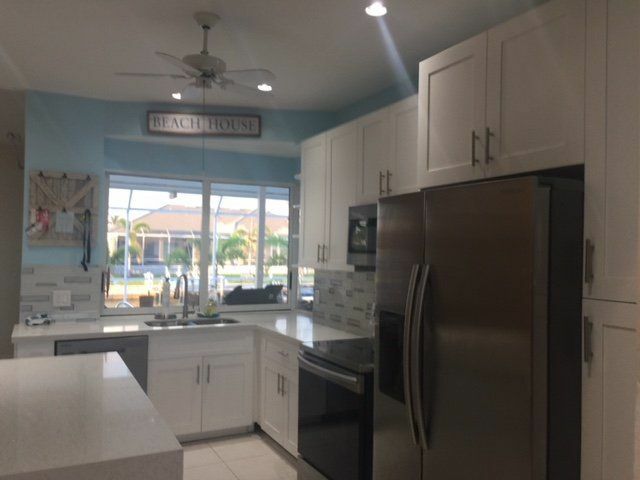 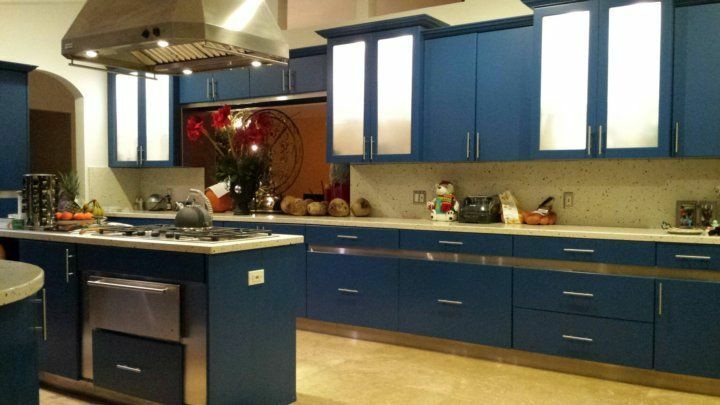 In the kitchen, hidden neatly behind brand new cabinets, are all you need in a fully equipped cooking space: all appliances, cookware, a blender, coffee maker and a toaster, too. 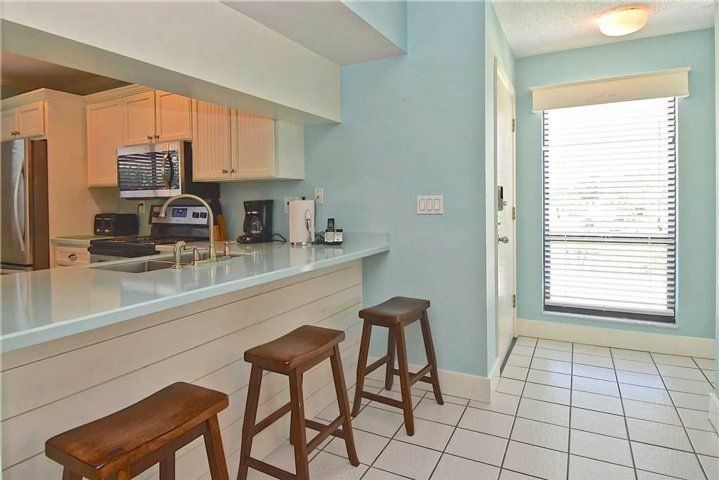 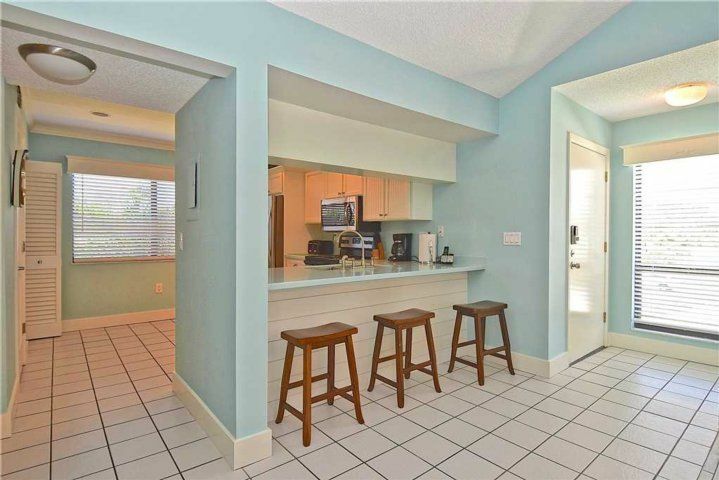 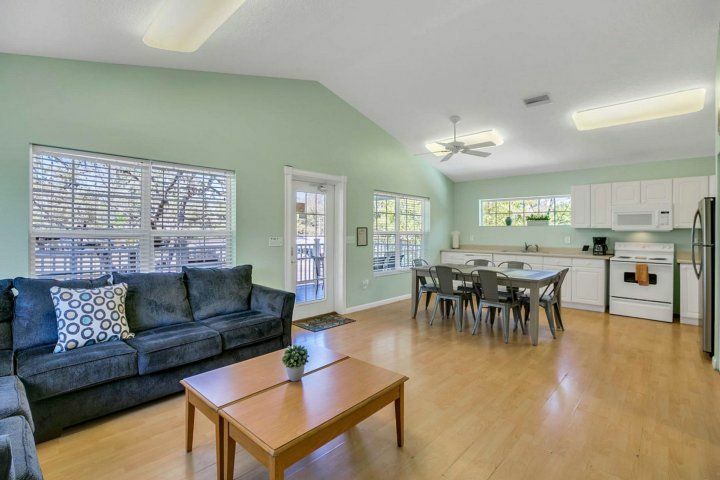 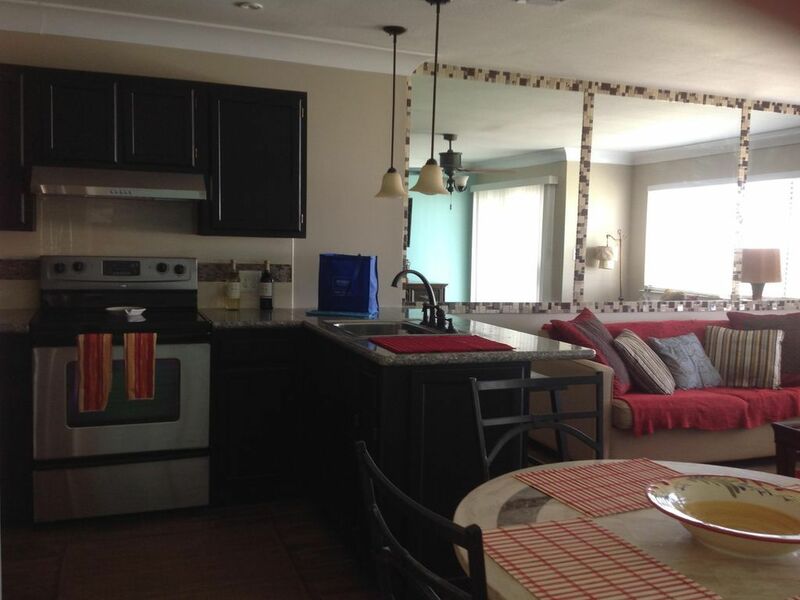 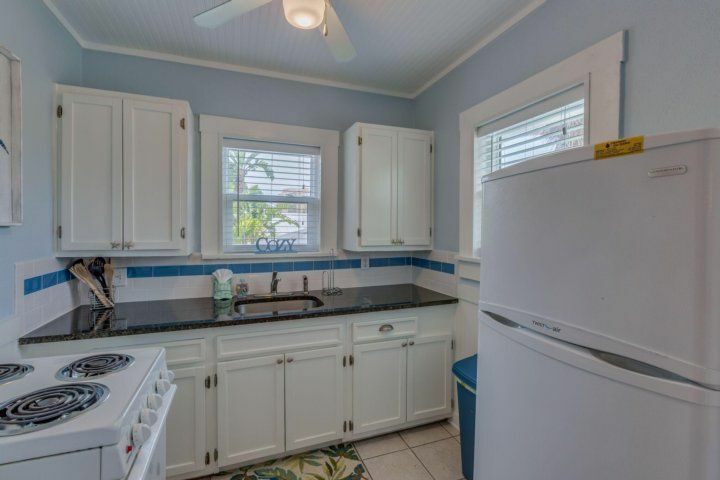 Handsome counters frame a double sink and convenient breakfast bar, opening on to the rest of the living area. 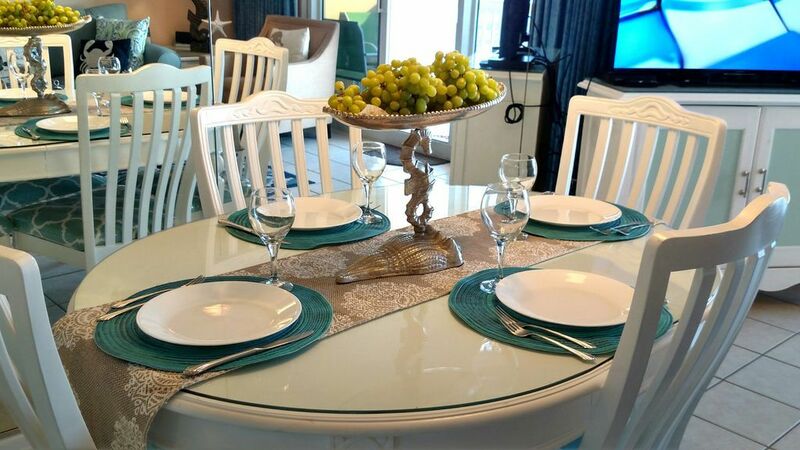 A dining table comfortably seats all six of you and its plantation-style high backed seats are truly stylish. 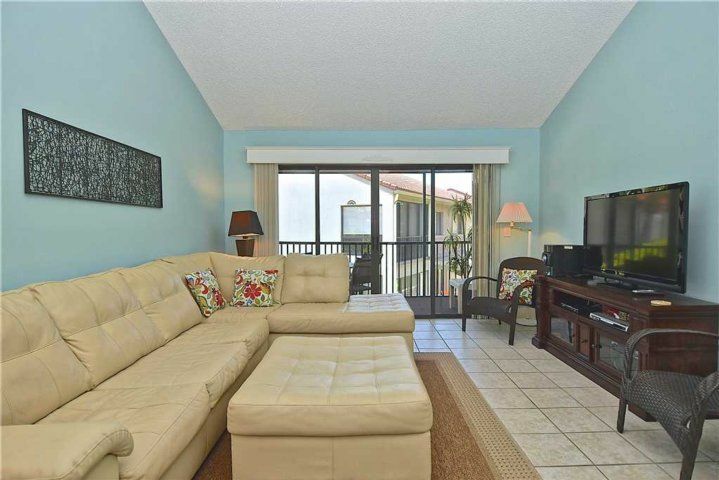 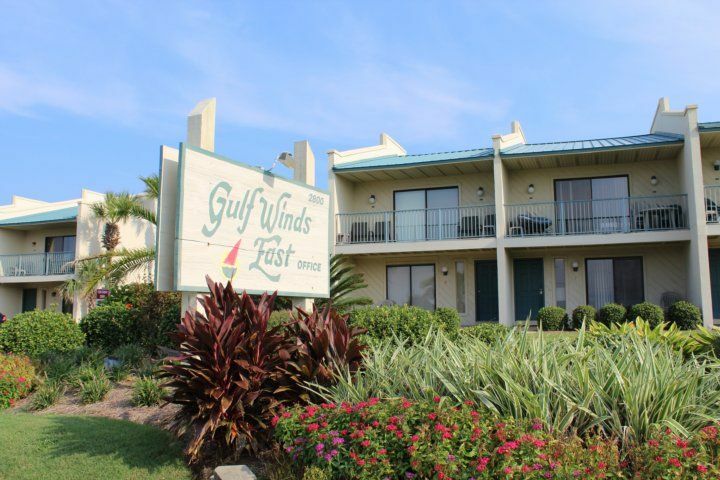 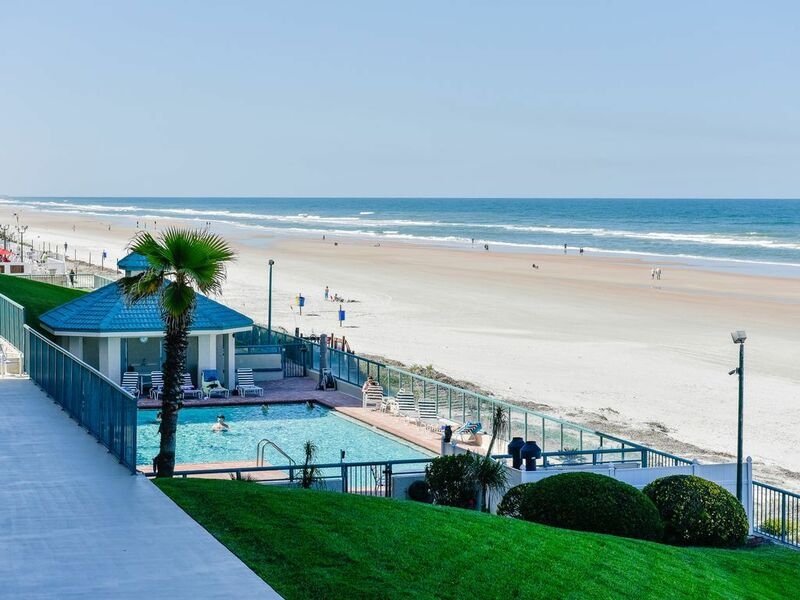 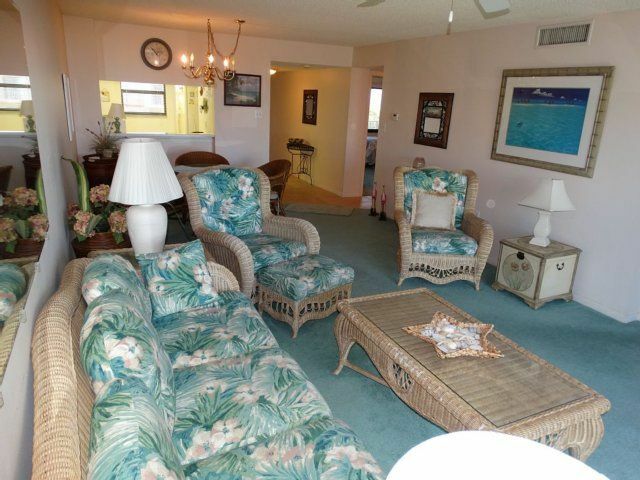 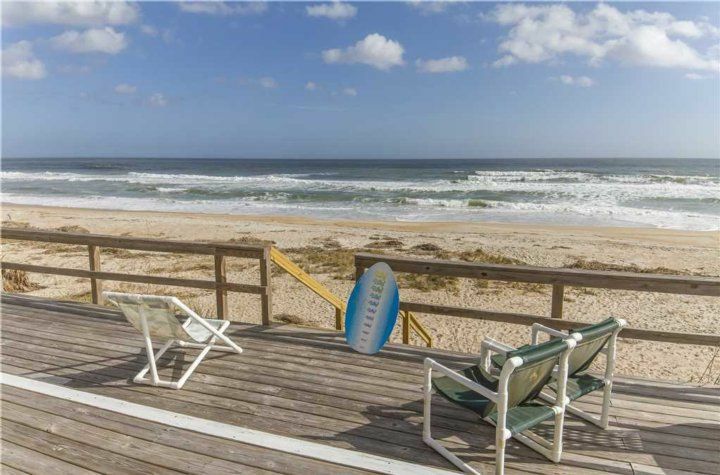 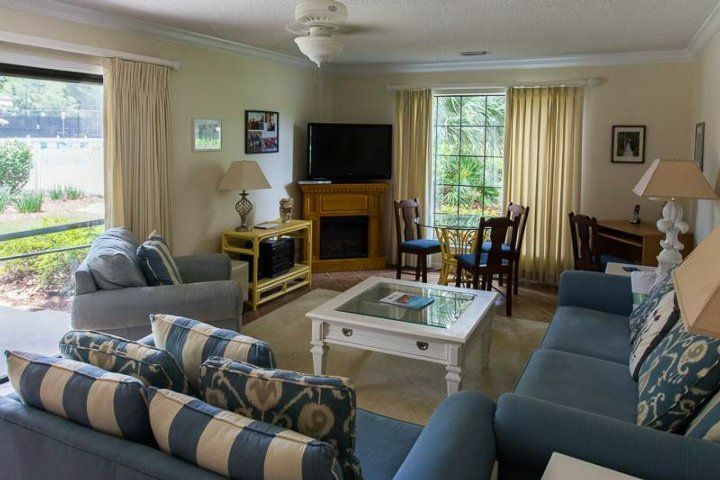 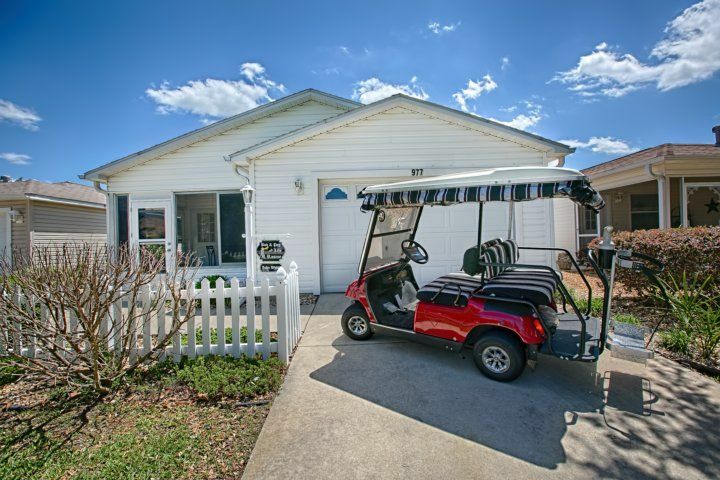 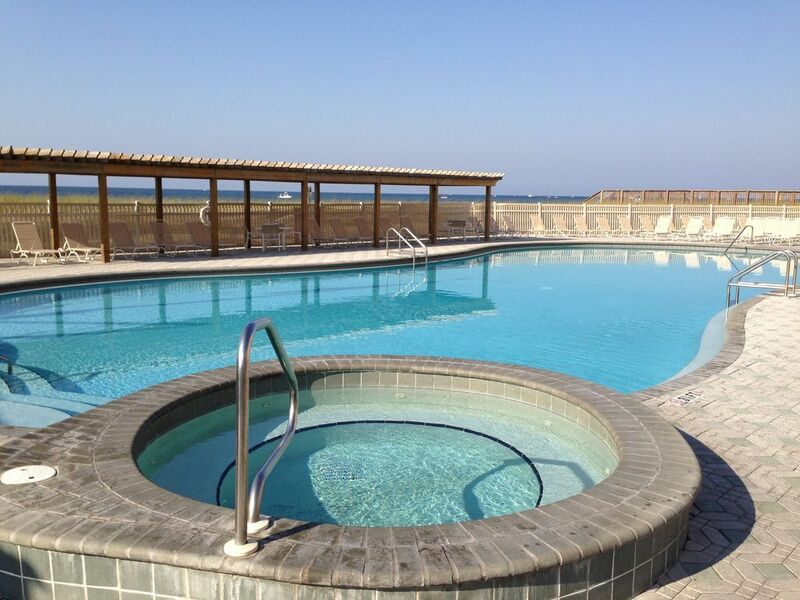 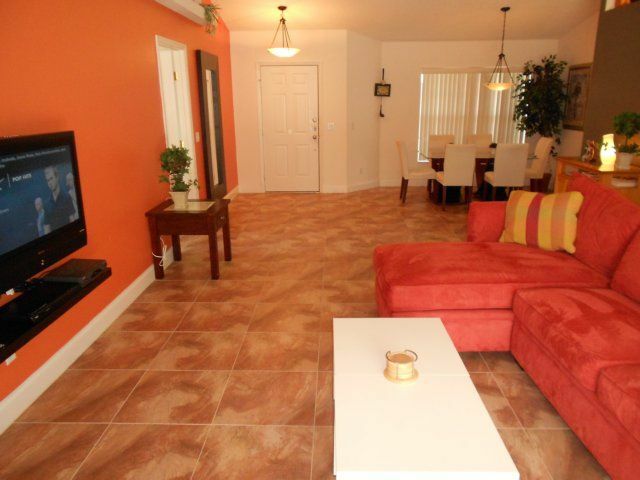 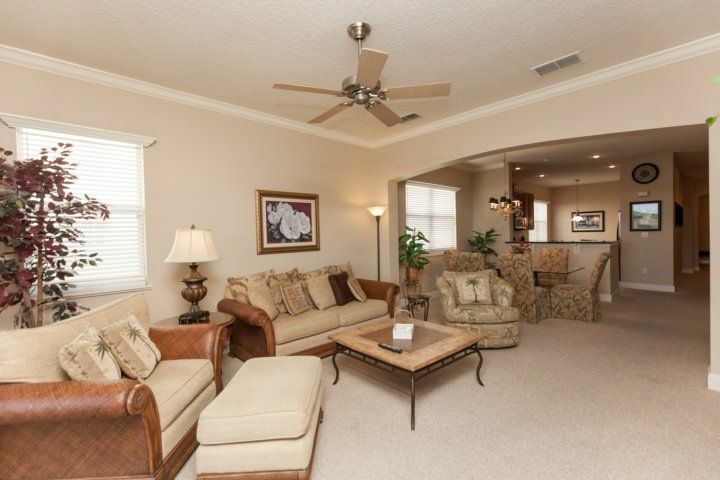 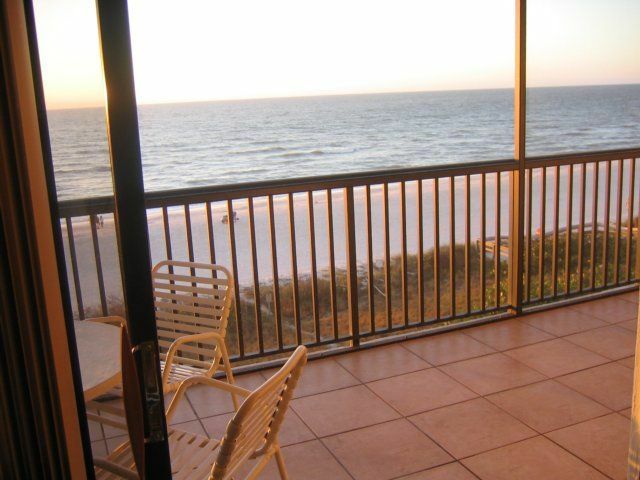 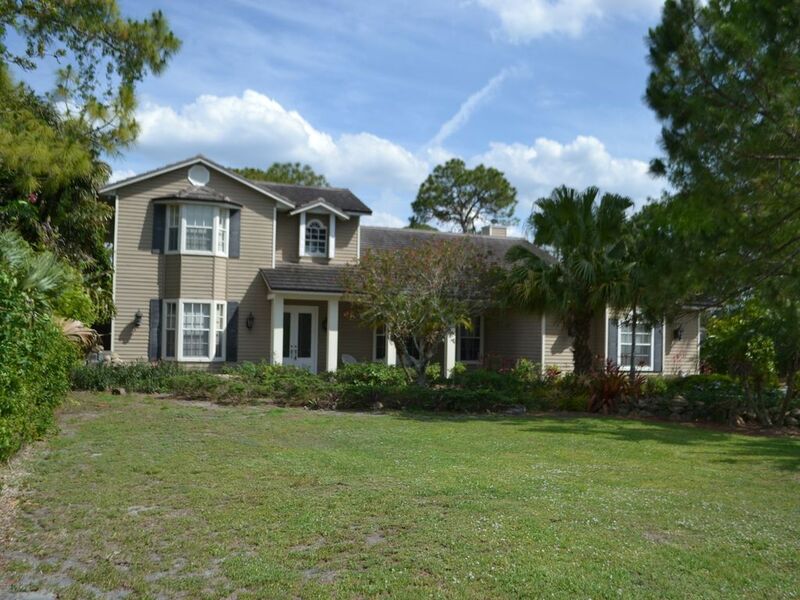 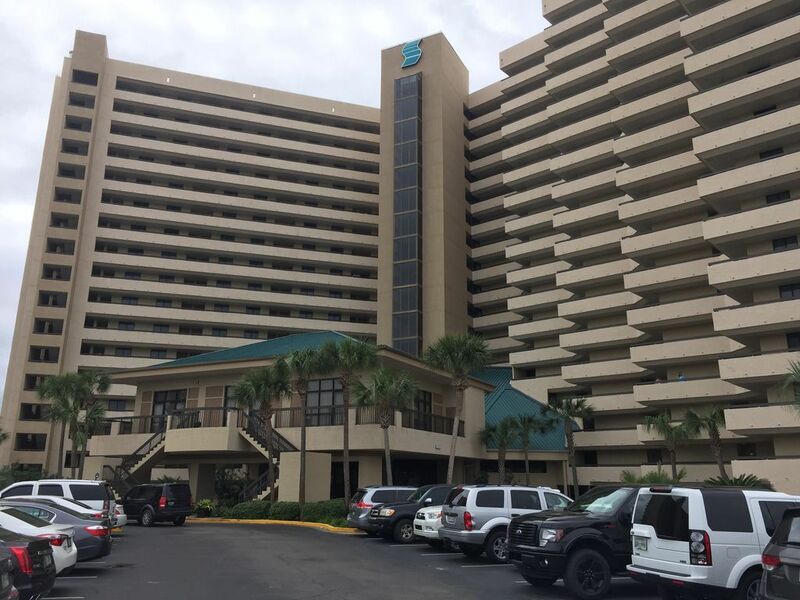 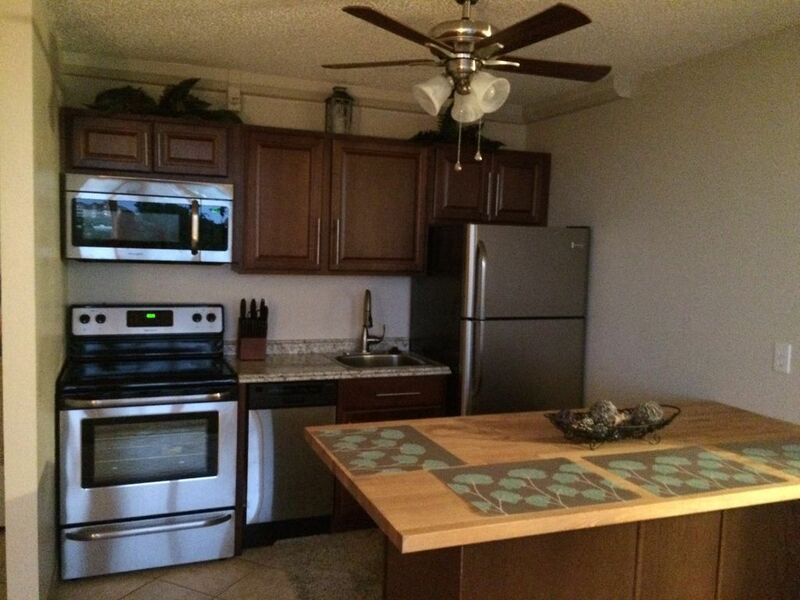 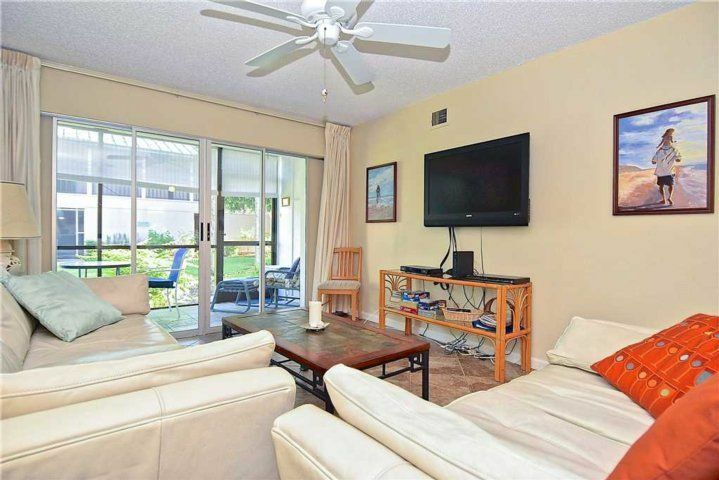 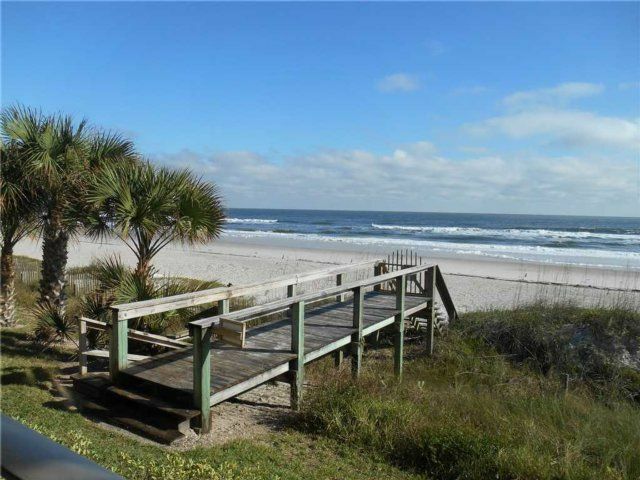 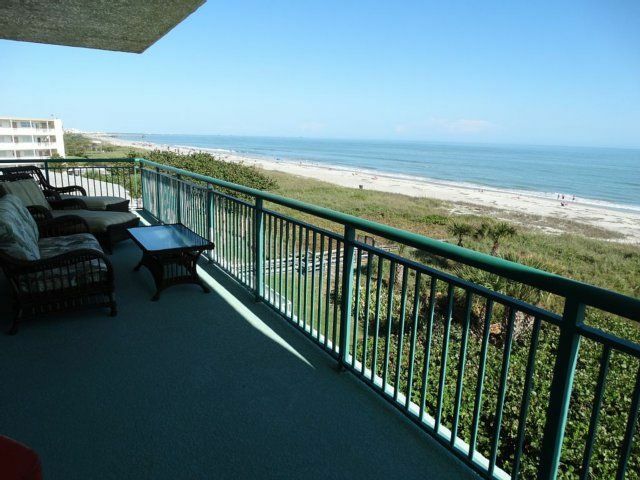 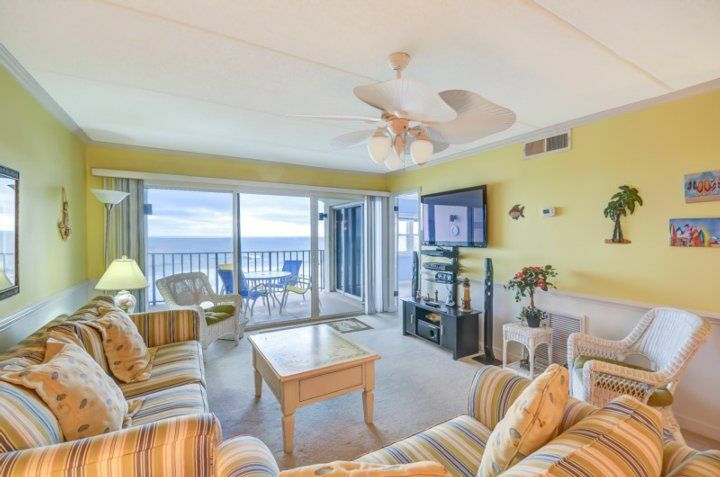 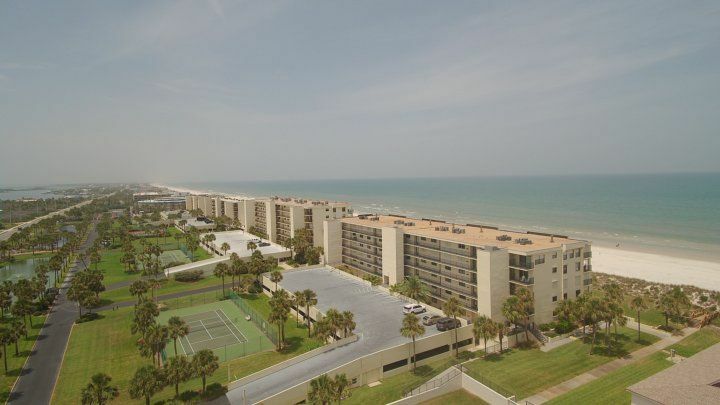 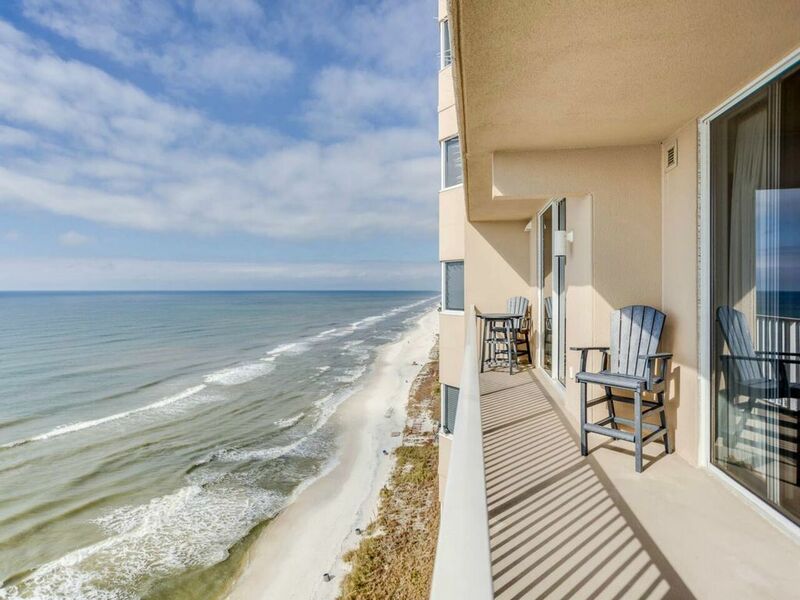 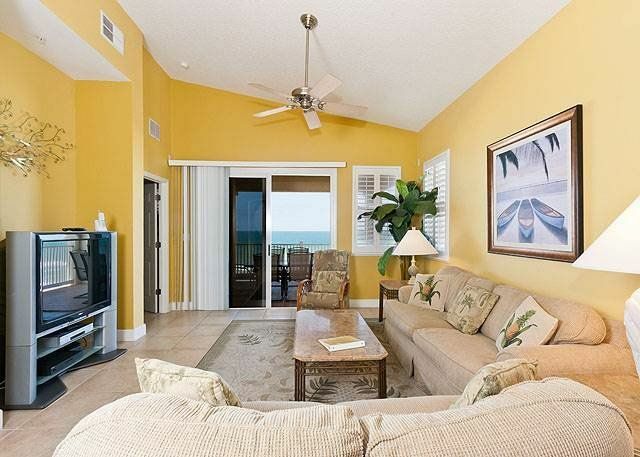 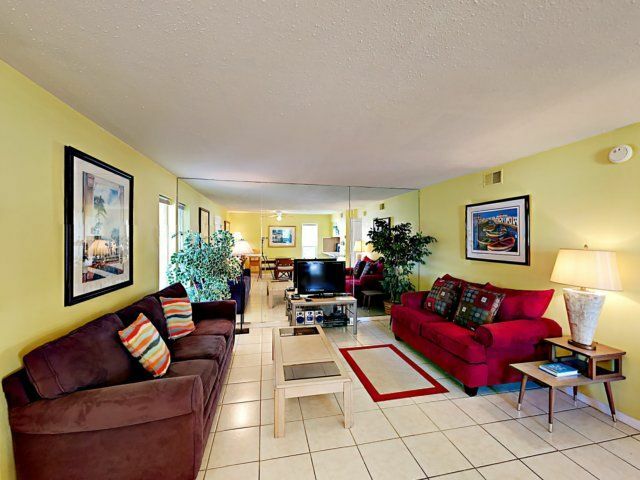 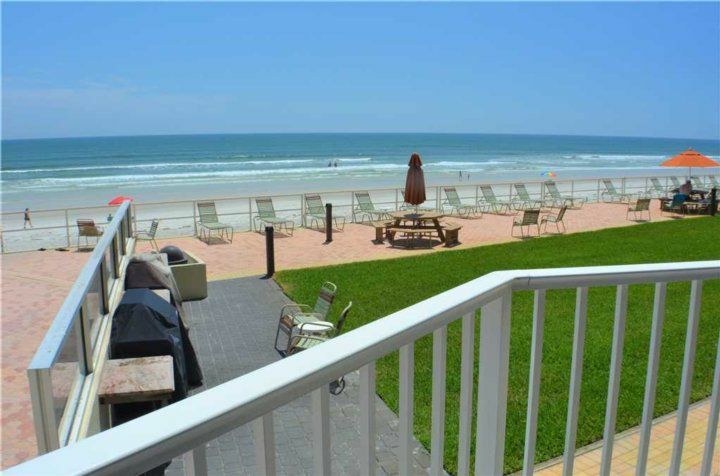 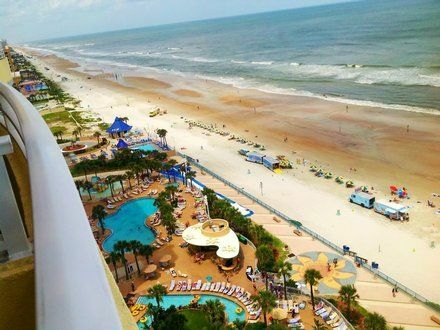 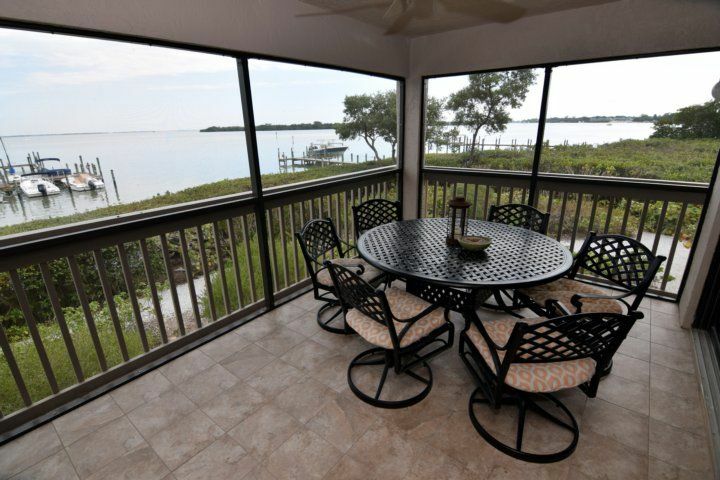 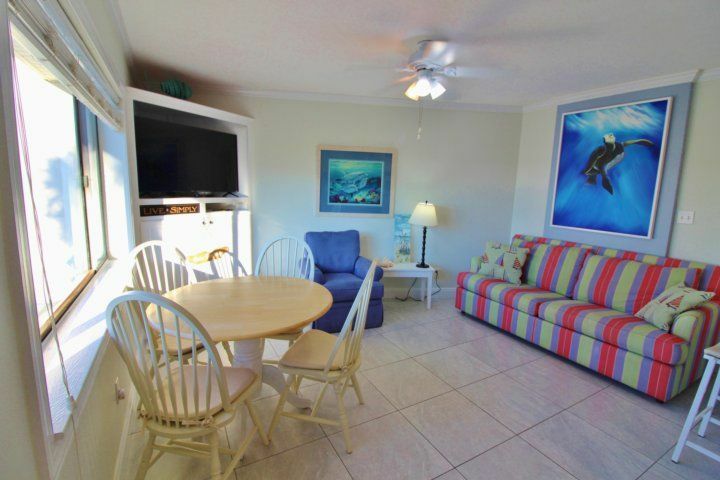 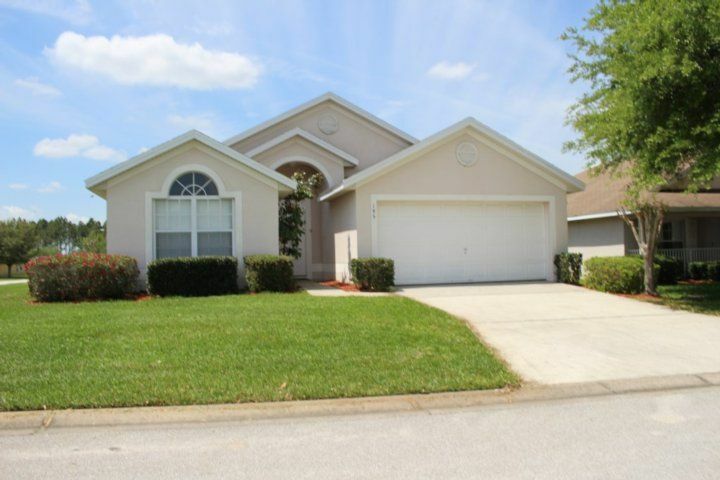 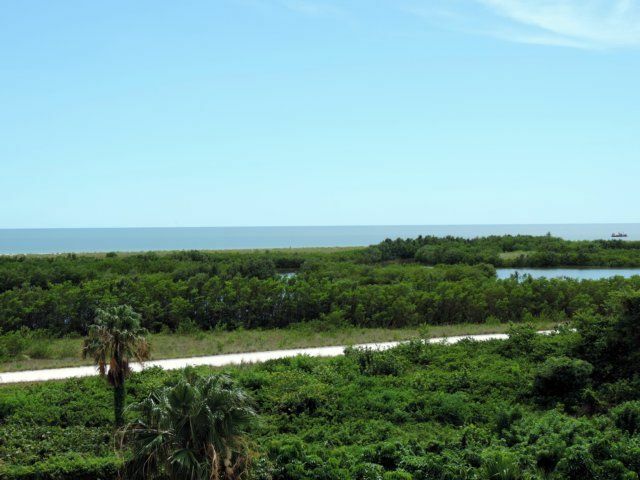 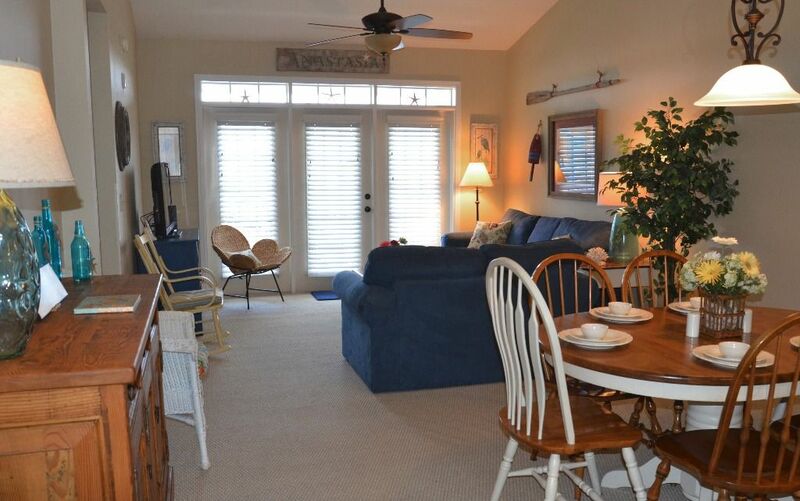 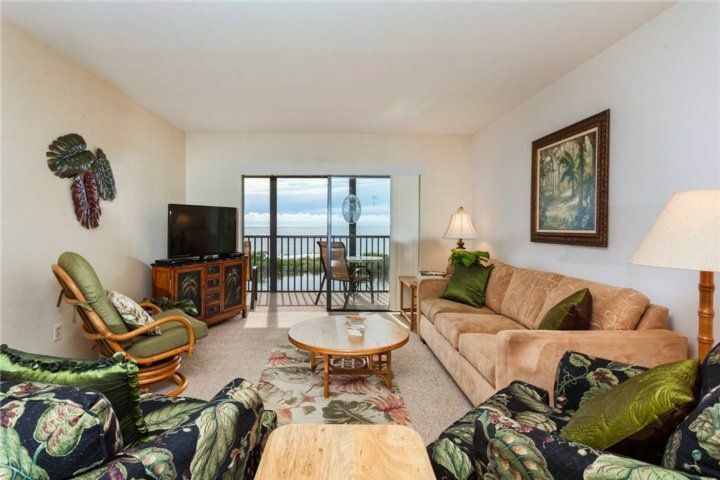 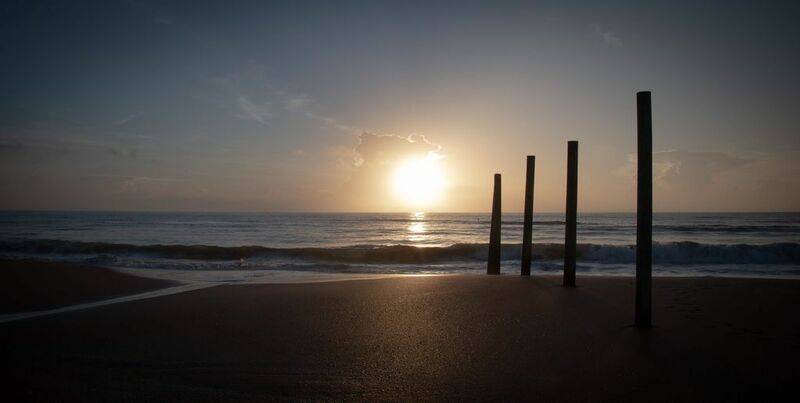 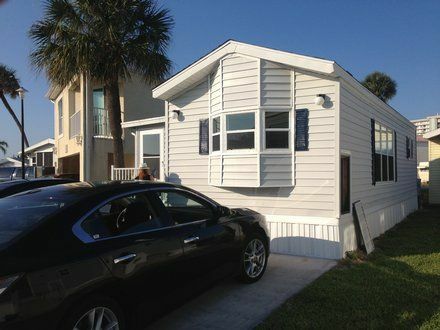 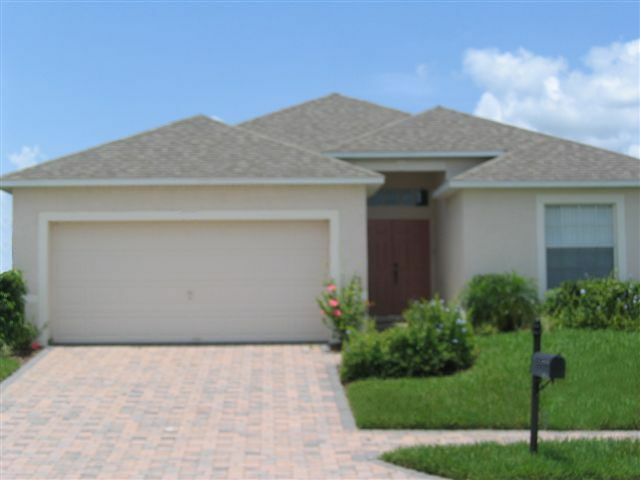 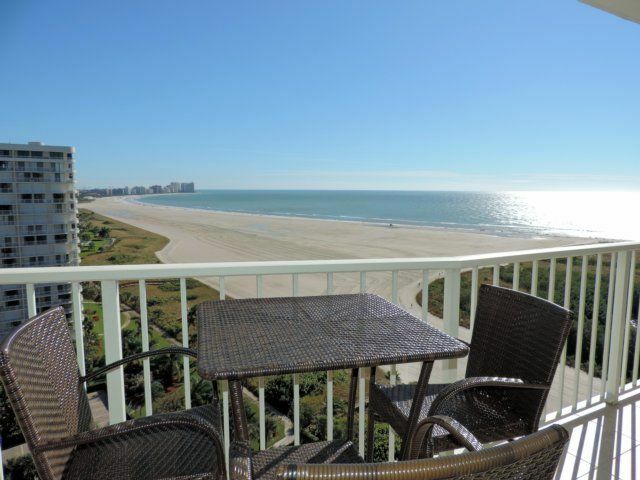 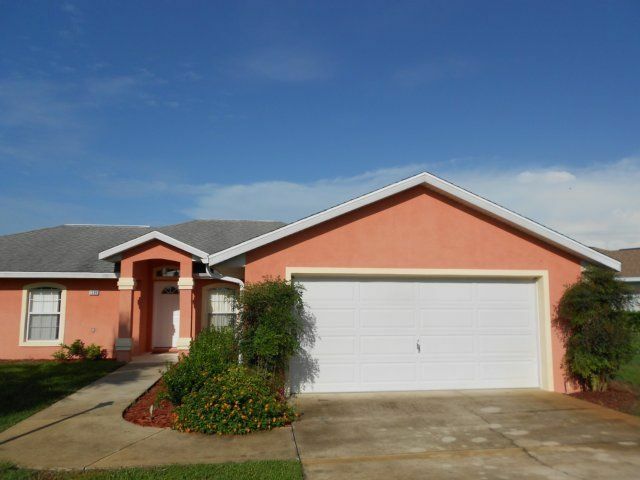 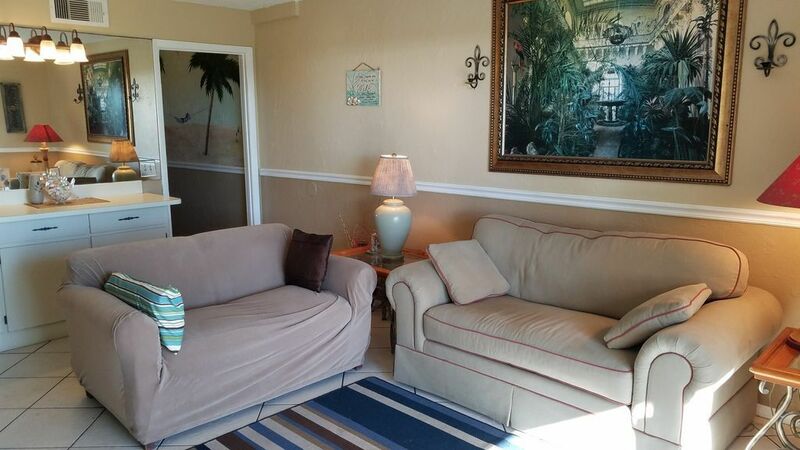 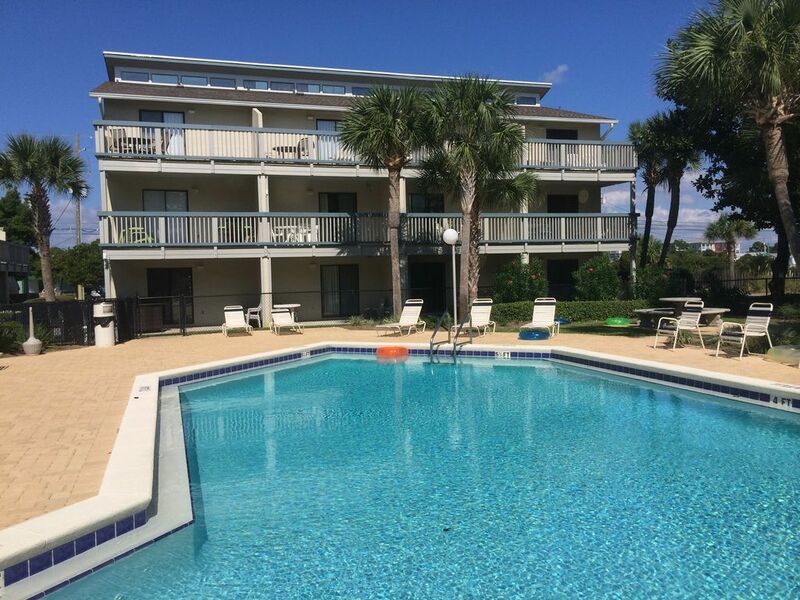 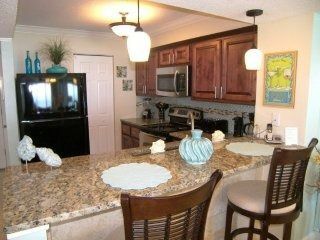 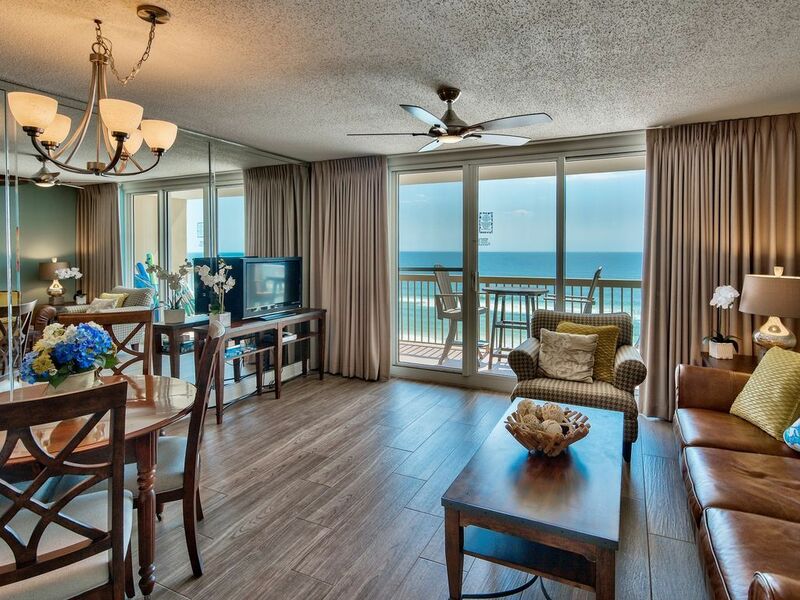 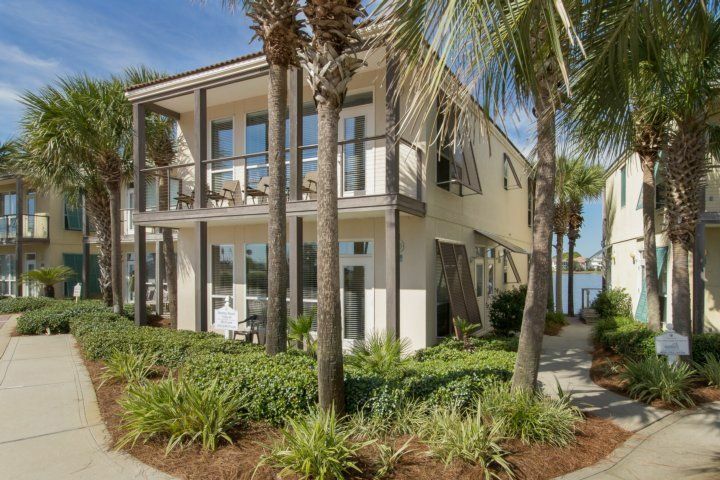 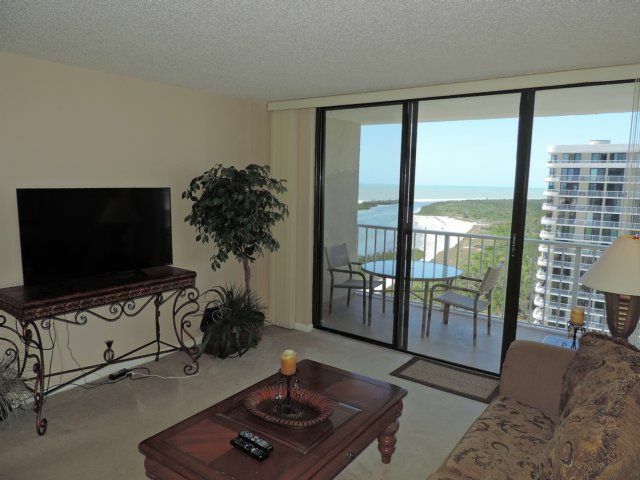 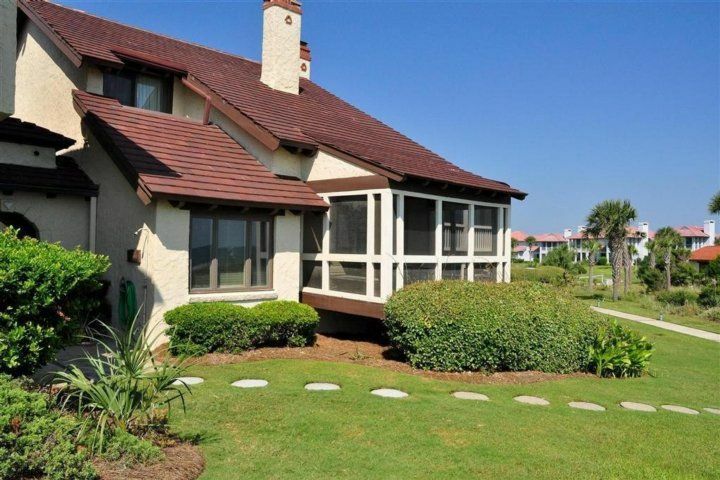 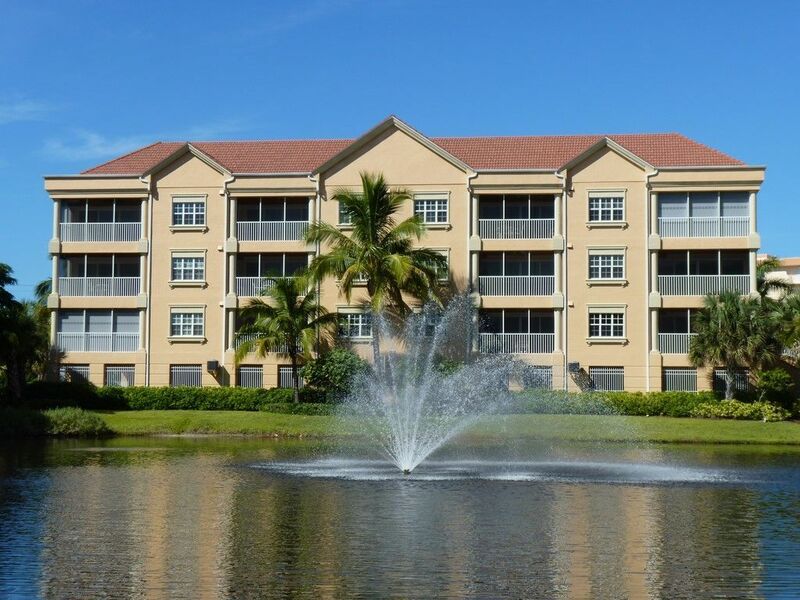 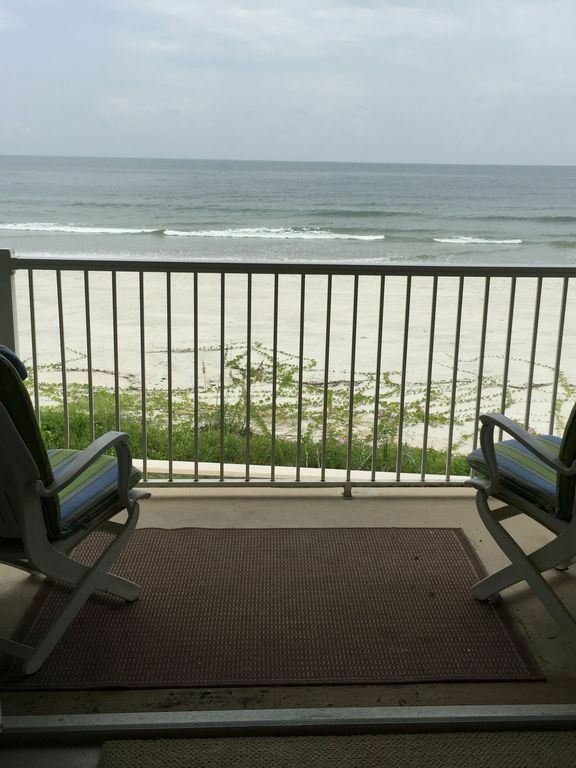 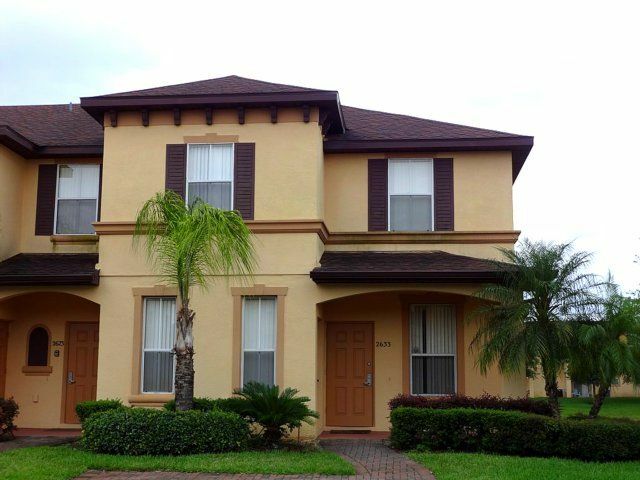 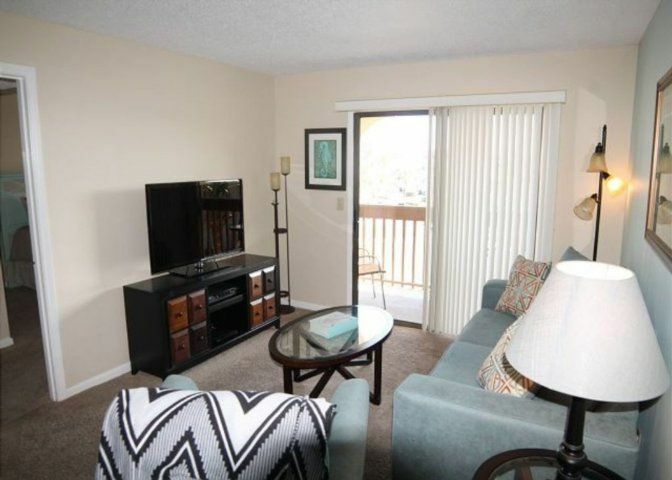 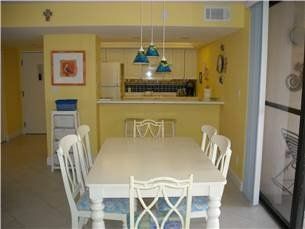 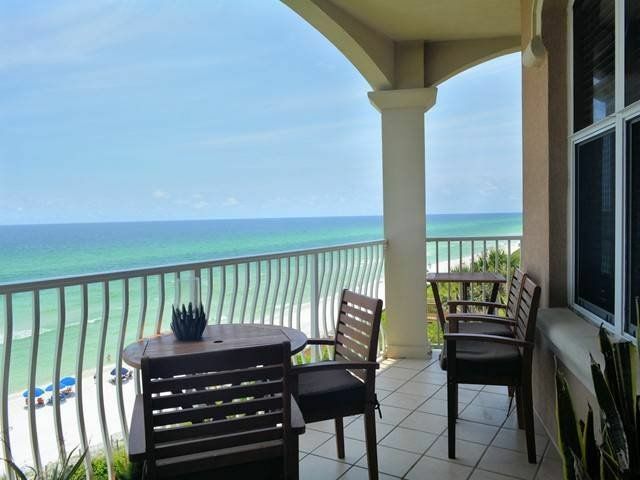 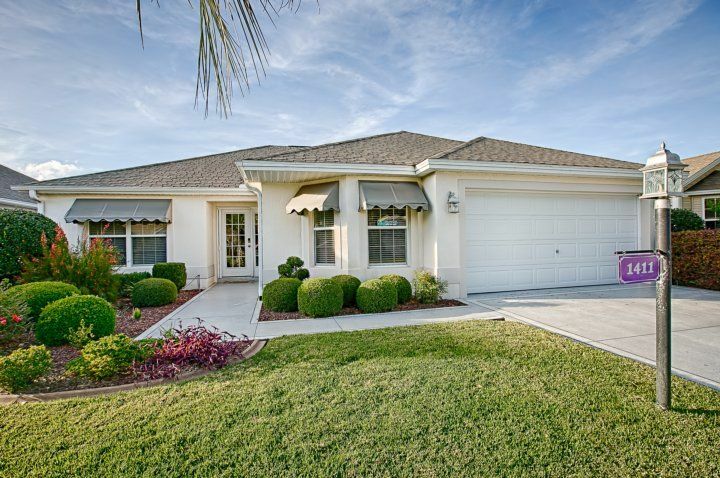 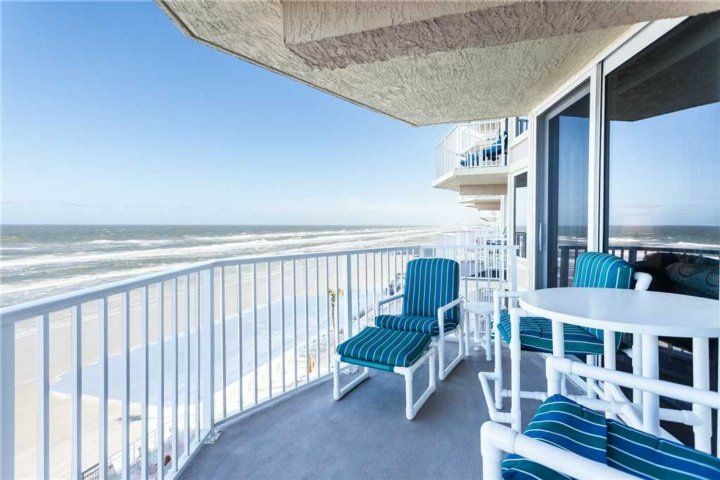 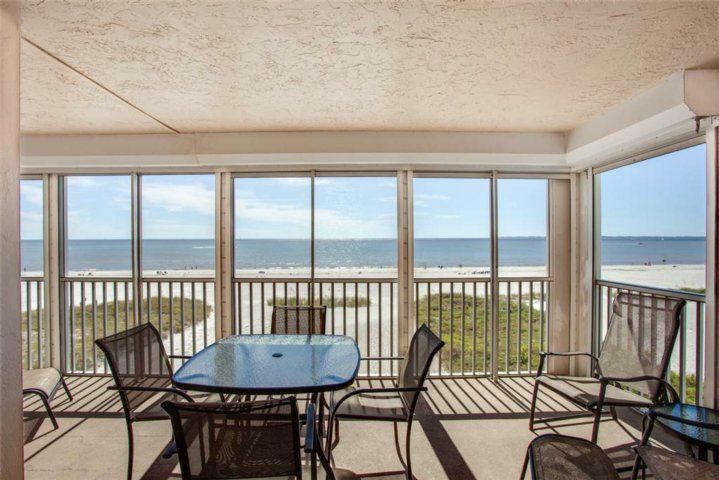 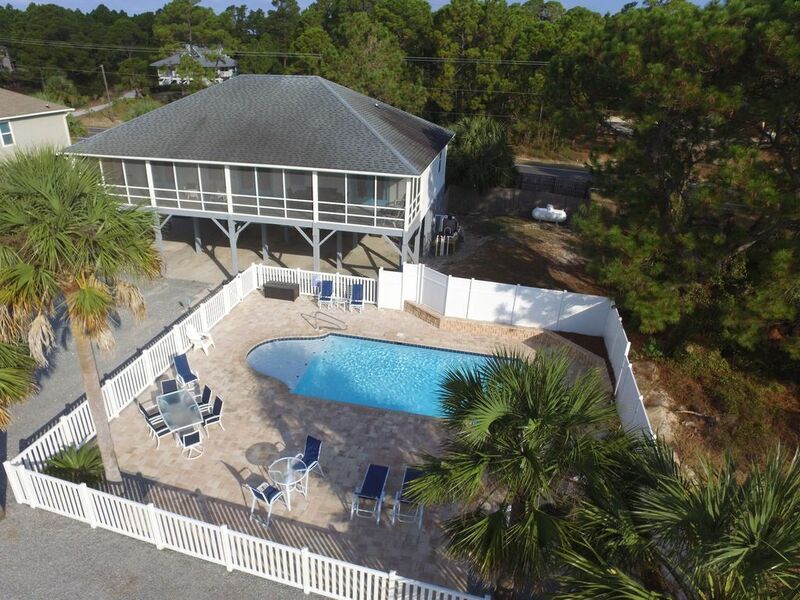 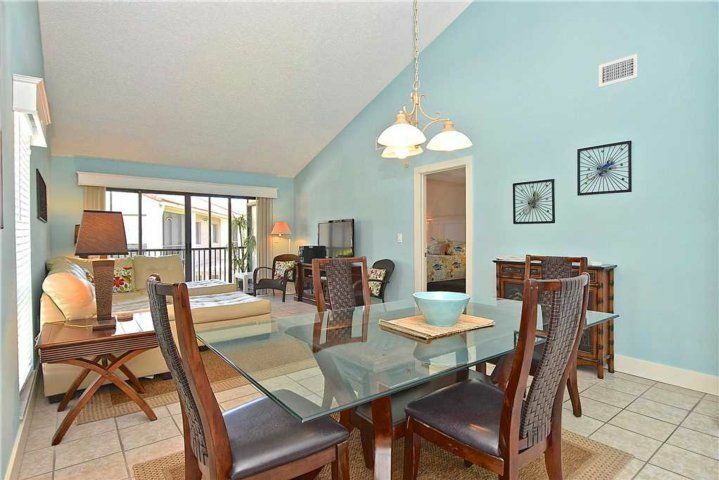 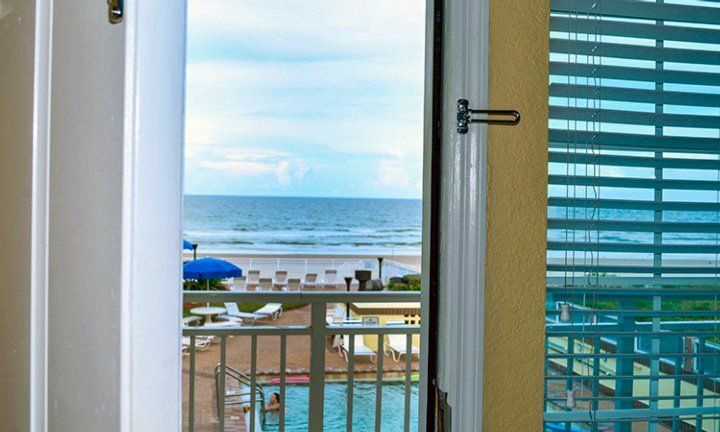 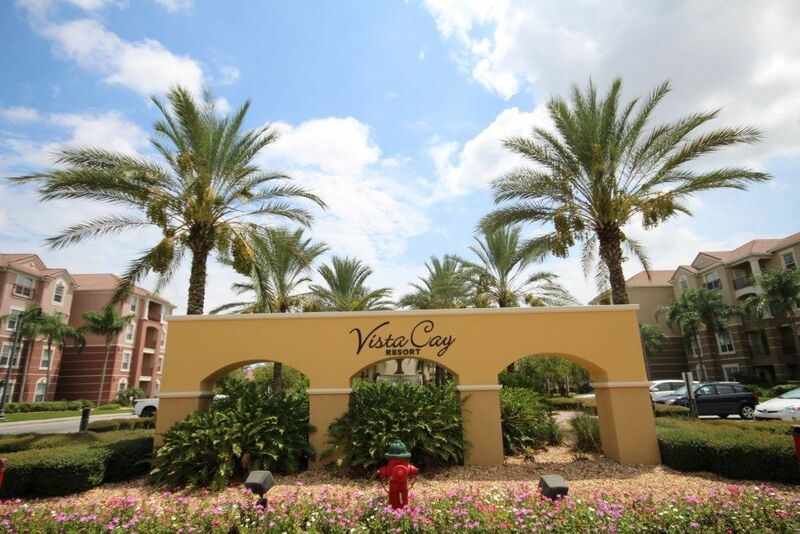 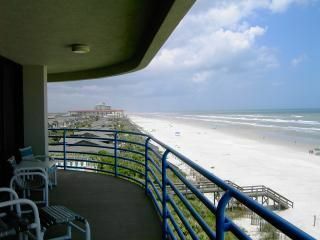 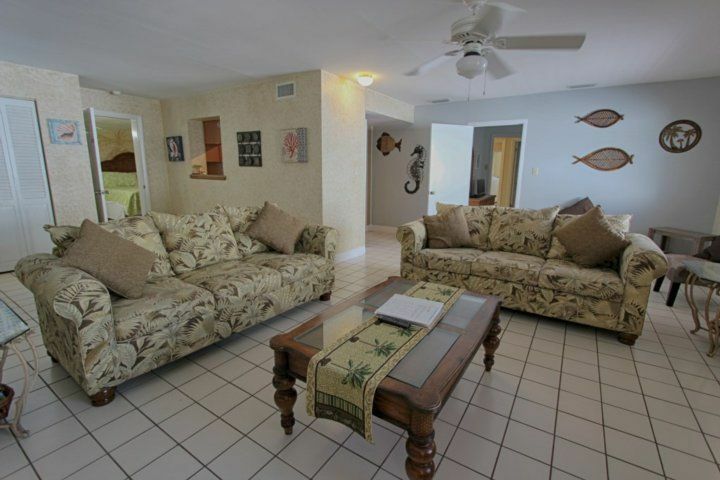 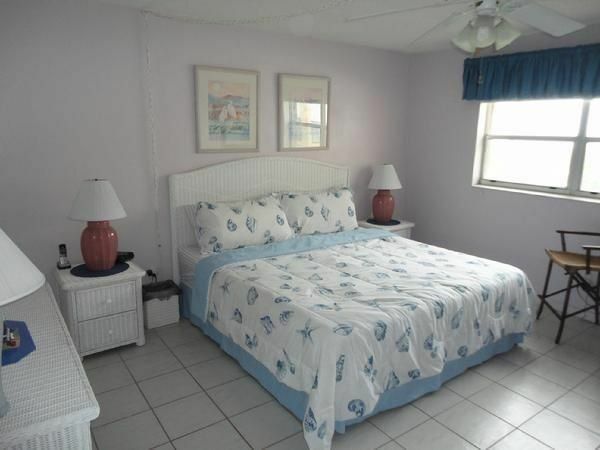 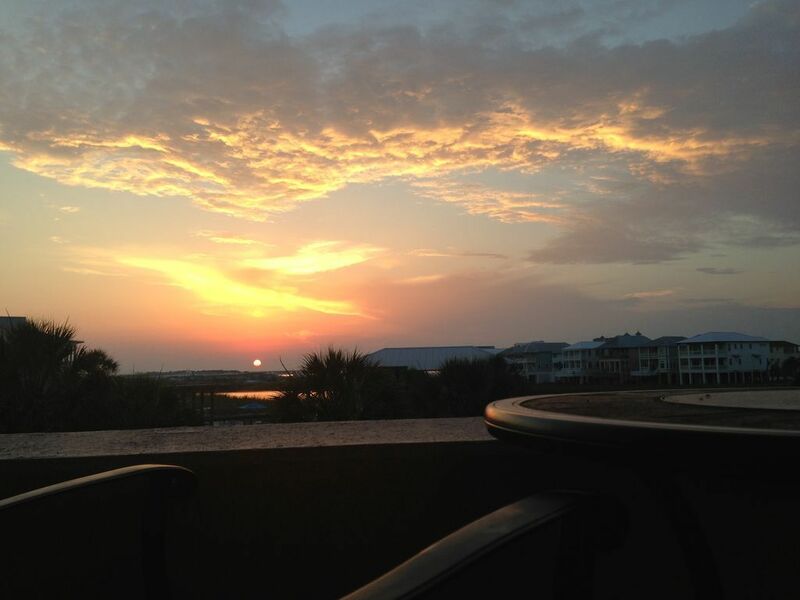 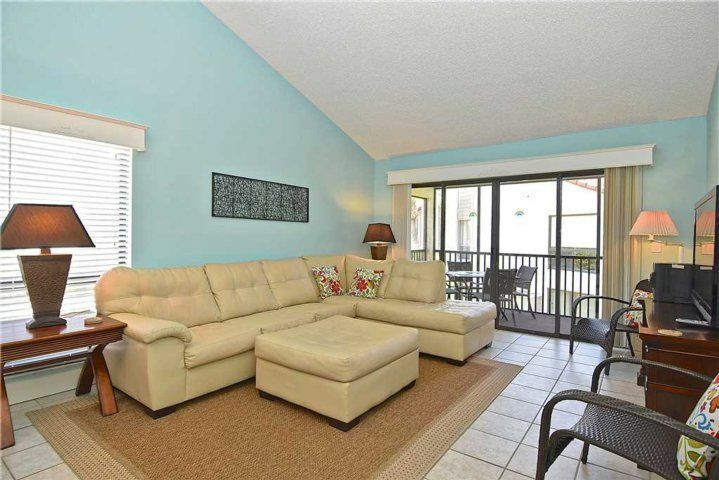 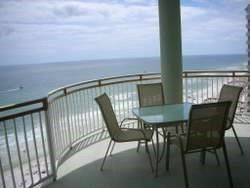 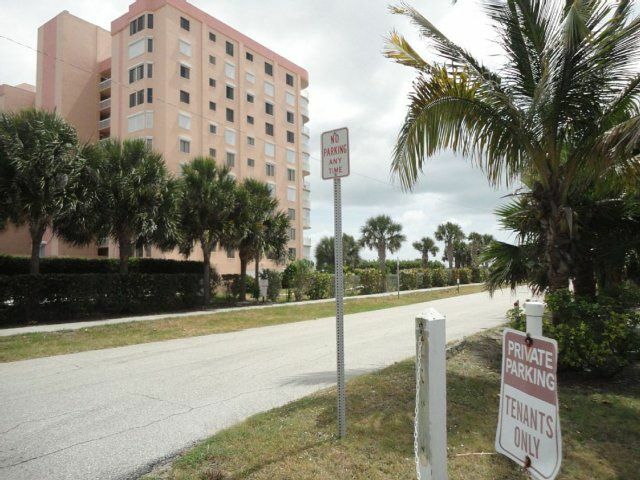 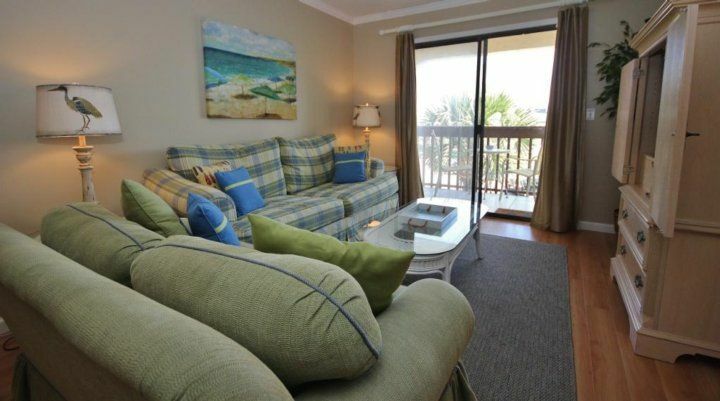 The condo is located in Building 7 of Siesta Dunes resort. 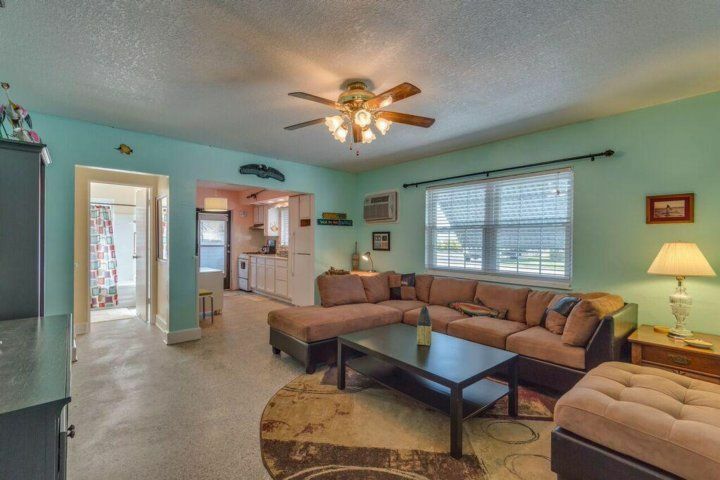 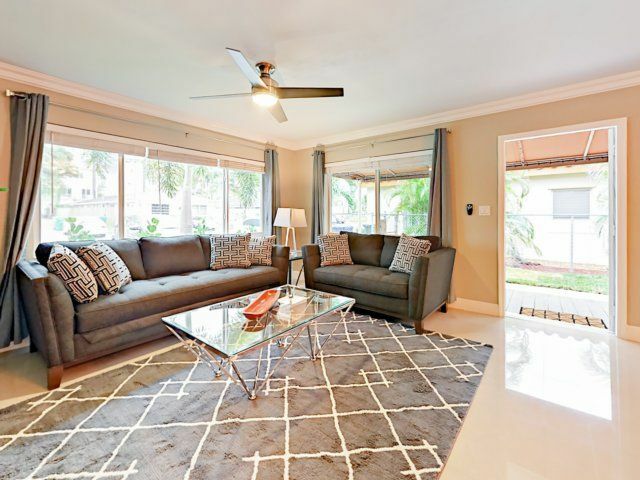 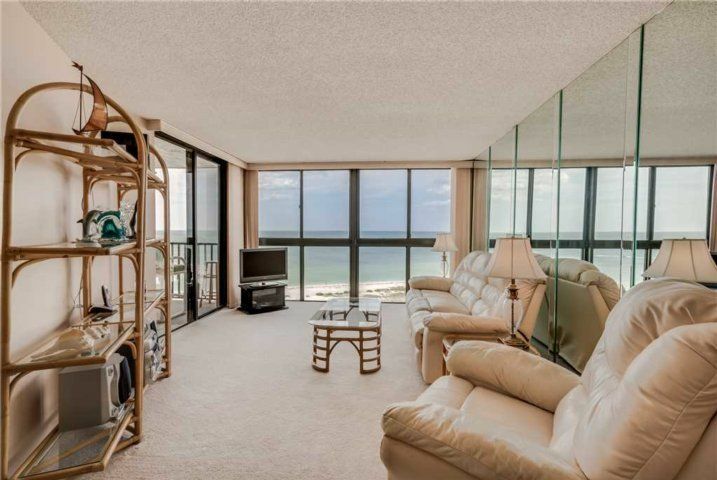 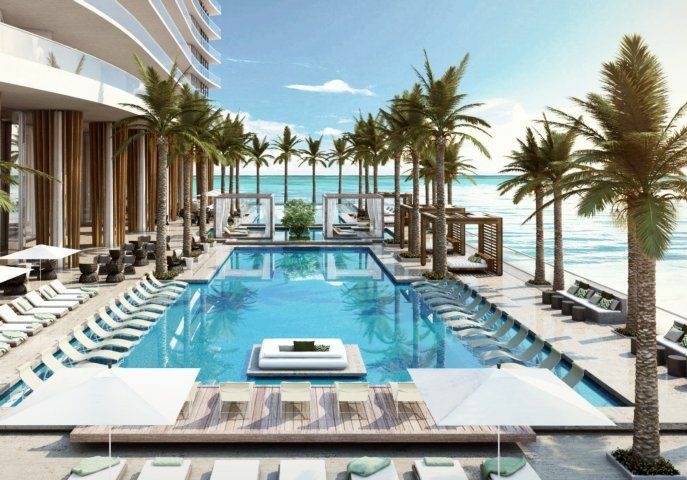 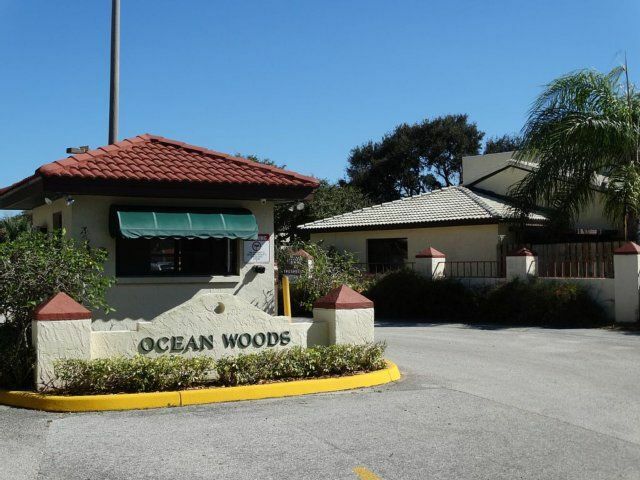 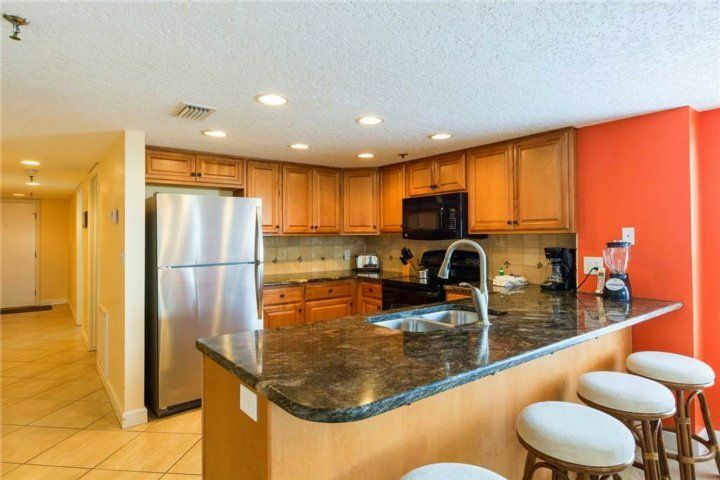 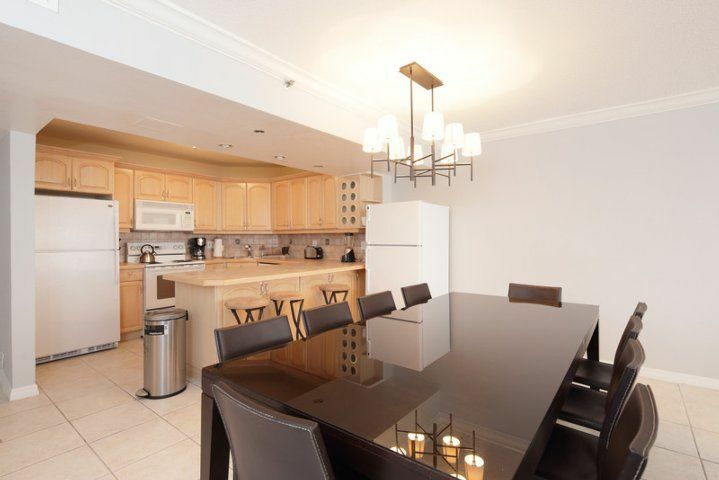 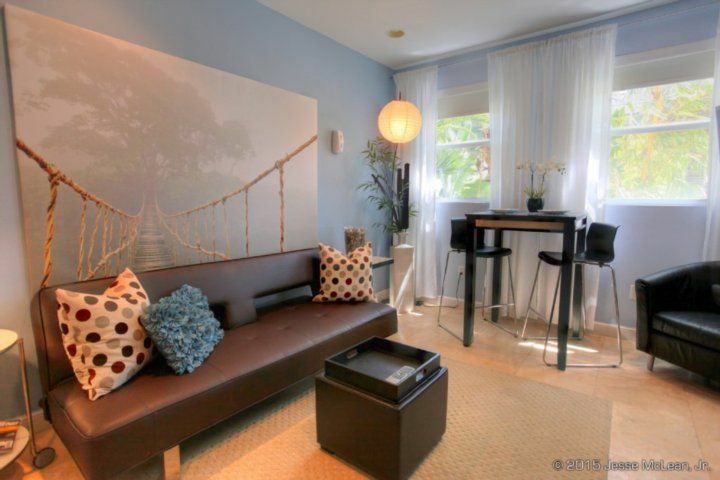 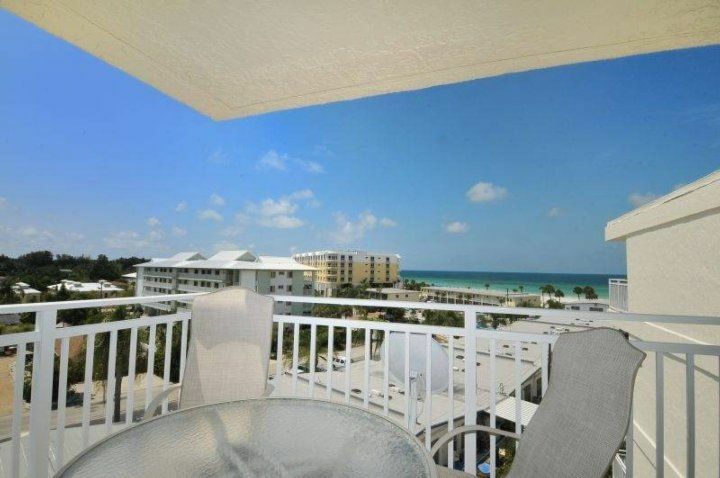 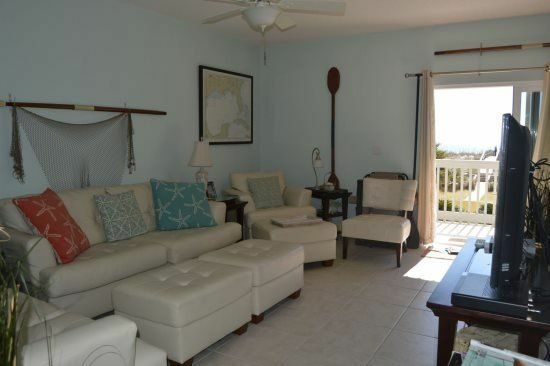 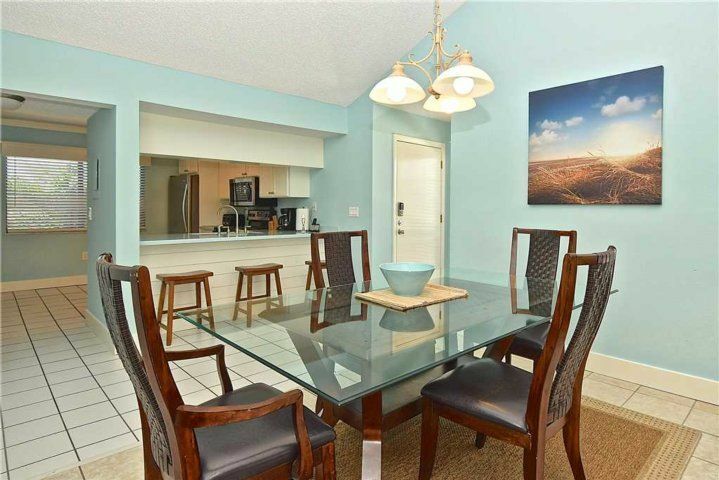 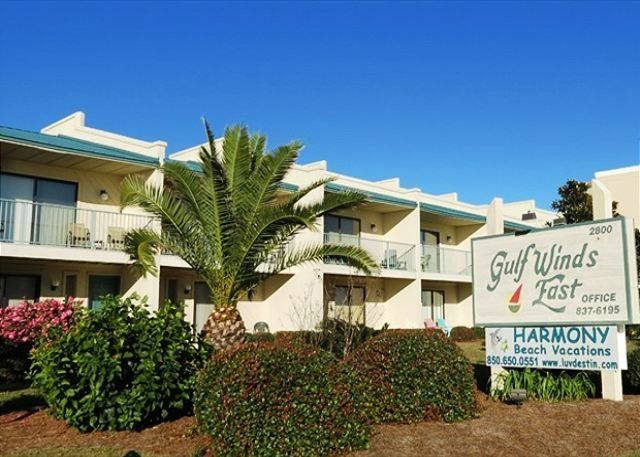 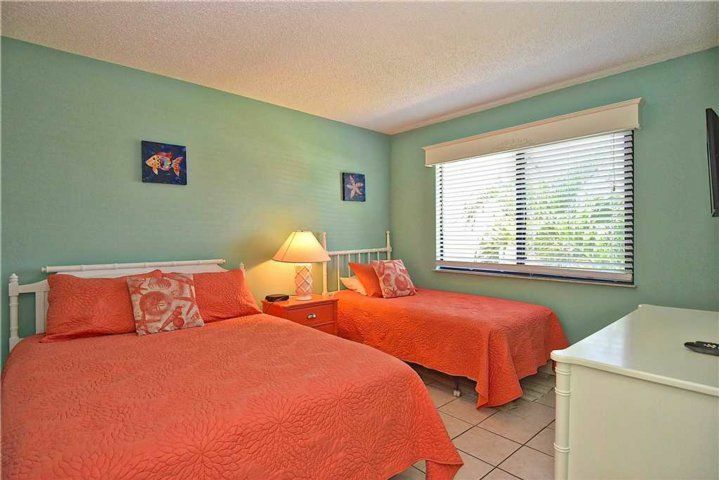 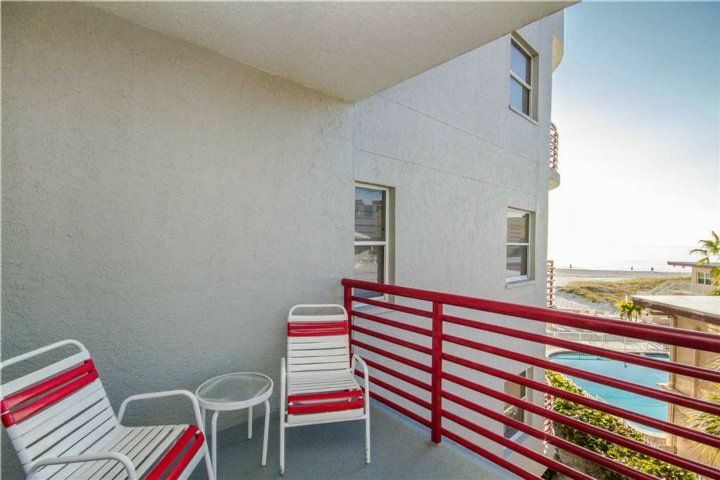 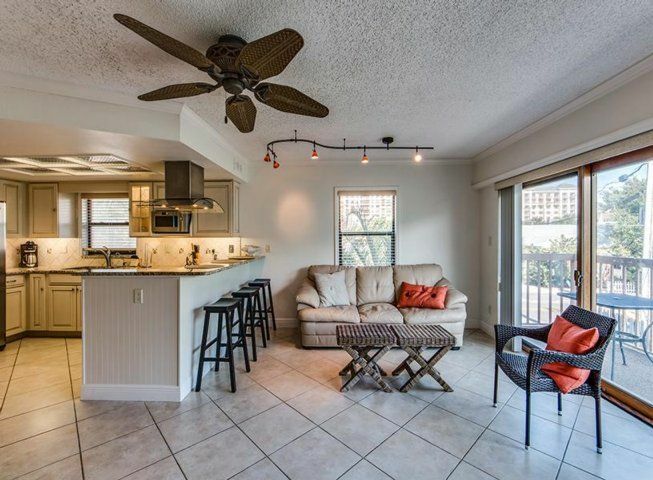 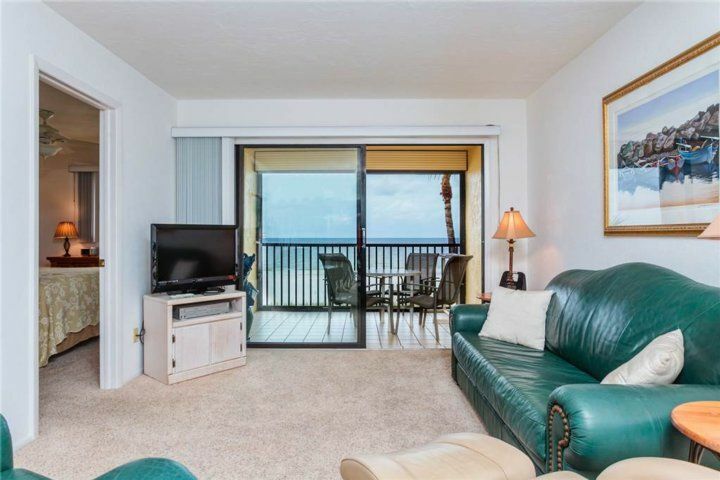 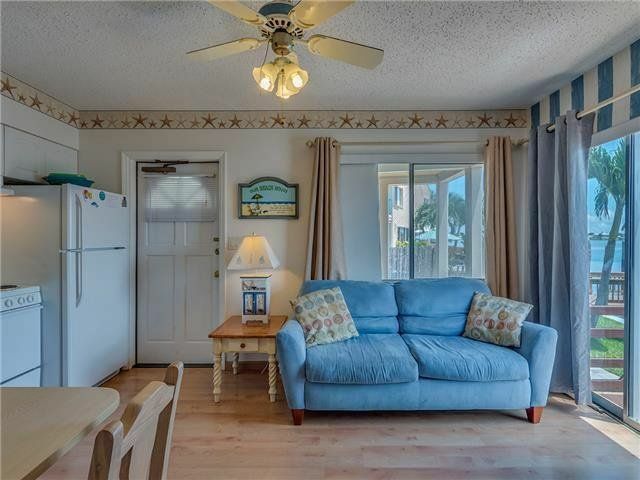 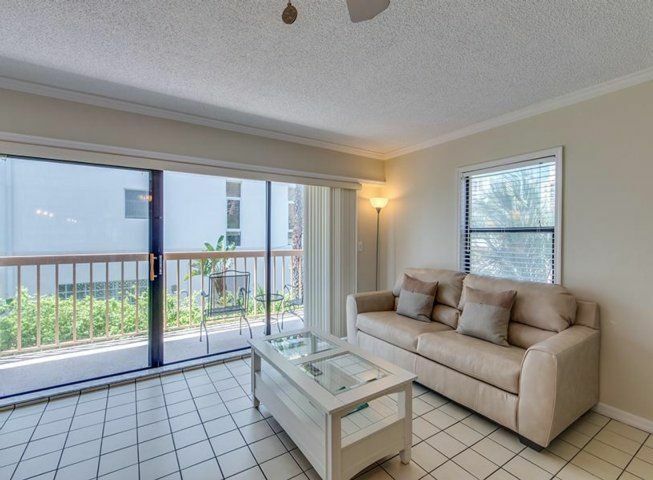 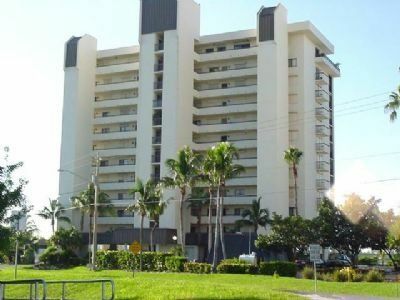 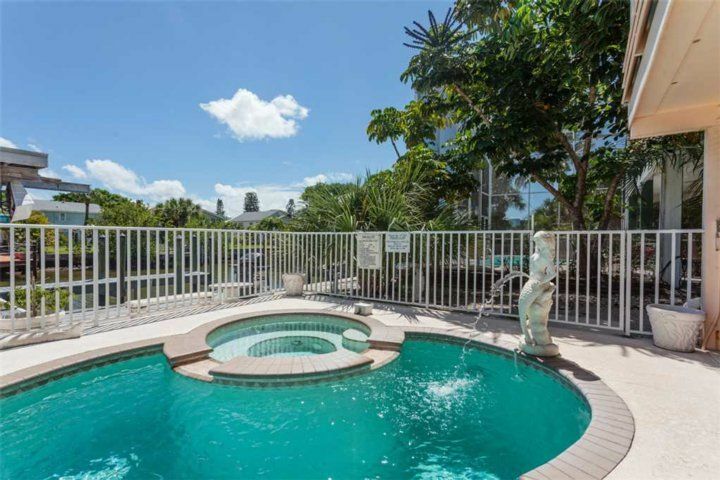 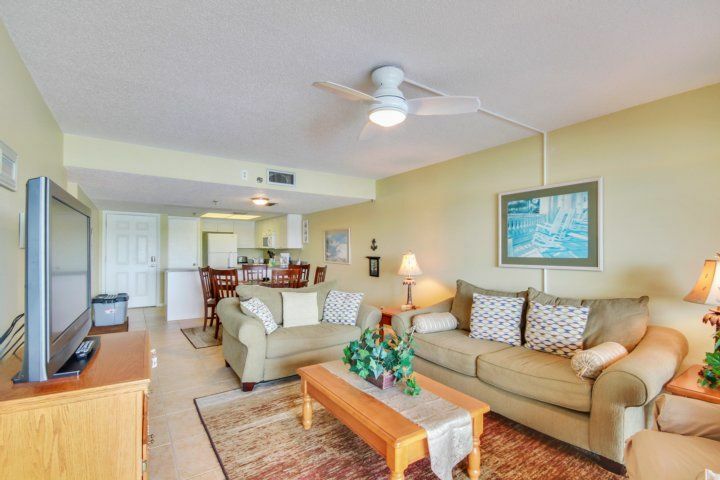 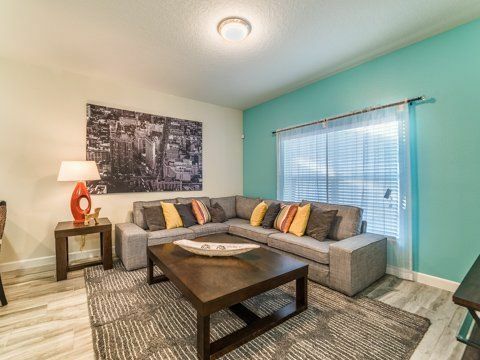 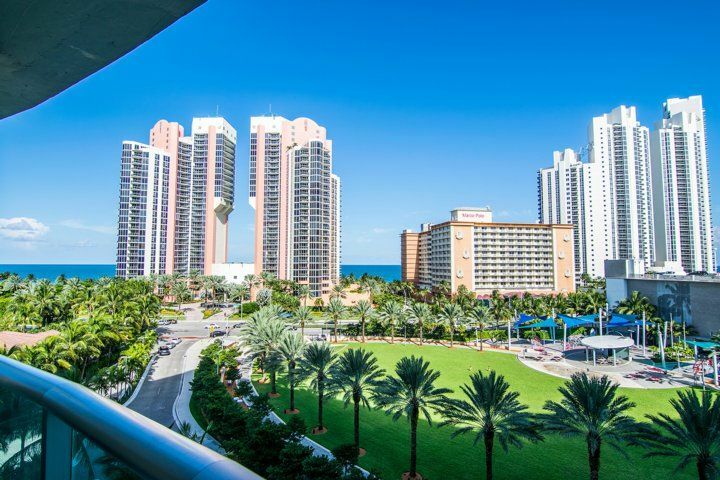 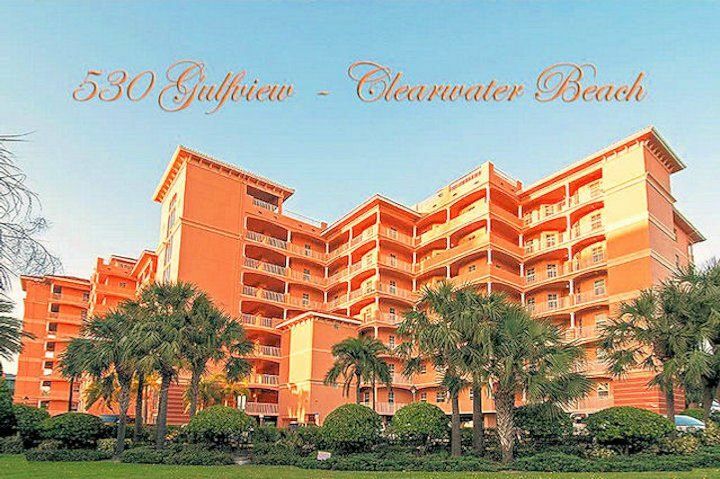 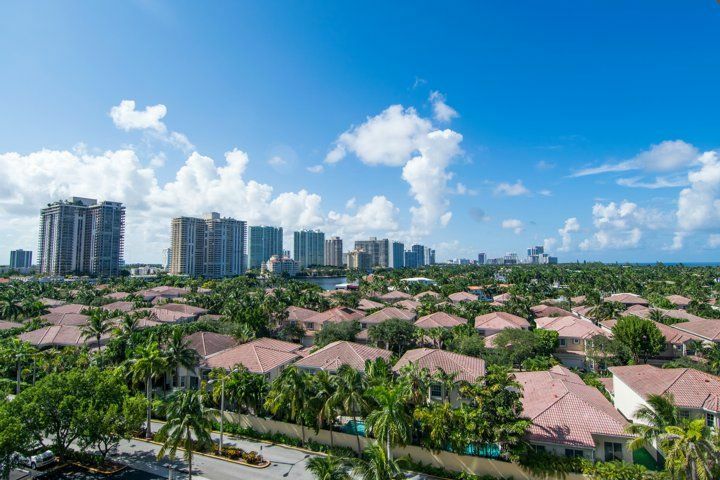 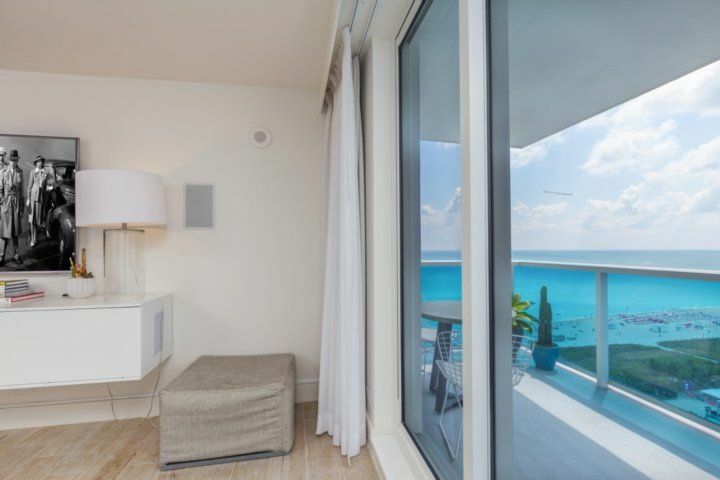 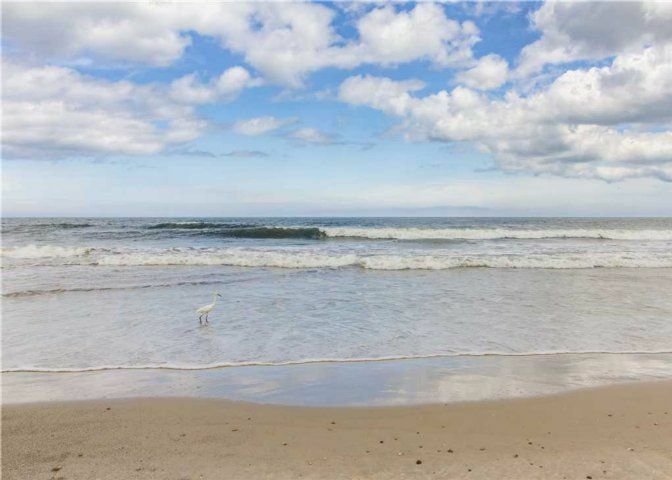 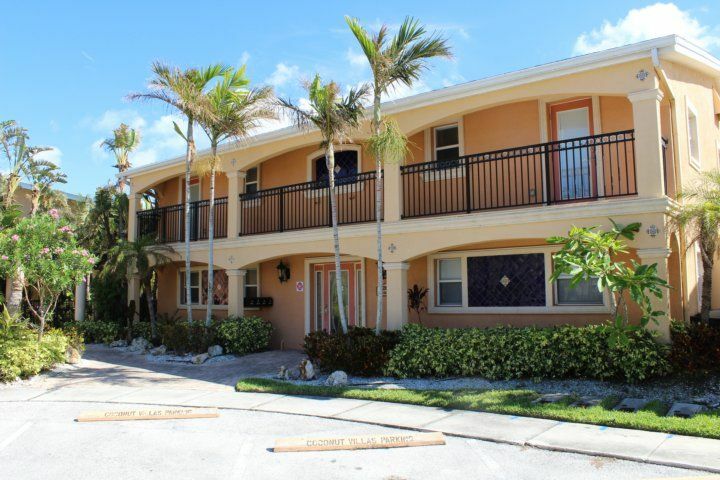 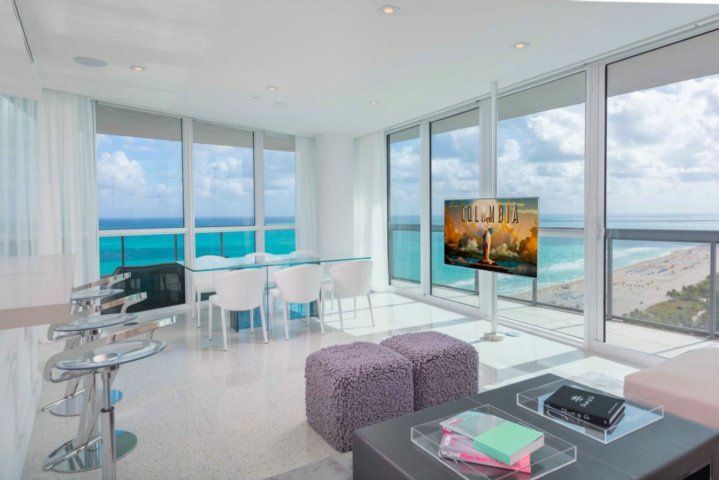 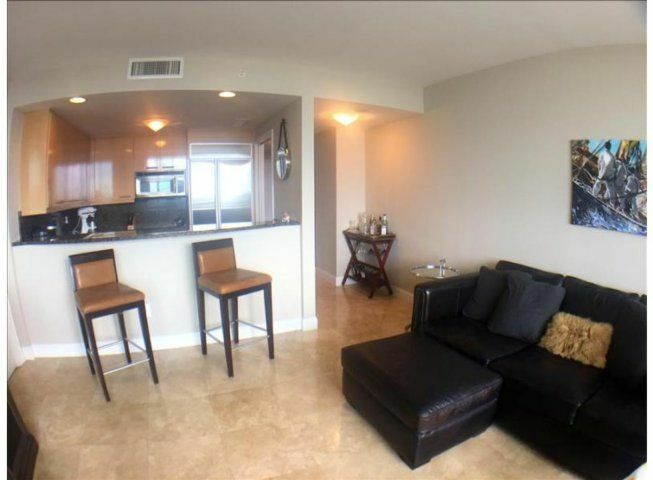 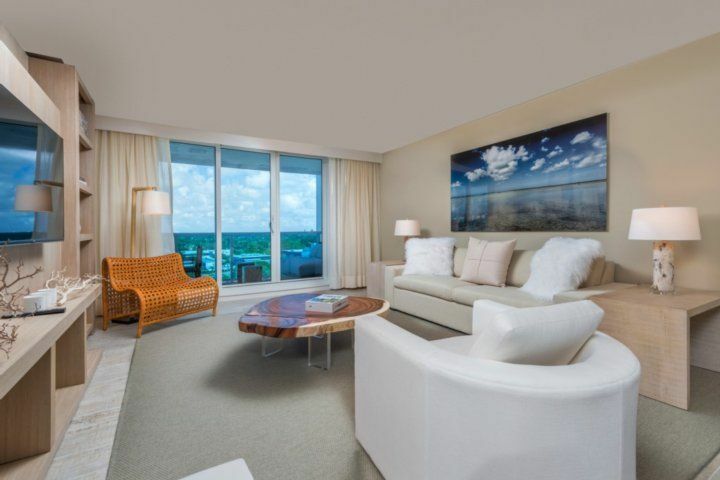 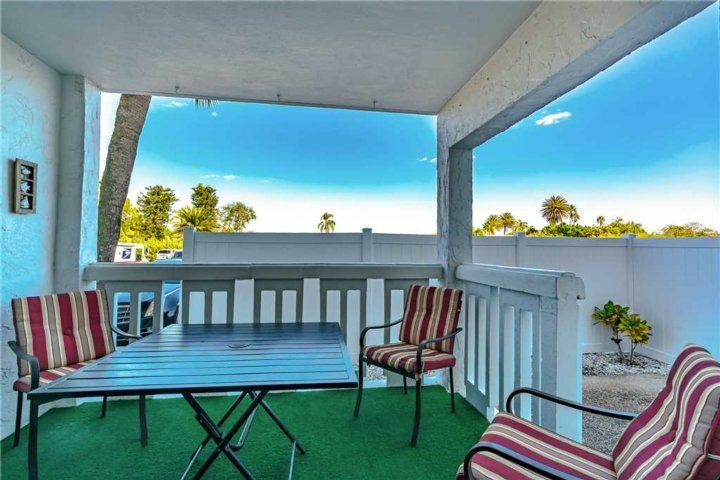 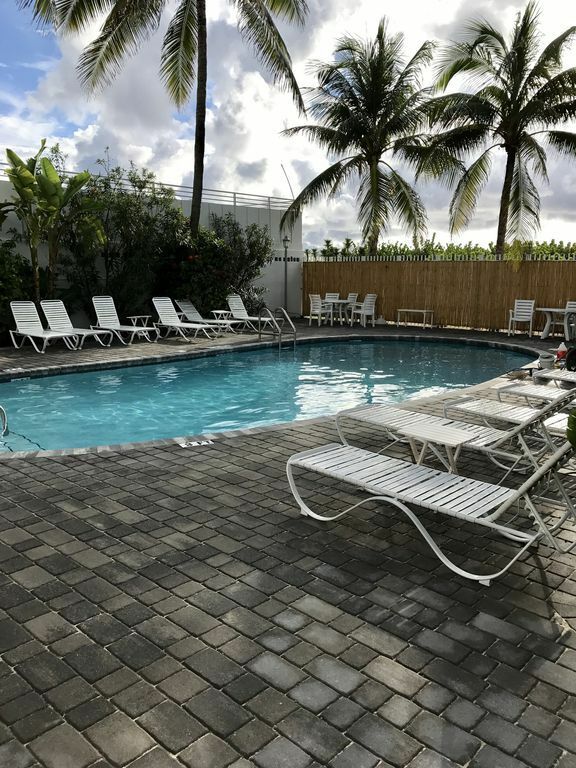 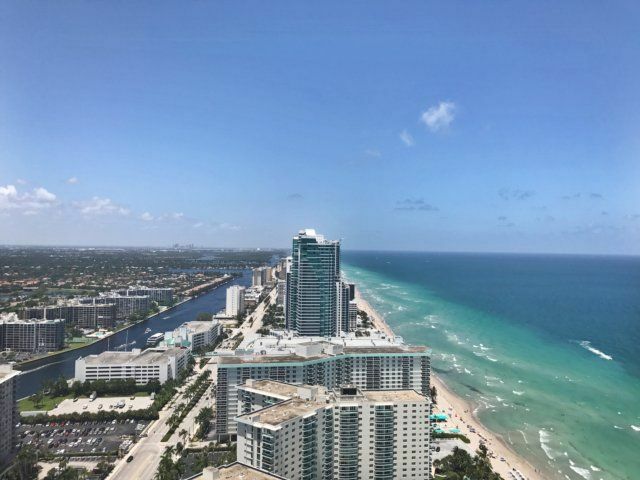 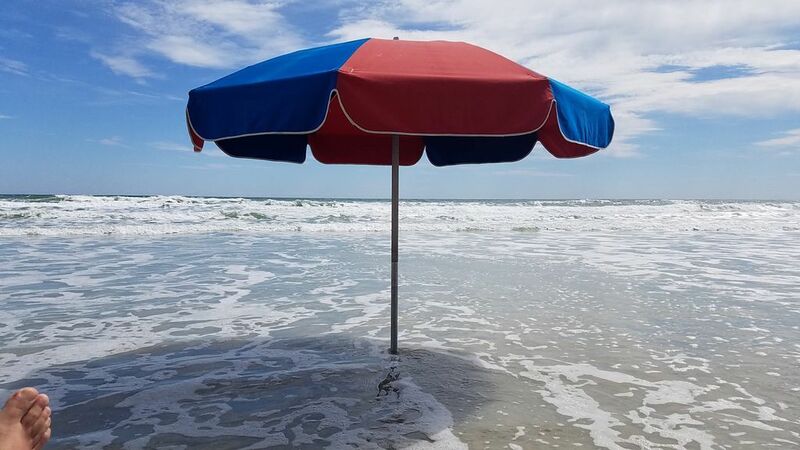 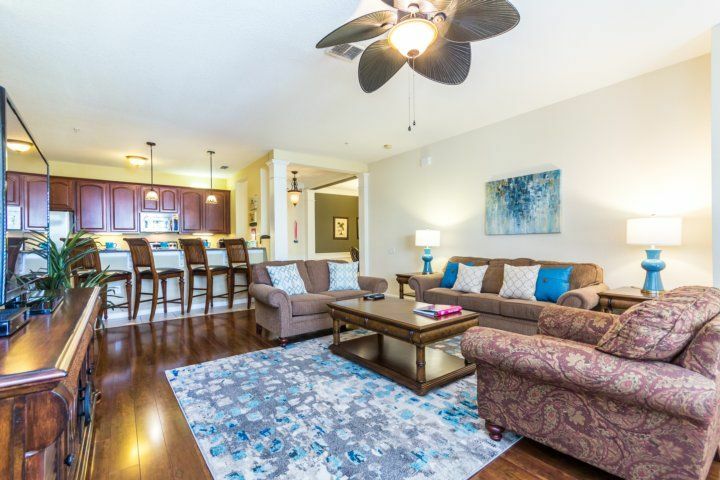 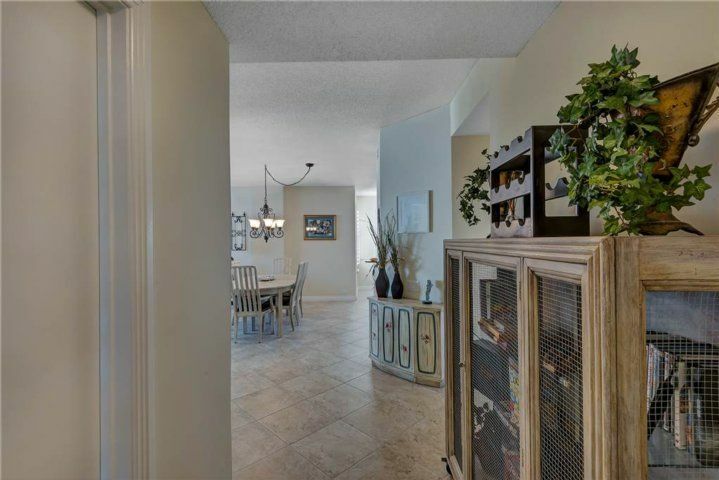 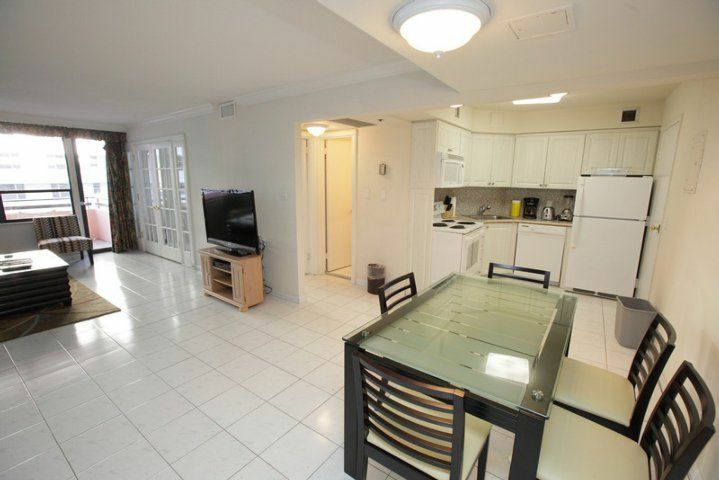 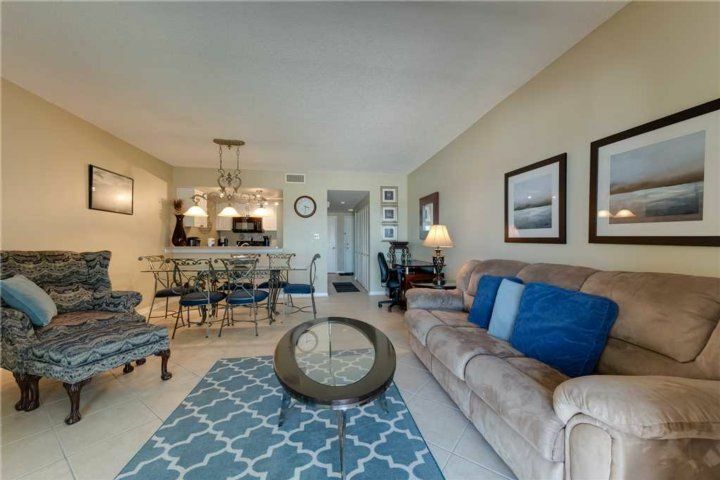 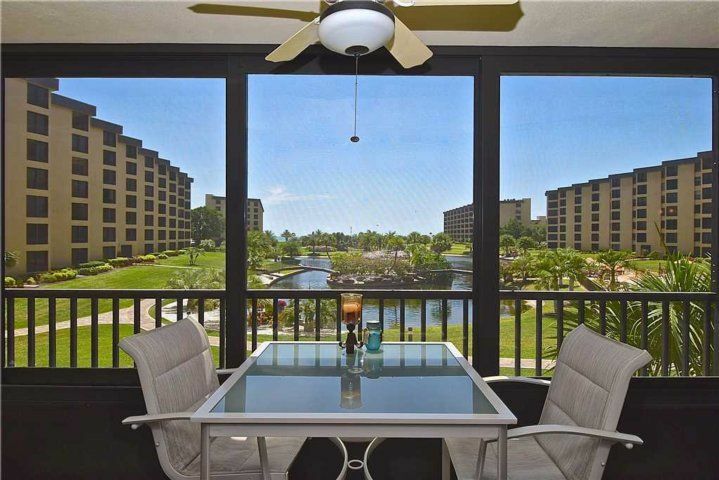 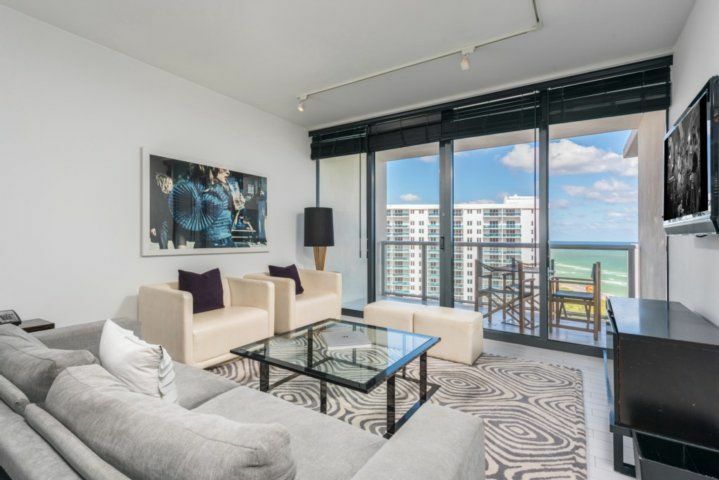 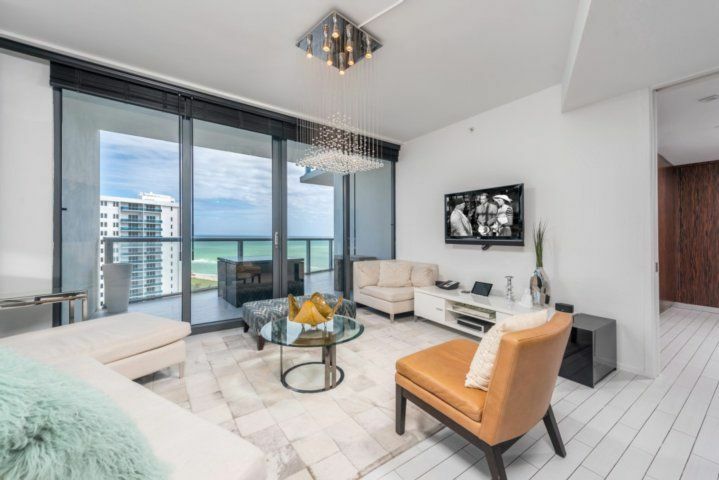 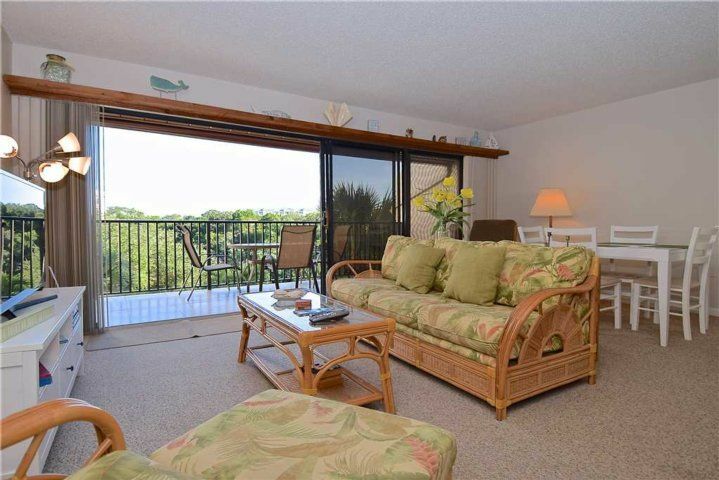 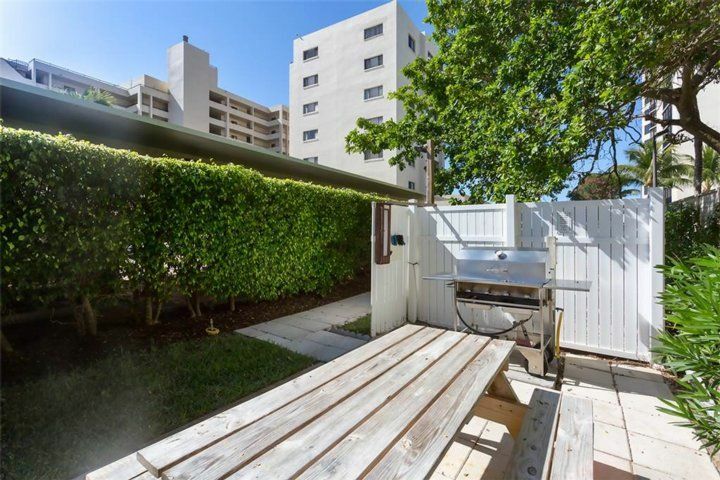 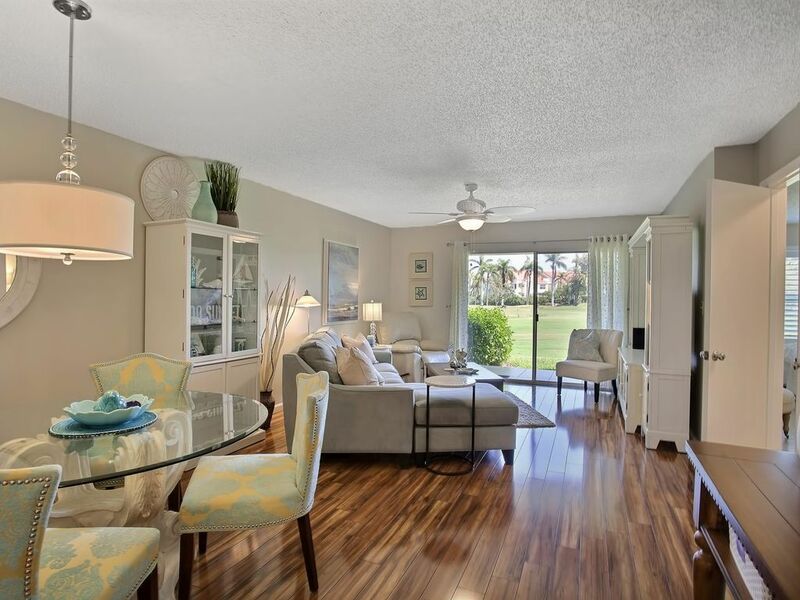 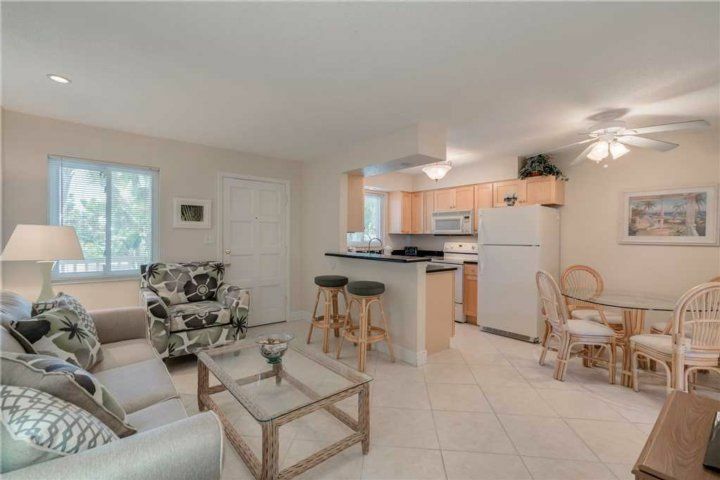 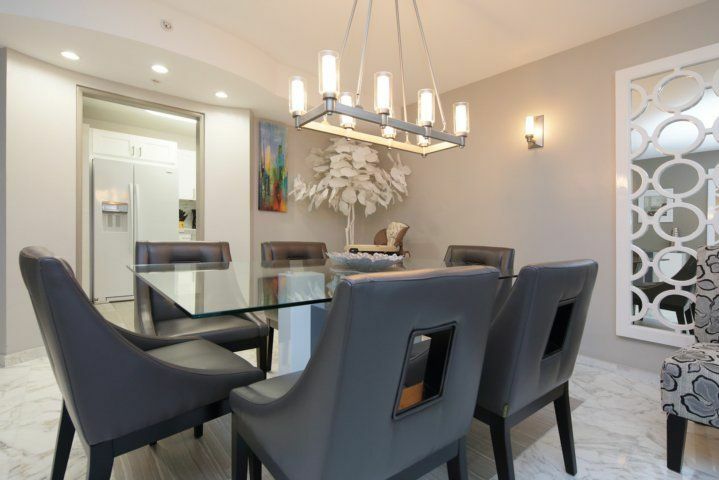 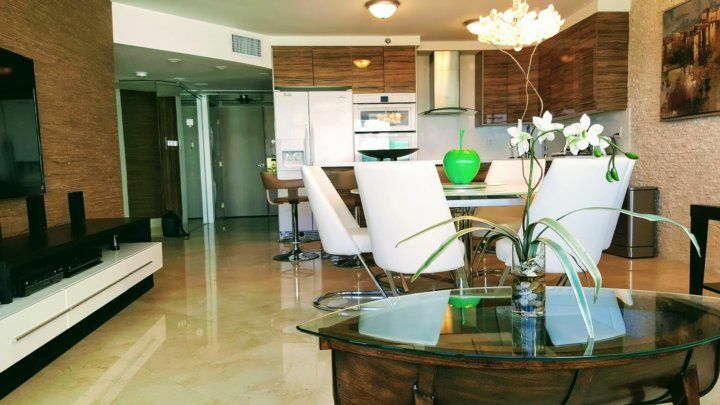 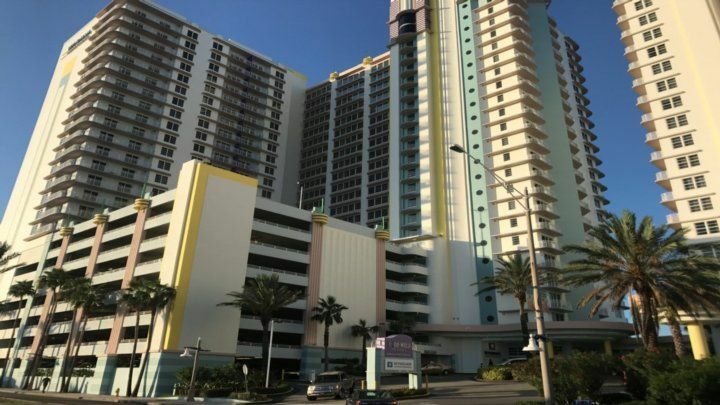 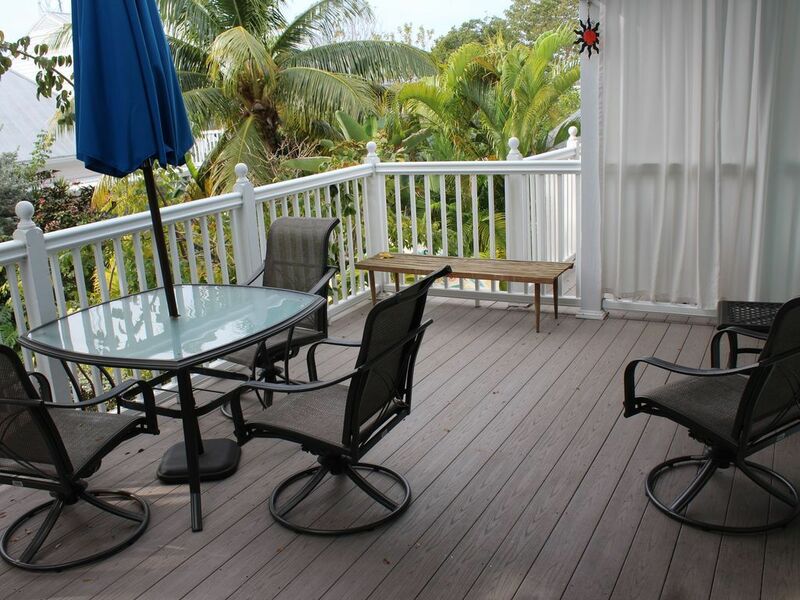 This second-floor condo is very convenient - whether for popping to and from the pool and beach, or the grill right outside the front of the unit. 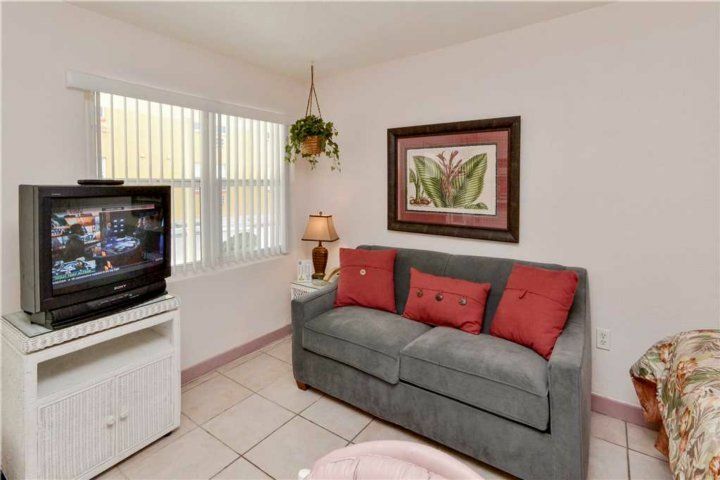 You’ll love exploring the areas nearby. 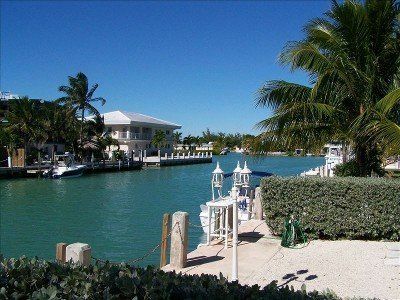 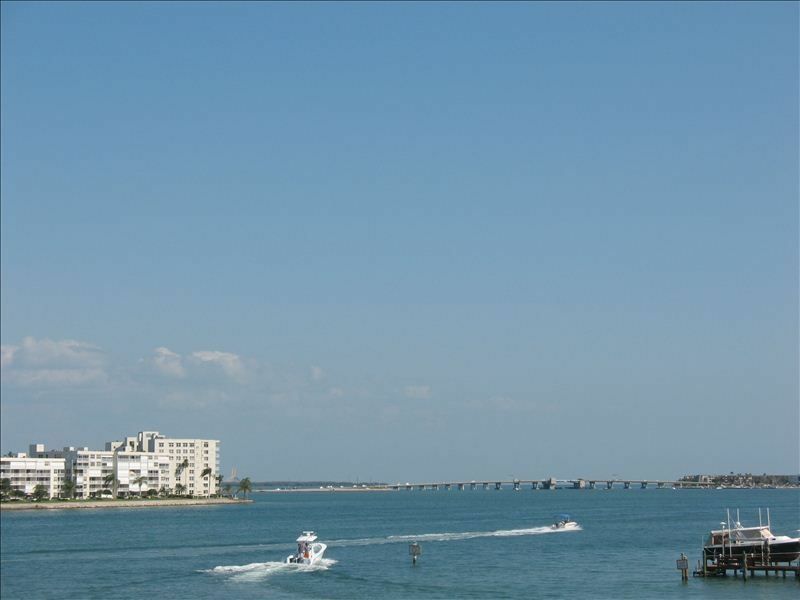 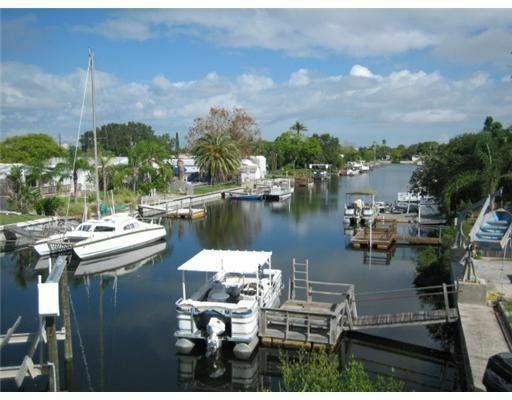 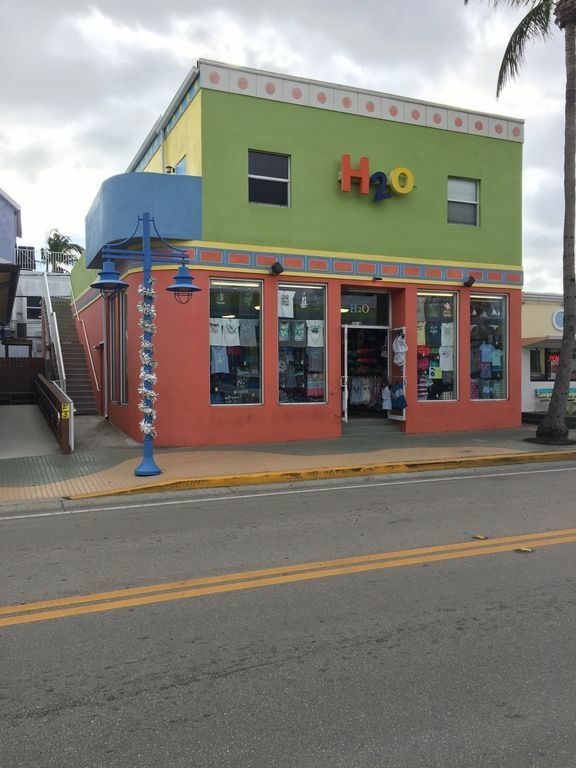 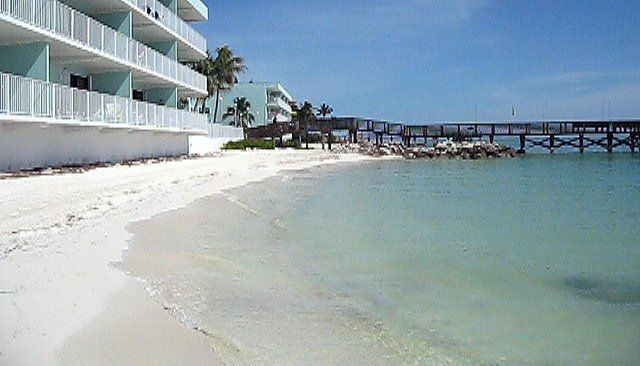 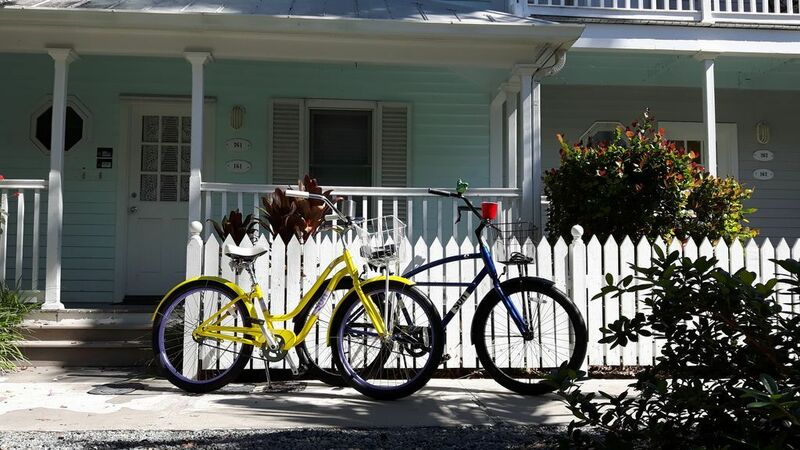 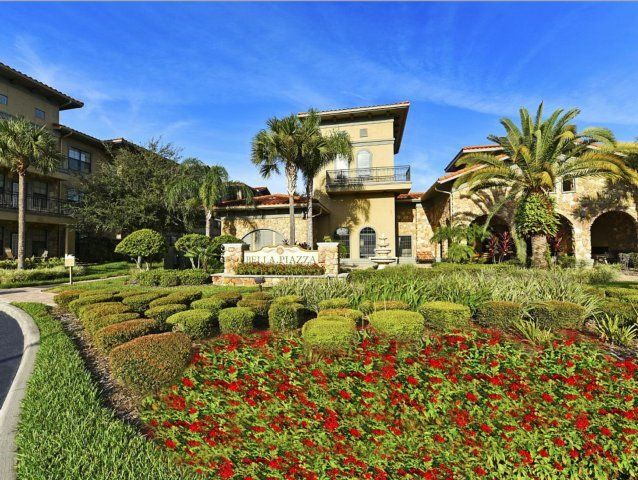 Start in Sarasota, with its great nightlife, shopping and beach side dining, then venture further afield. 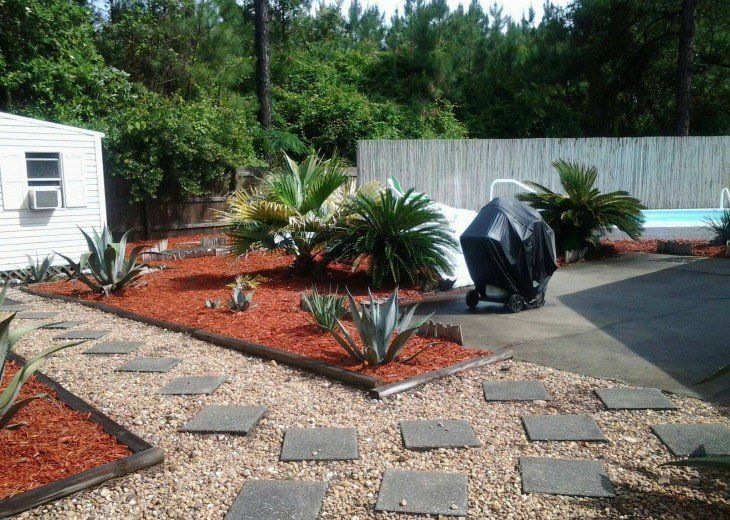 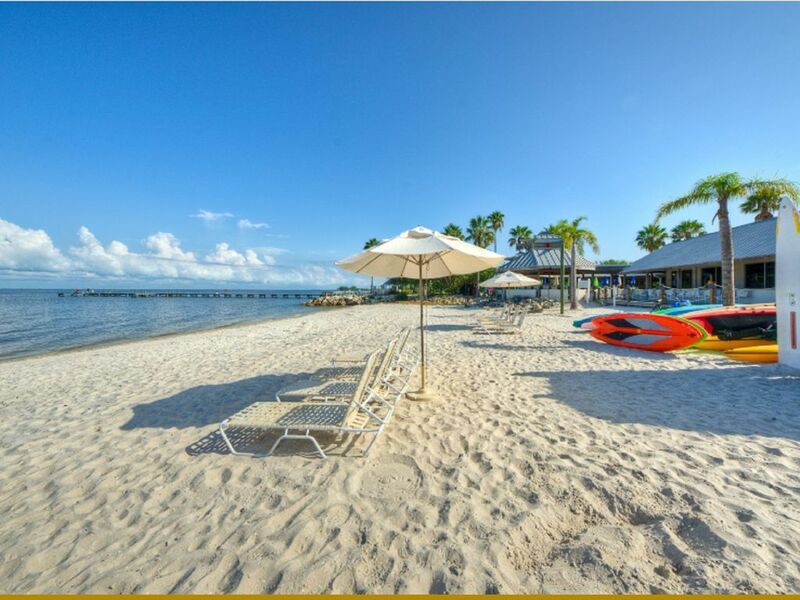 Why not choose your family’s favorite amongst Busch Gardens, the Mote Aquarium and the ample amount of beautiful beaches nearby? 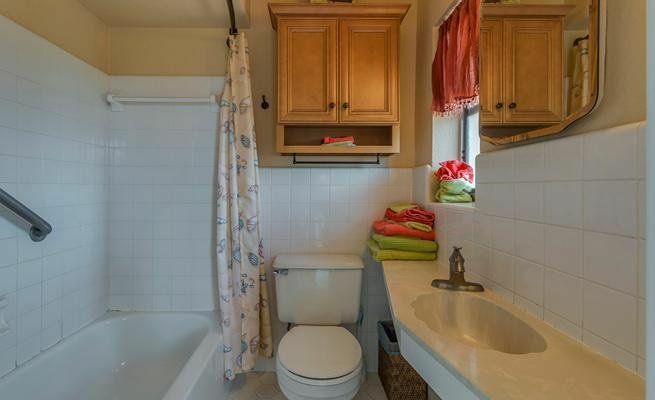 This unit is only accessible via stairs. 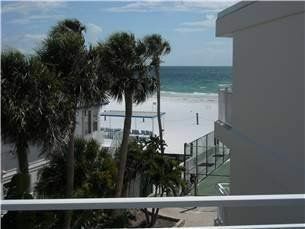 Great location, the beach is gorgeous. 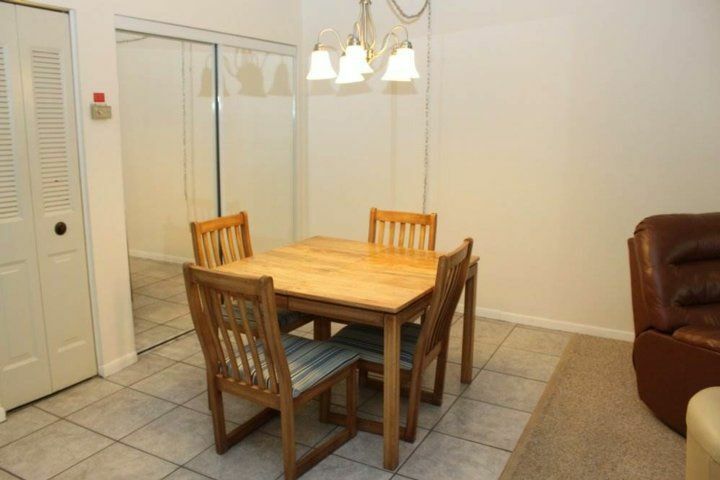 Very nice apartment with some little flaws. 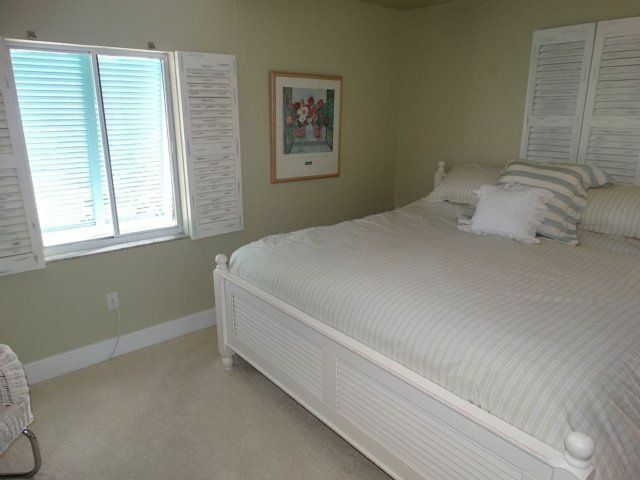 I would recommend new mattresses. 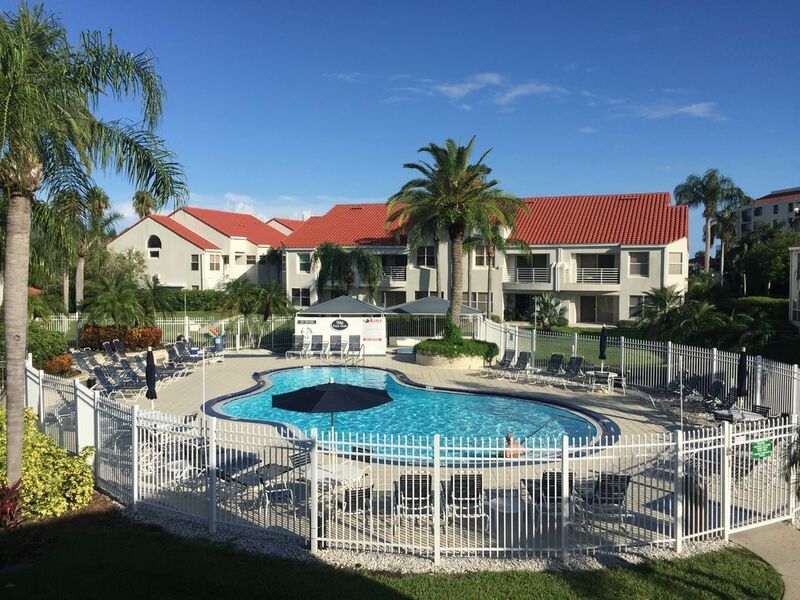 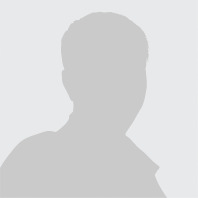 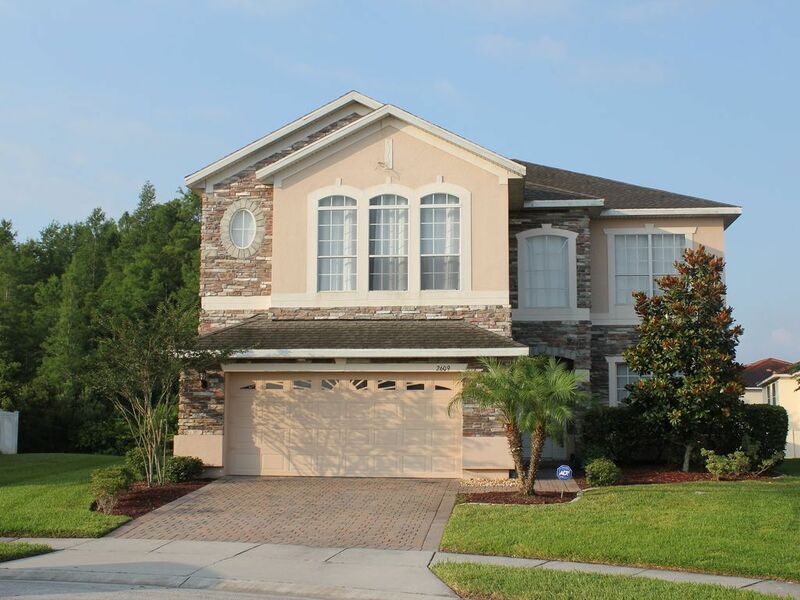 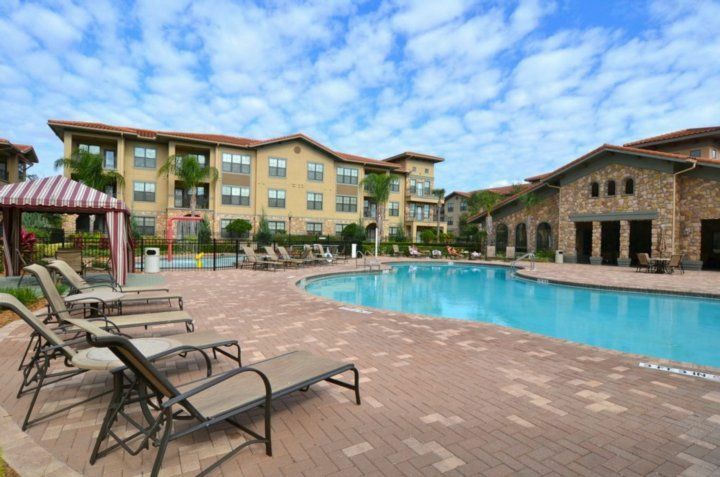 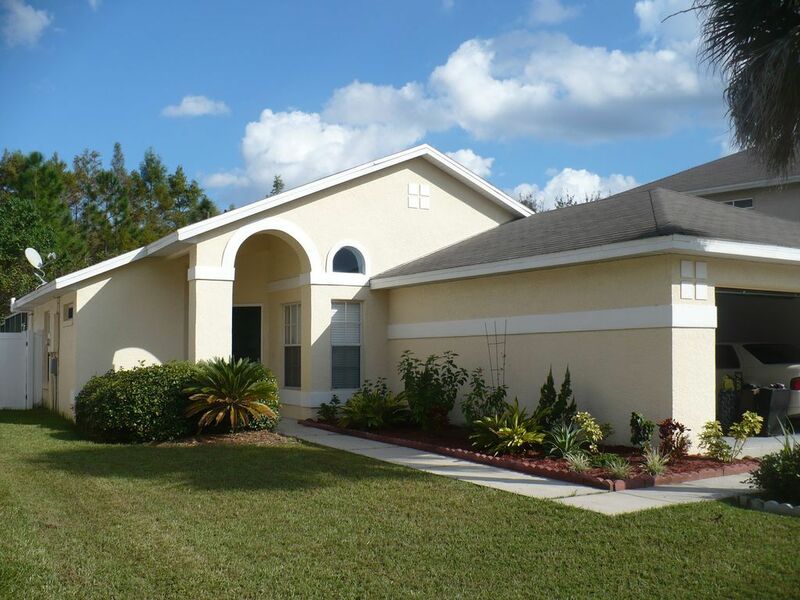 I was impressed with the security in the place and Christina was very nice and helpful. 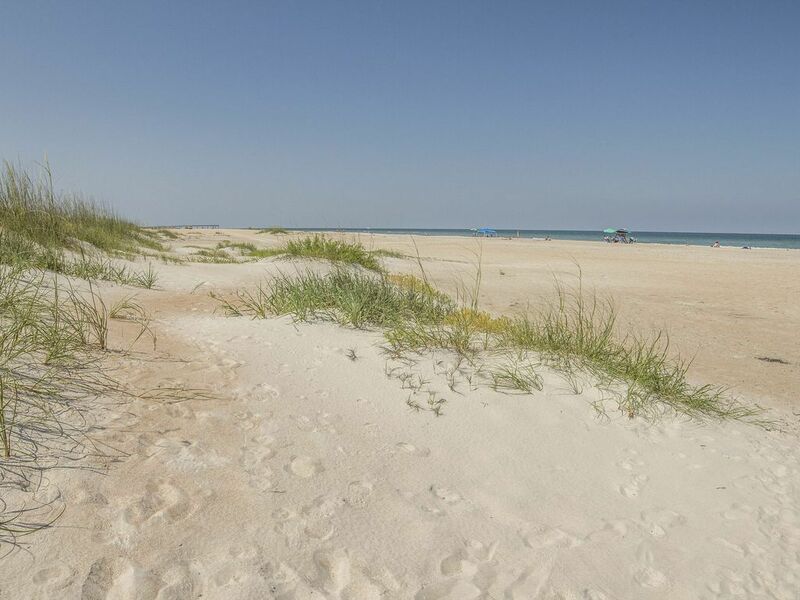 We like siesta dunes so much,this is our third time in this place.